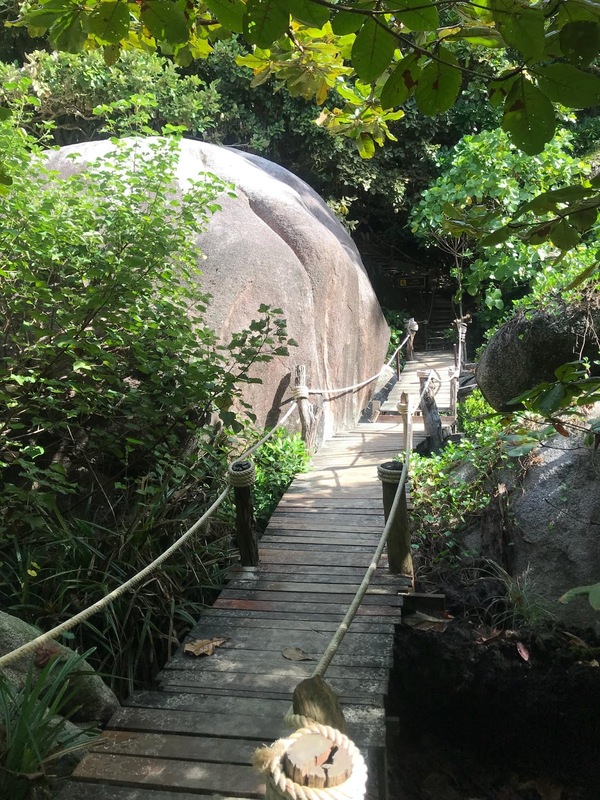 ATTENZIONE CONFERMATA LA NOTIZIA SIMILAN PARCO CHIUSO NO SOGGIORNO SOLO GITA IN GIORNATA! 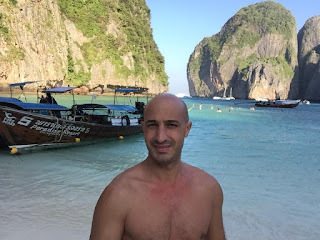 Come vi accennavo qualche giorno fa lavorando nel settore le notizie mi arrivano sempre prima ma non è giusto divulgarle fino a che non si ha qualcosa di scritto da parte degli enti competenti. 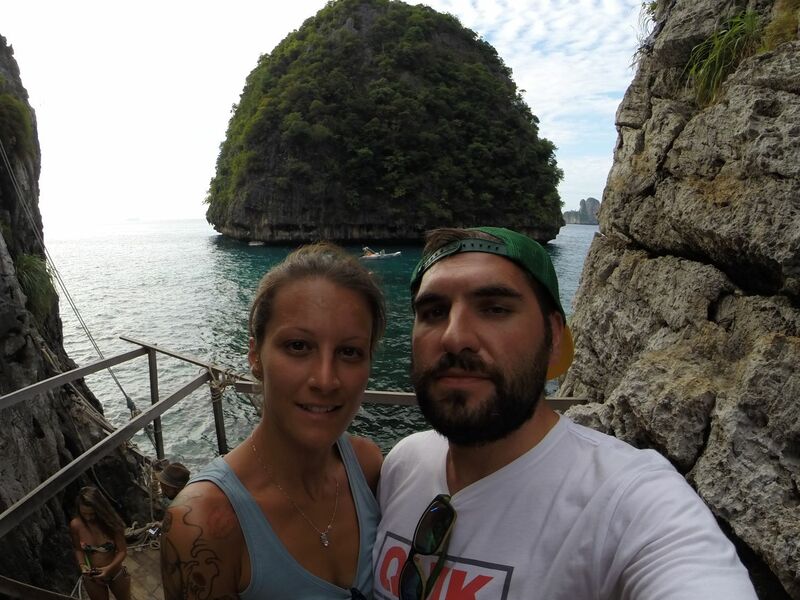 Quindi campeggio chiuso per sempre, tende e bungalows smantellati, non si dorme alle Similan nemmeno in barca, si va in giornata punto e basta! 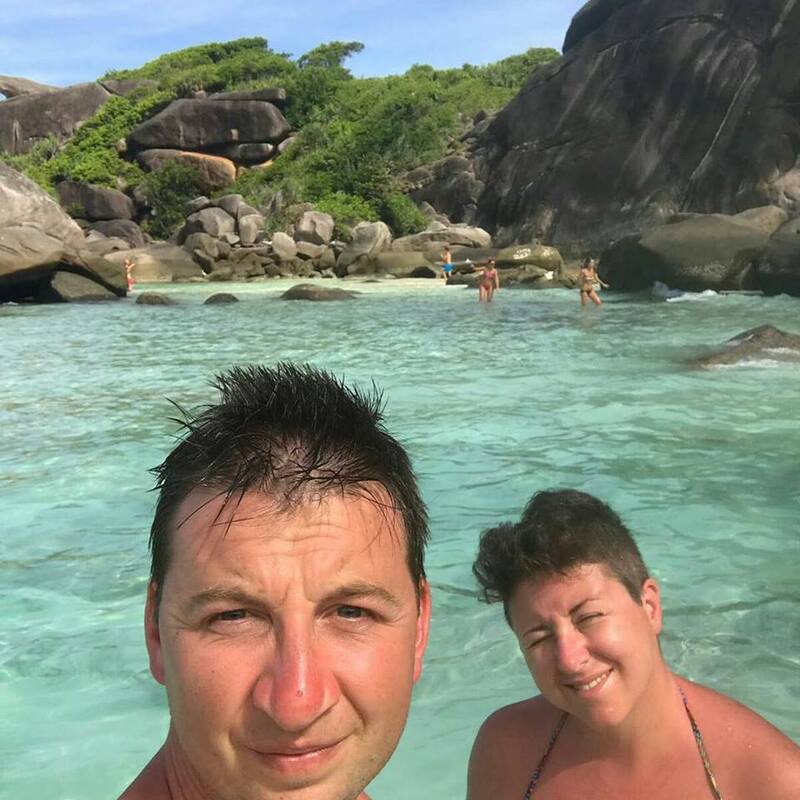 La nostra proposta sulle Similan e Surin sarà dormire una notte a Khao Lak facendo due gite in giornata come abbiamo già iniziato a proporre da qualche anno. 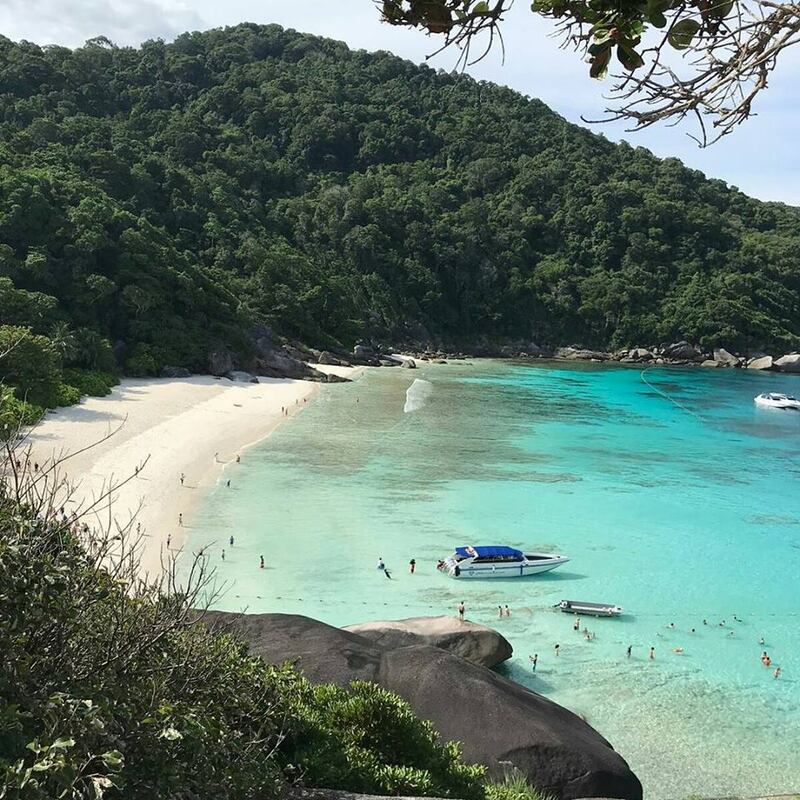 Naturalmente c'è sempre la possibilità di partire direttamente da Phuket in motoscafo per le Similan in giornata. 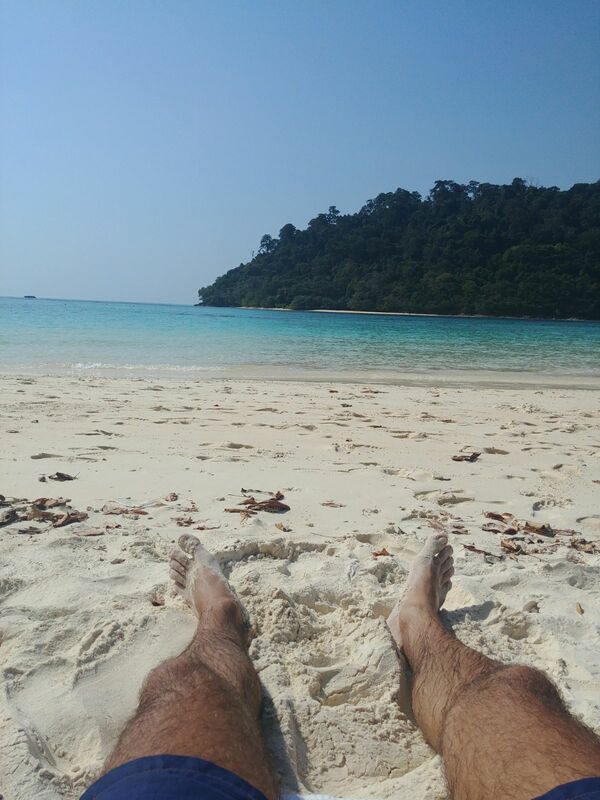 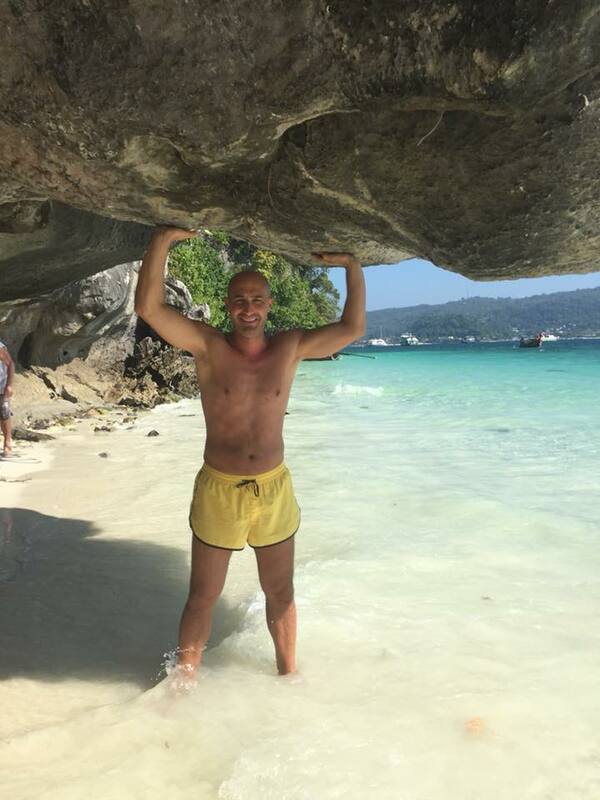 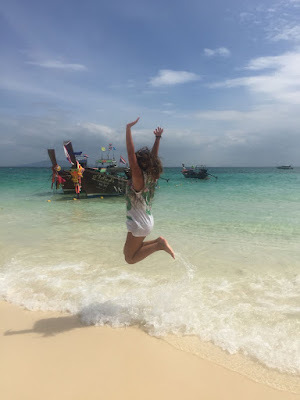 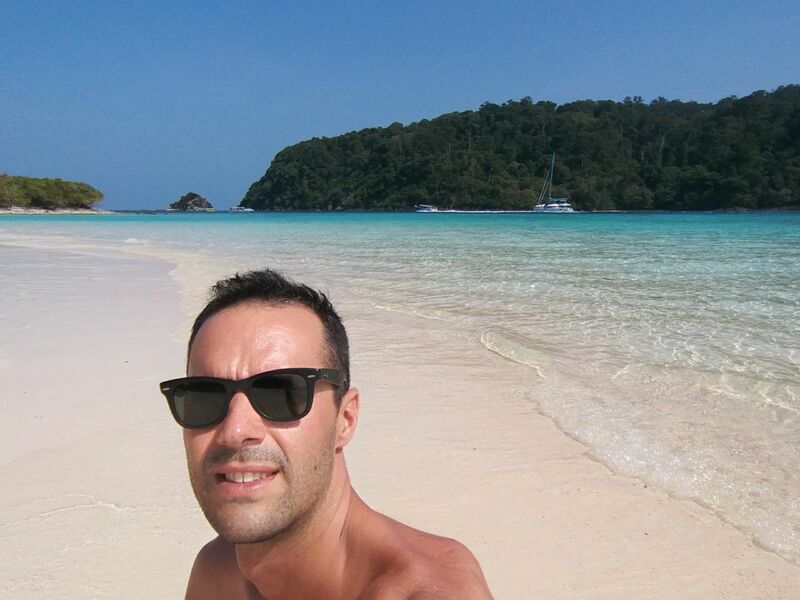 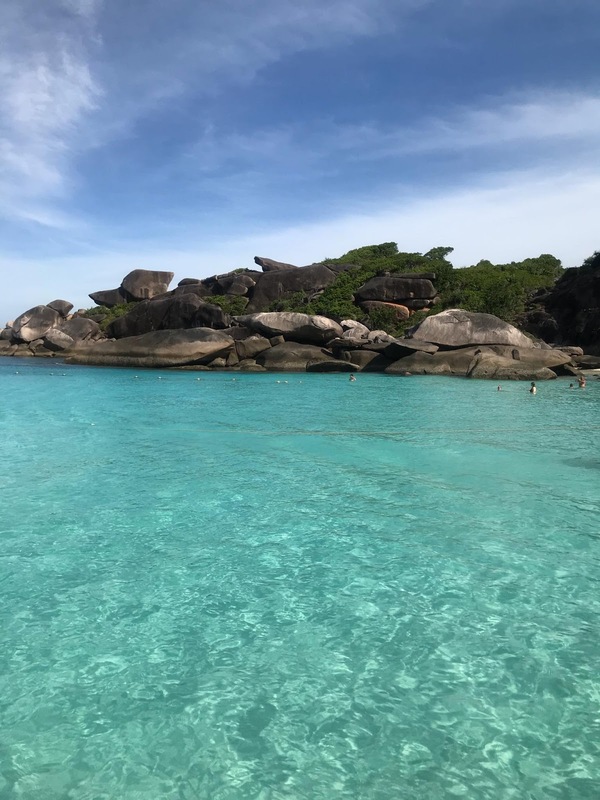 Nel pacchetto con "overnight" Similan+Surin con notte a Khao Lak avremo nuovi programmi e fantastiche idee che adesso non posso svelare ma resterete molto colpiti! 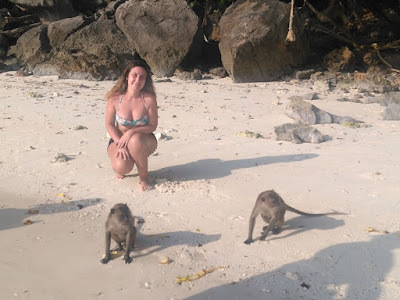 Quindi Similan SI ve le faremo visitare nel migliore modo possibile e senza tanti "sbattimenti" sono ormai quattro anni che non vendiamo più il pacchetto con soggiorno sulle isole anticipando i tempi ci siamo specializzati a proporre le migliori alternative. 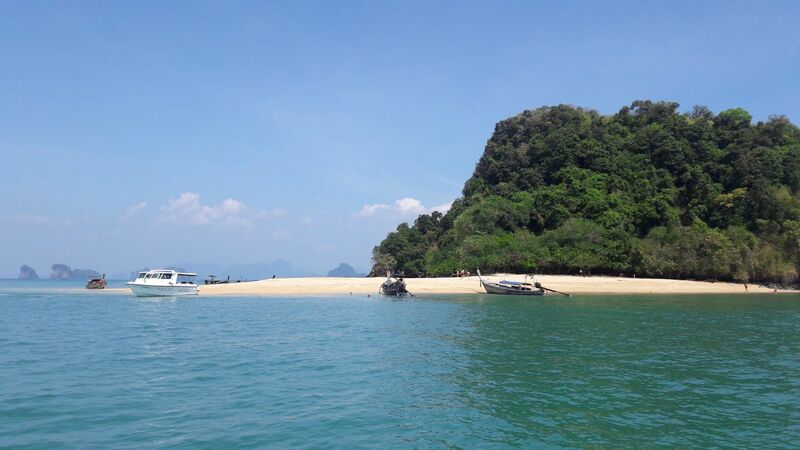 The famous island will be available for day trips only. 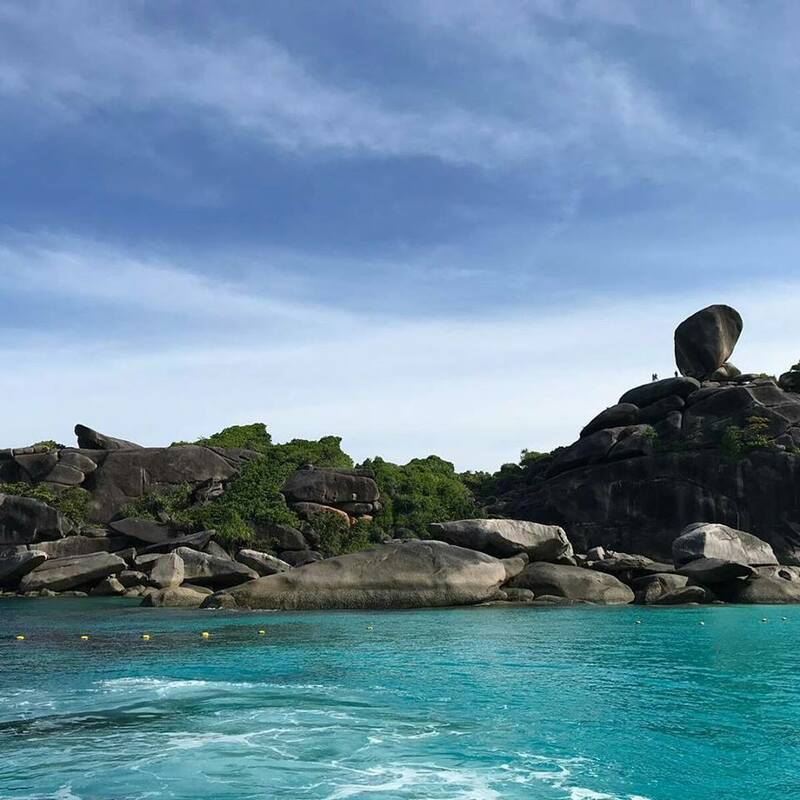 The policy will make it easier for authorities to protect natural resources, said Thon Thamrongnawasawat, a marine ecologist and chairman of the government’s committee to draft a national master plan for marine resources management. 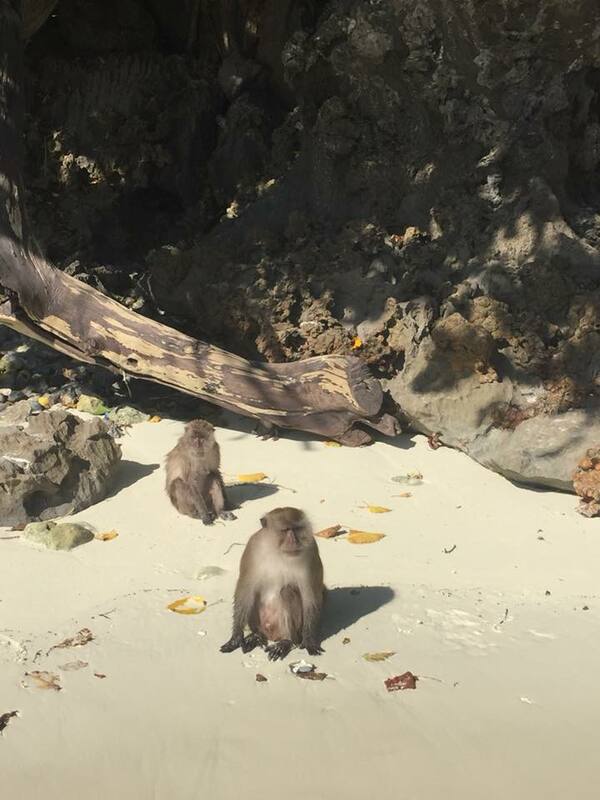 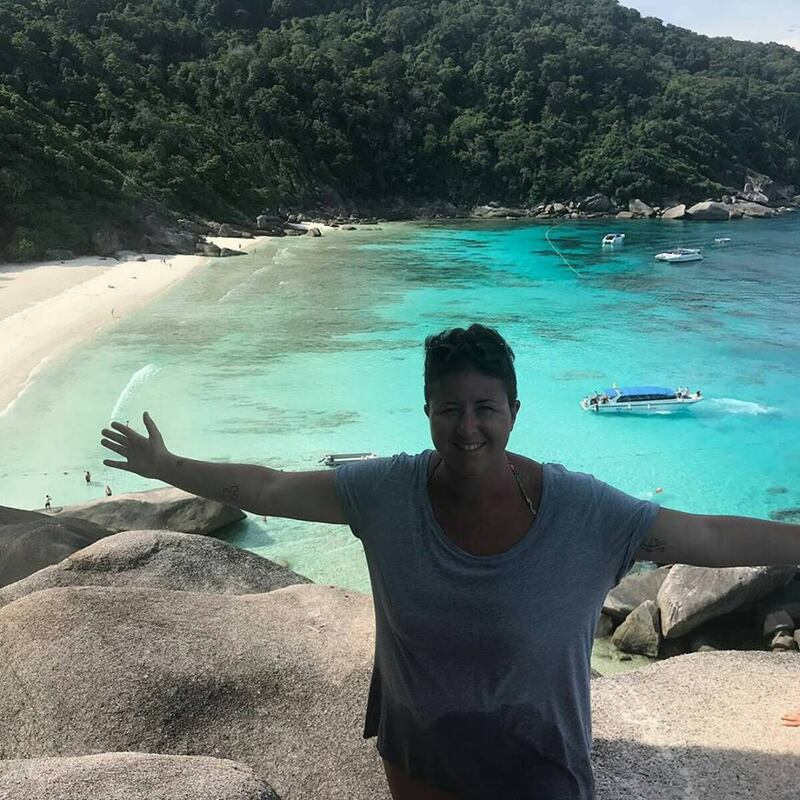 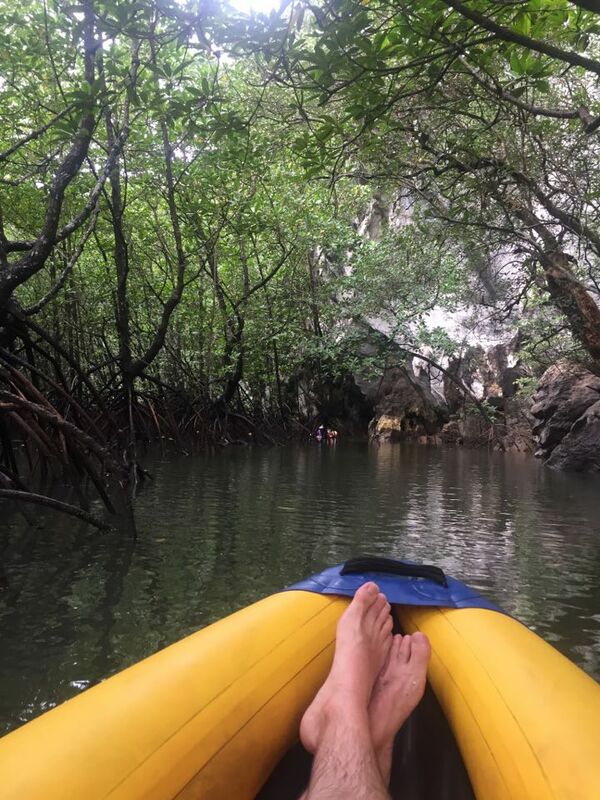 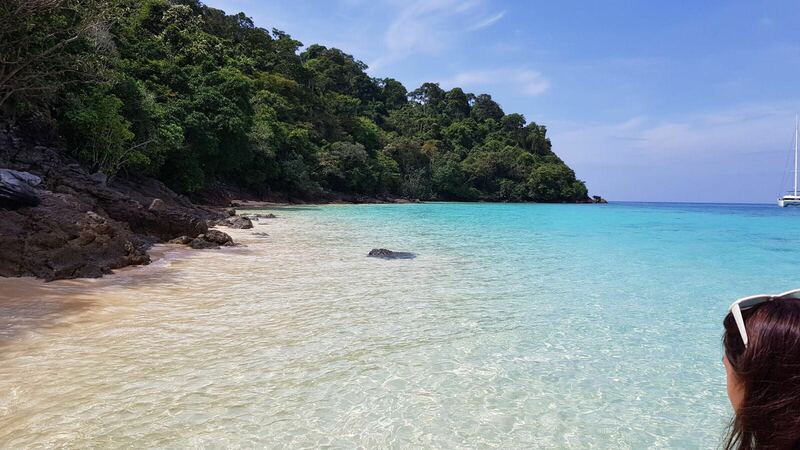 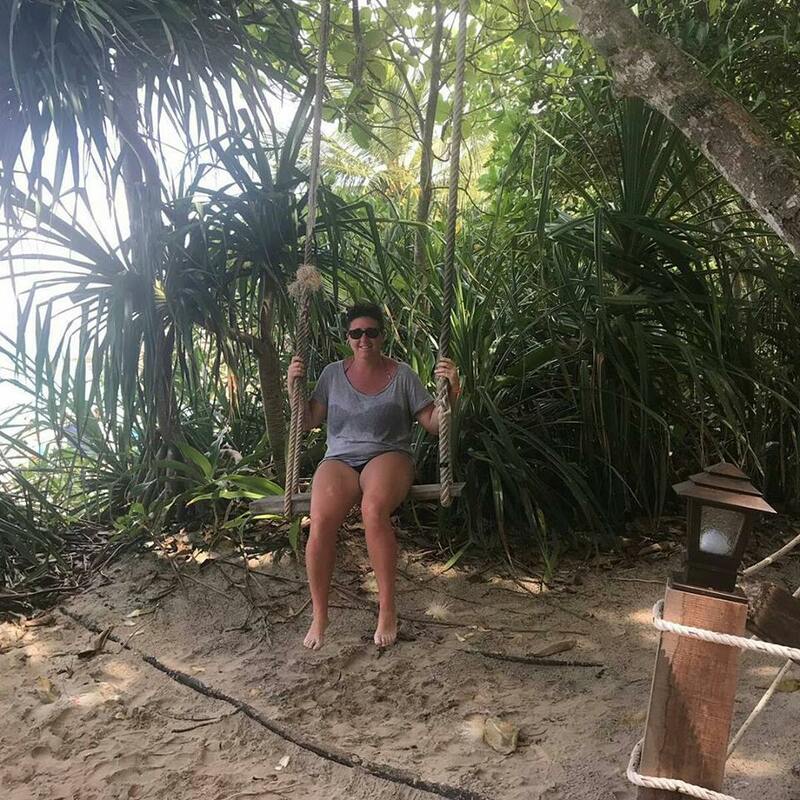 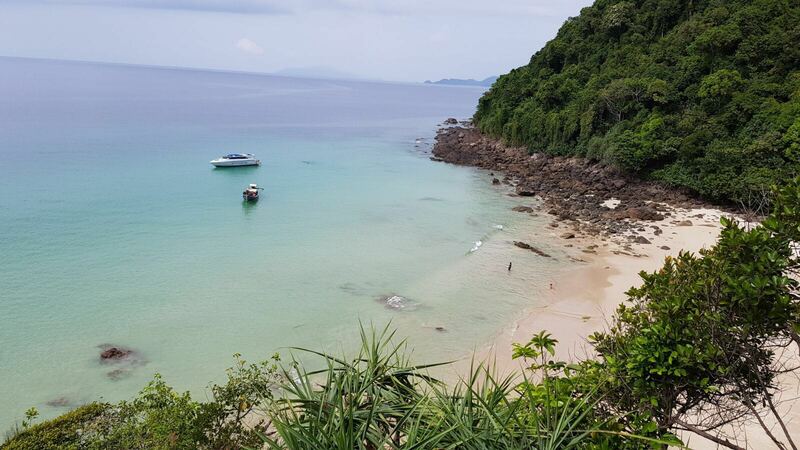 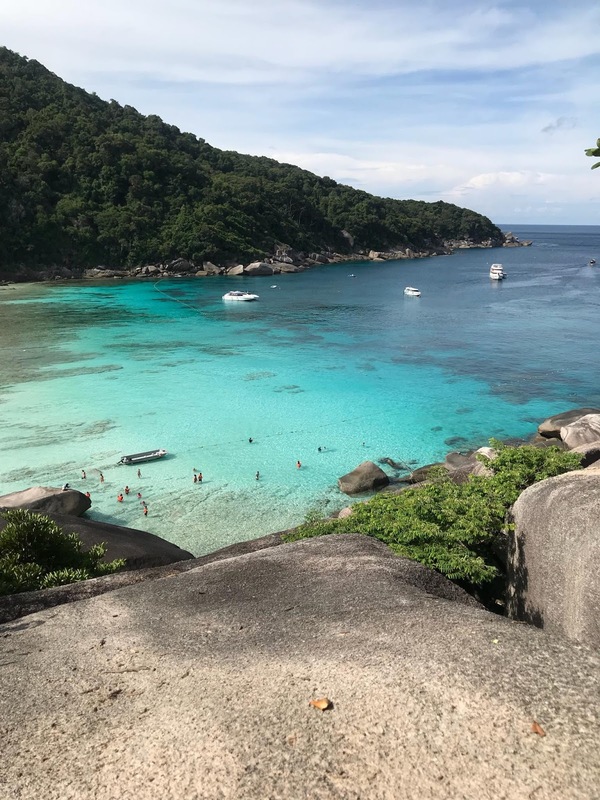 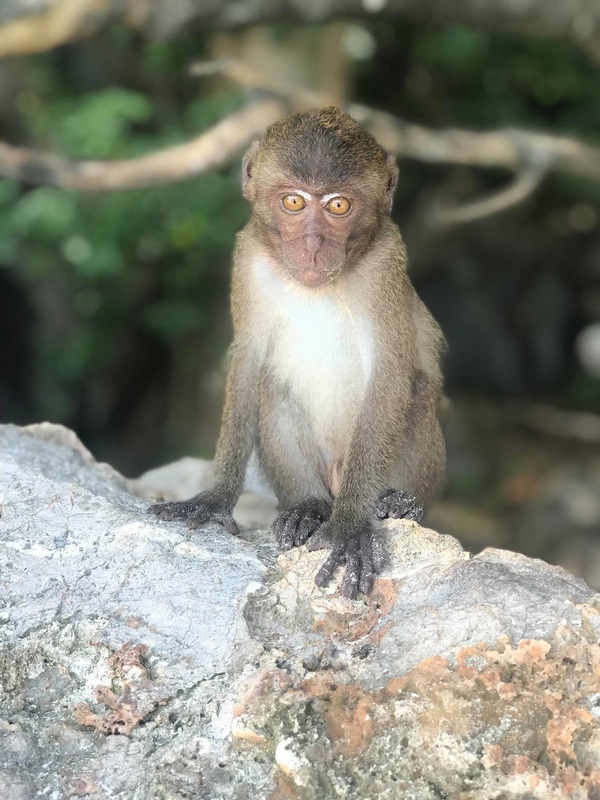 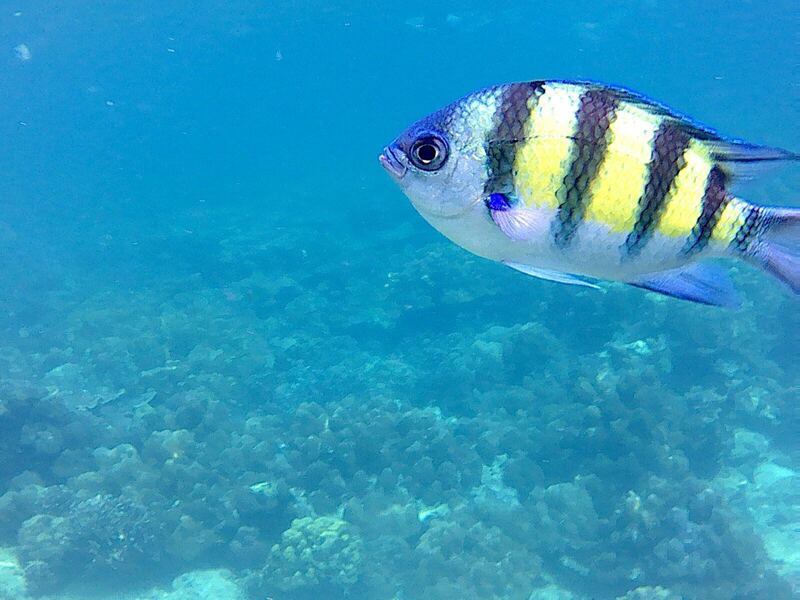 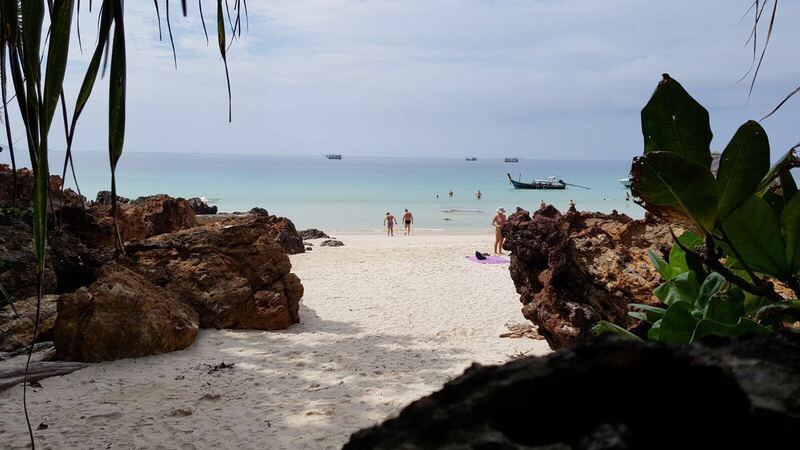 “The Moo Koh Similan National Park now sees an overwhelming number of visitors … the day-trip only option comes as a concrete step to cope with the problem,” said Dr Thon, deputy dean of Kasetsart University’s Faculty of Fisheries. 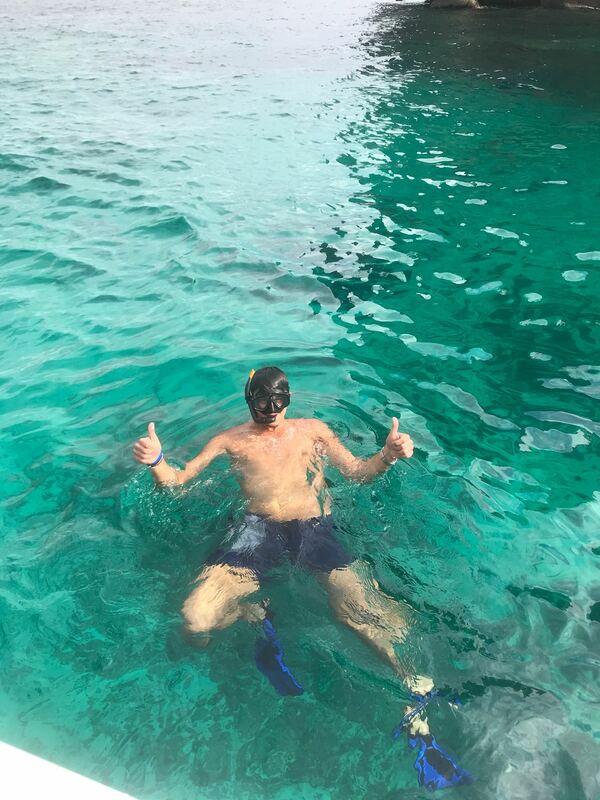 “They may trek, swim, dive but will have to leave at the end of the day,” he added. The ban on overnight stays will start in October, when the marine park is officially open to tourists. 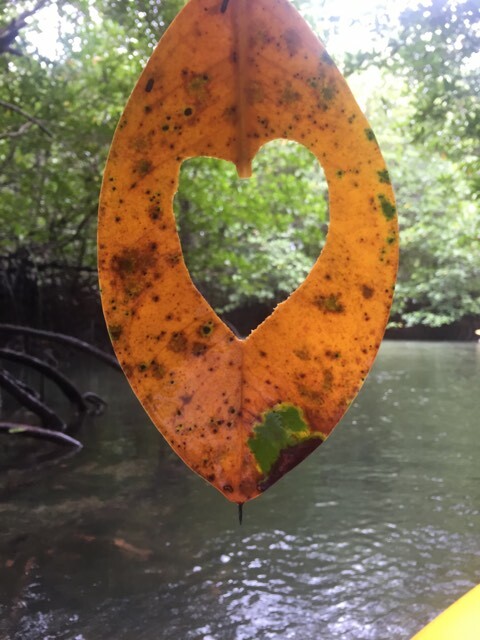 The park was closed earlier this month. 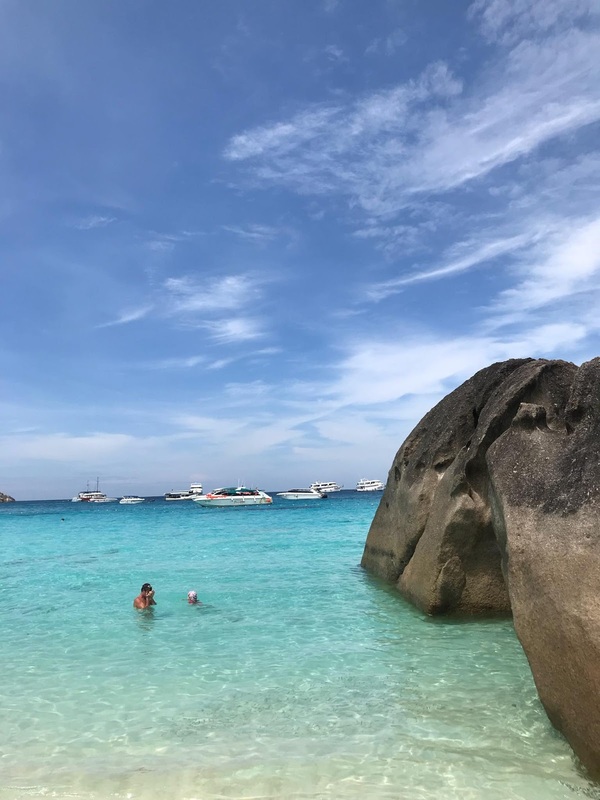 Similan Island is the only one of nine islands in the national park that provides bungalows and camping grounds for visitors. The overnight stay facilities were operated by the state. 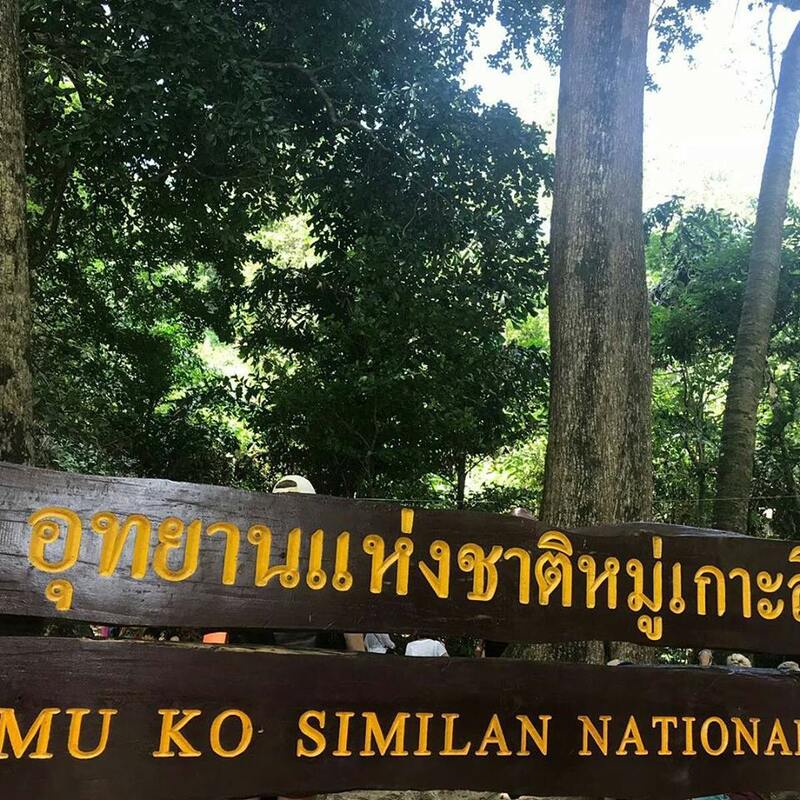 The ban was announced by the National Park Office of the National Park, Wildlife and Plant Conservation Department last Friday (May 25). 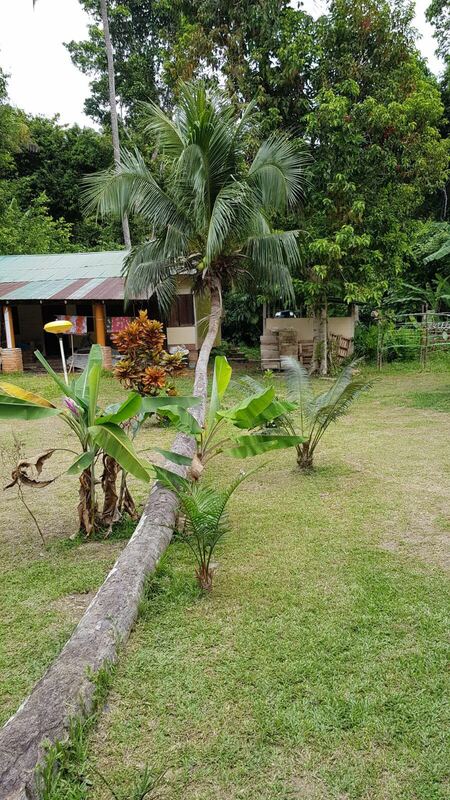 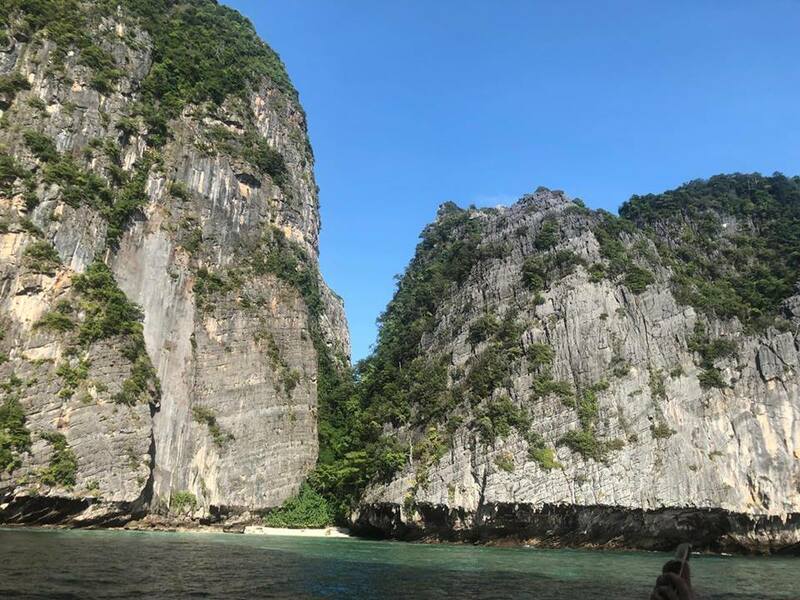 The department has already dismantled most of the bungalows and camping facilities, according to department director Songtam Suksawang. 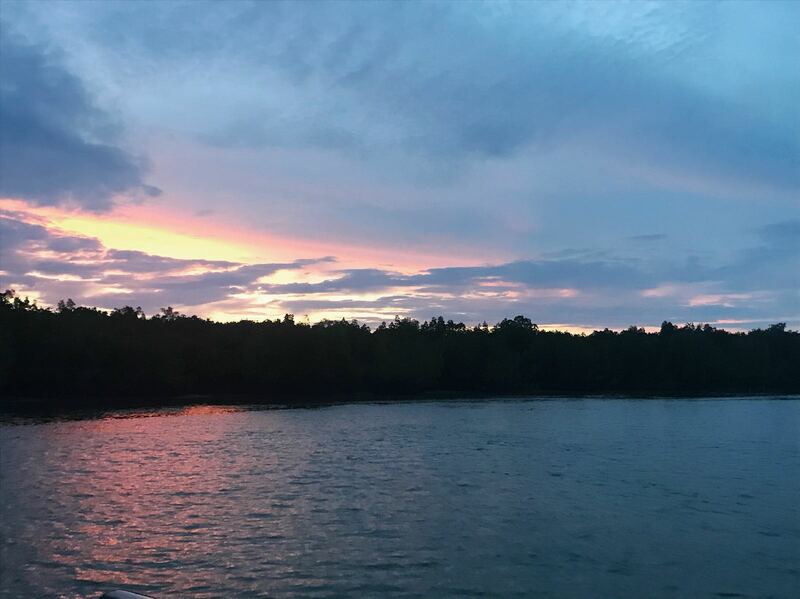 “The cost-effectiveness of the repair of those houses is one factor, while concerns over the impact of wastewater from houses on the park’s environment is a more important factor leading to the decision to remove all those houses,” he said. 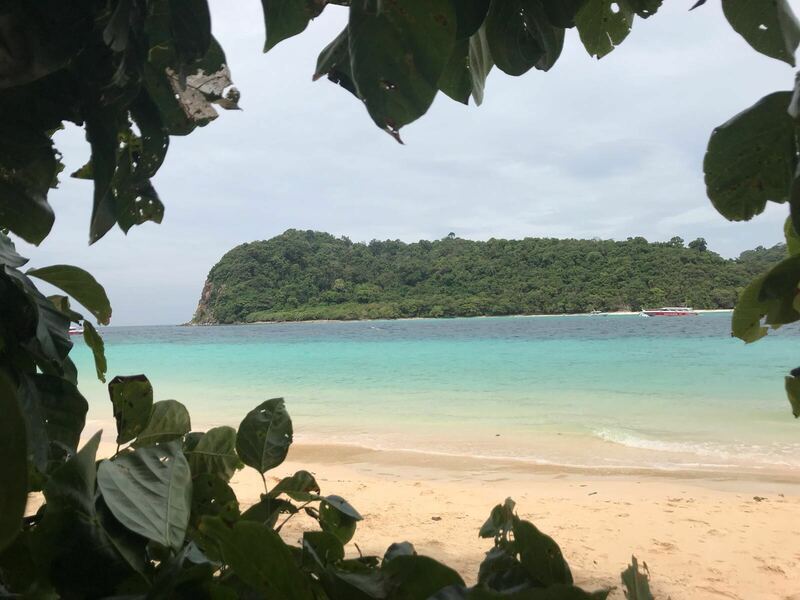 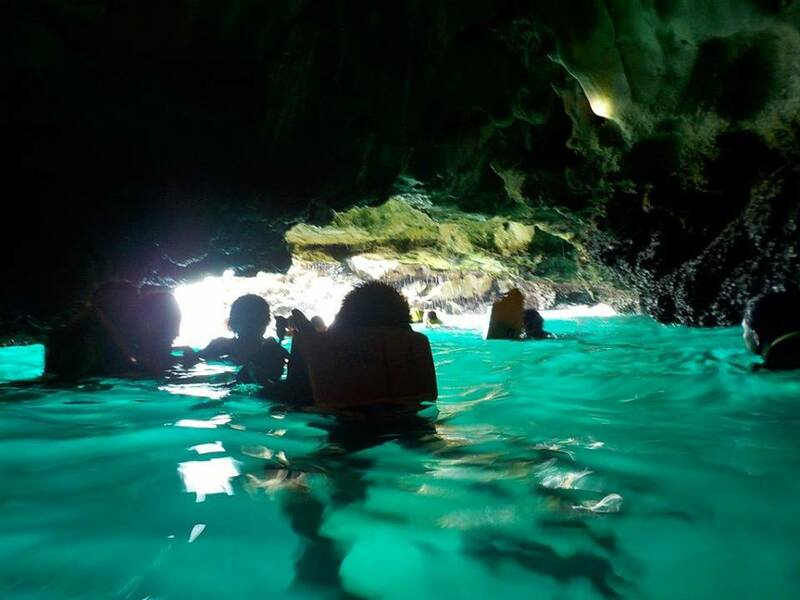 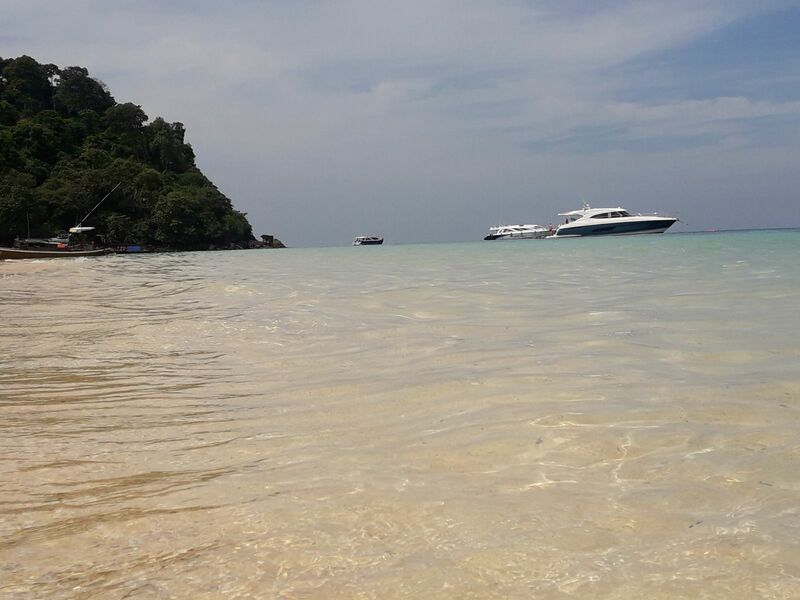 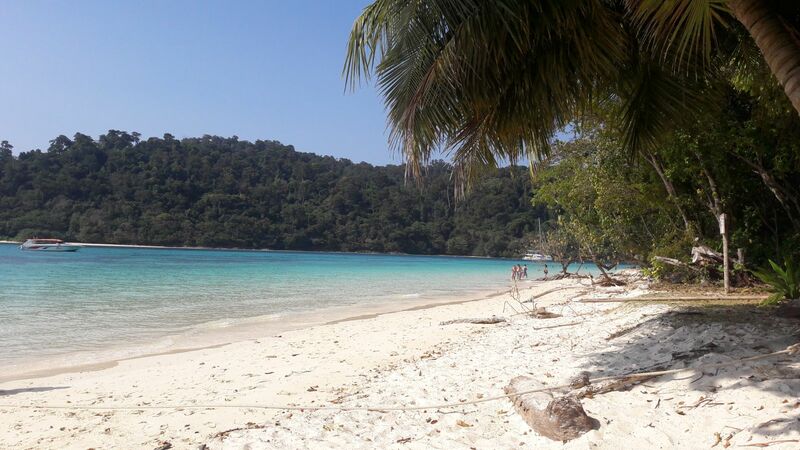 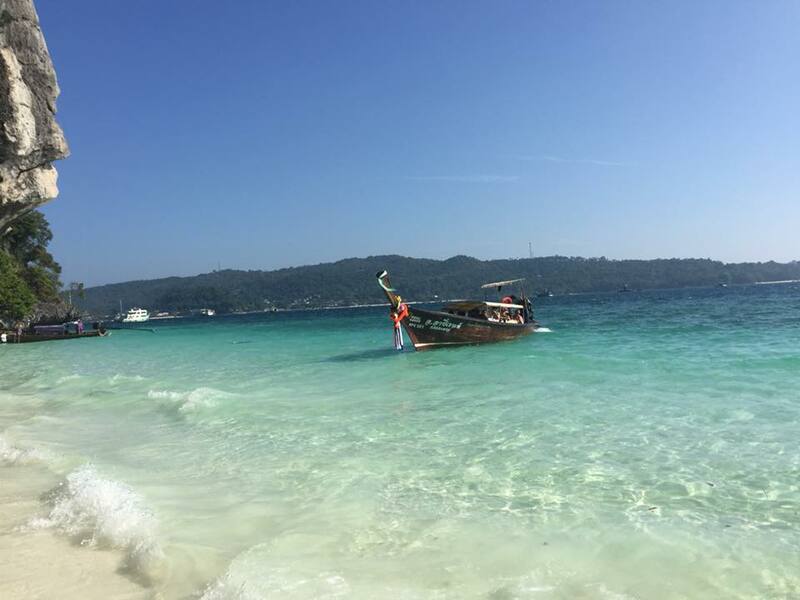 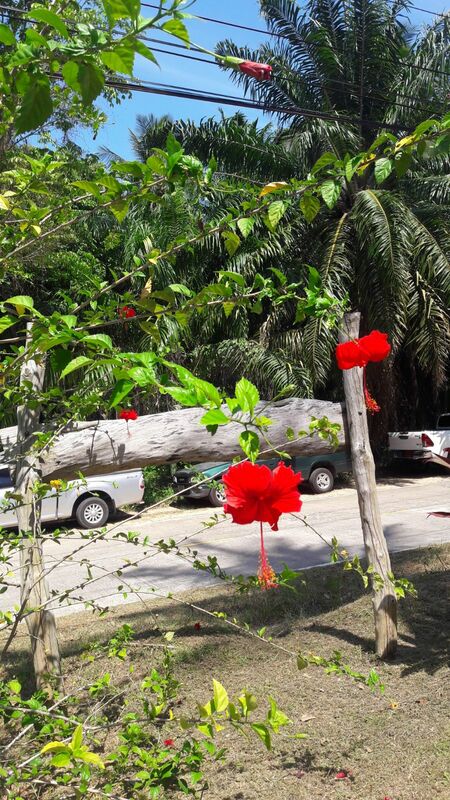 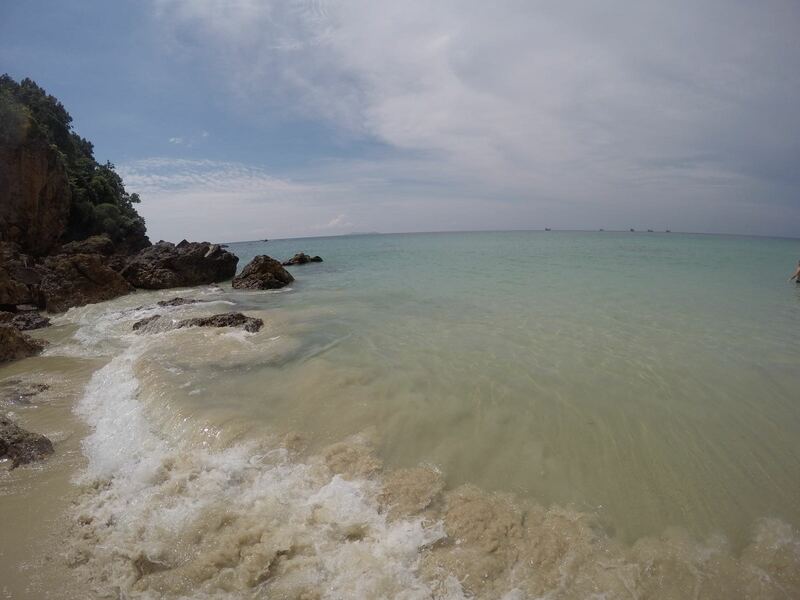 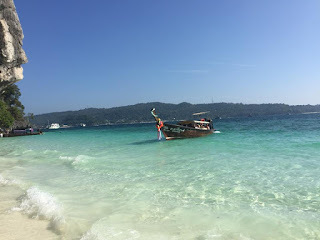 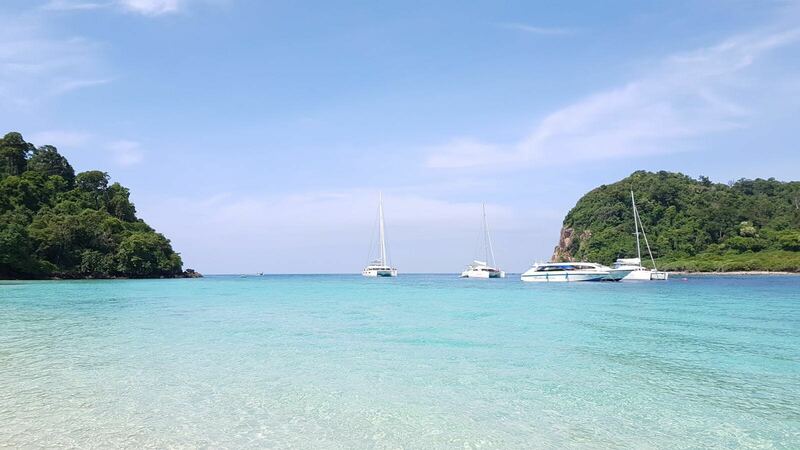 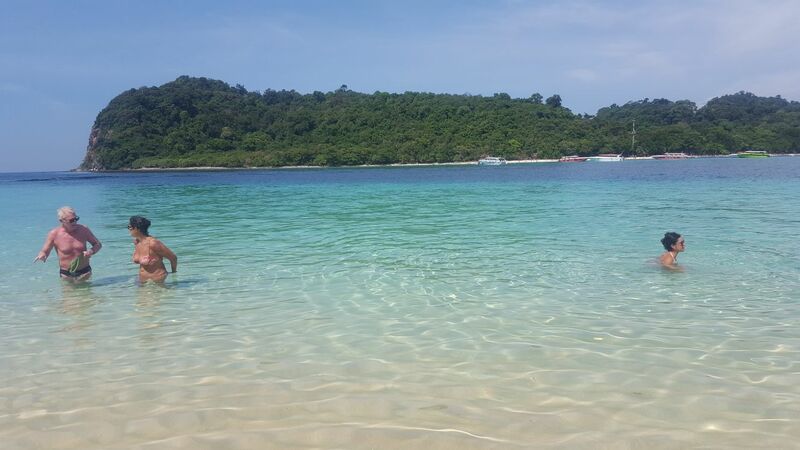 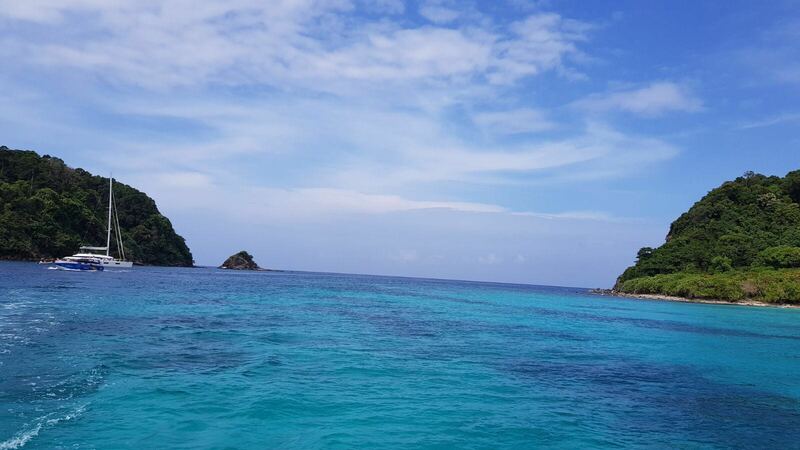 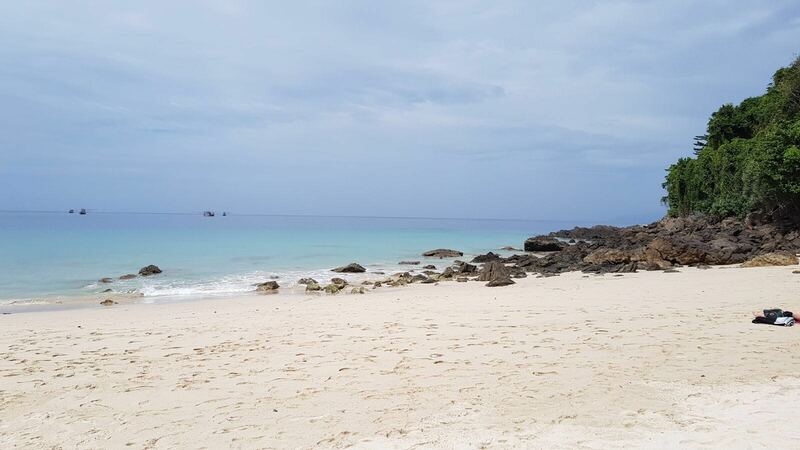 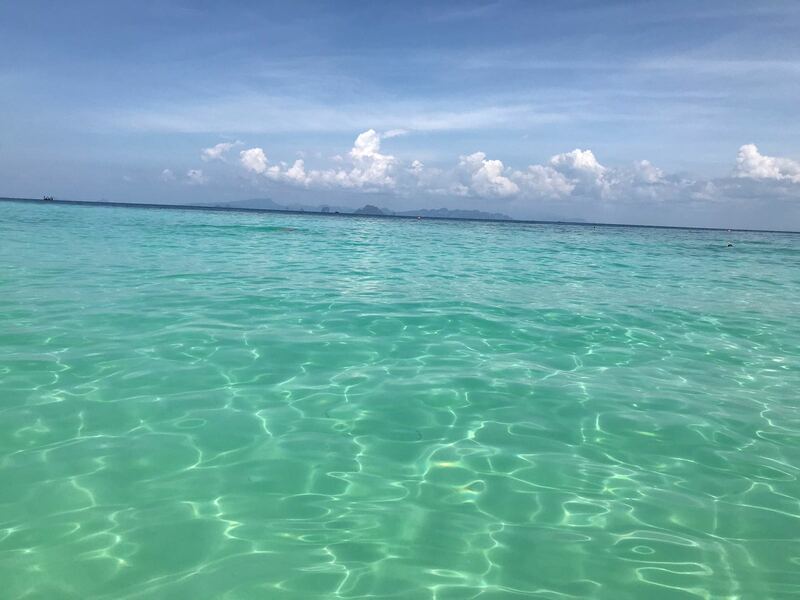 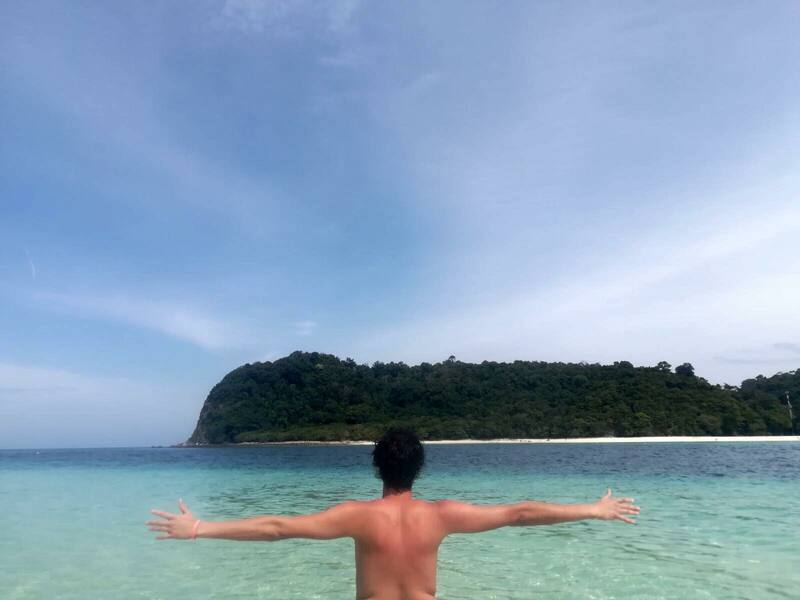 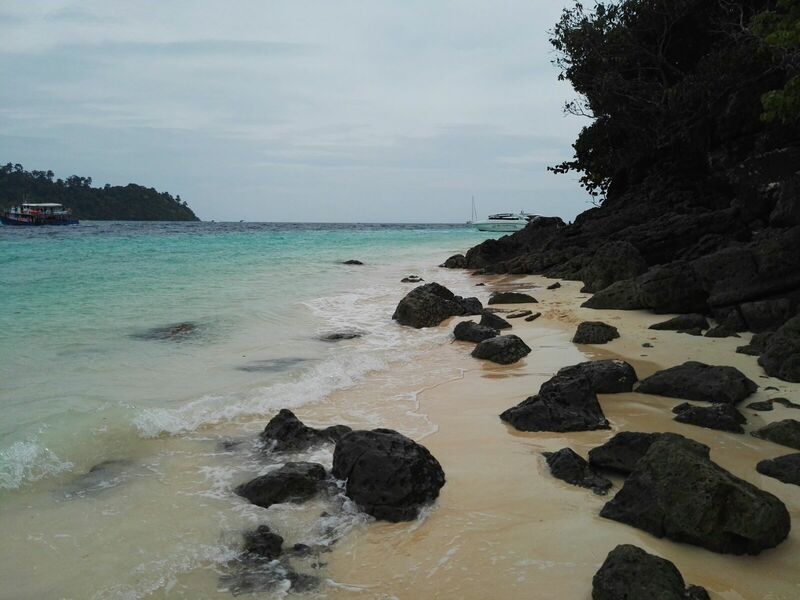 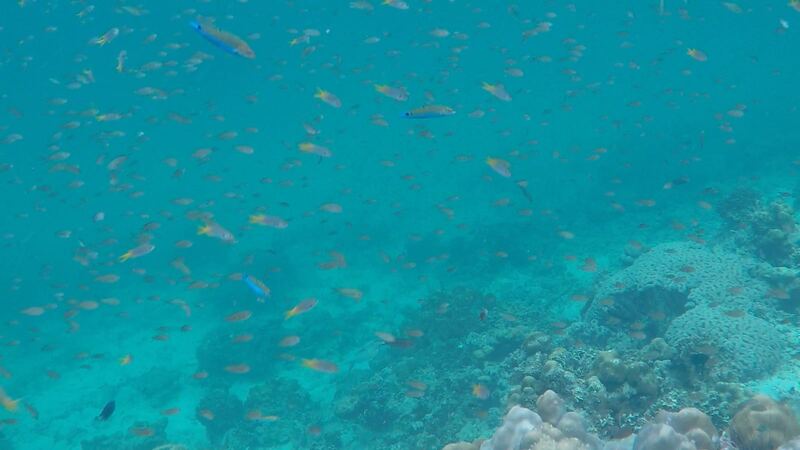 Similan Island, he said, was not suitable for overnight stays given a lack of fresh water and limited space, unlike larger islands such as in Tarutao National Park in Satun that are large enough to accommodate visitors, he said. 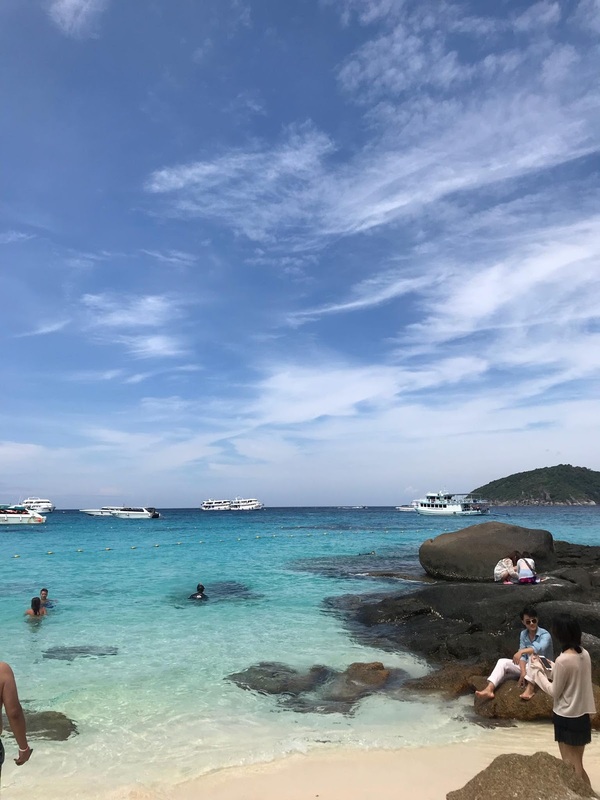 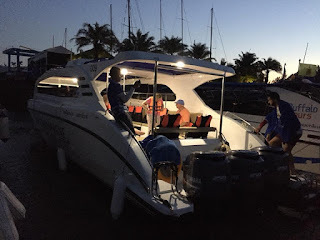 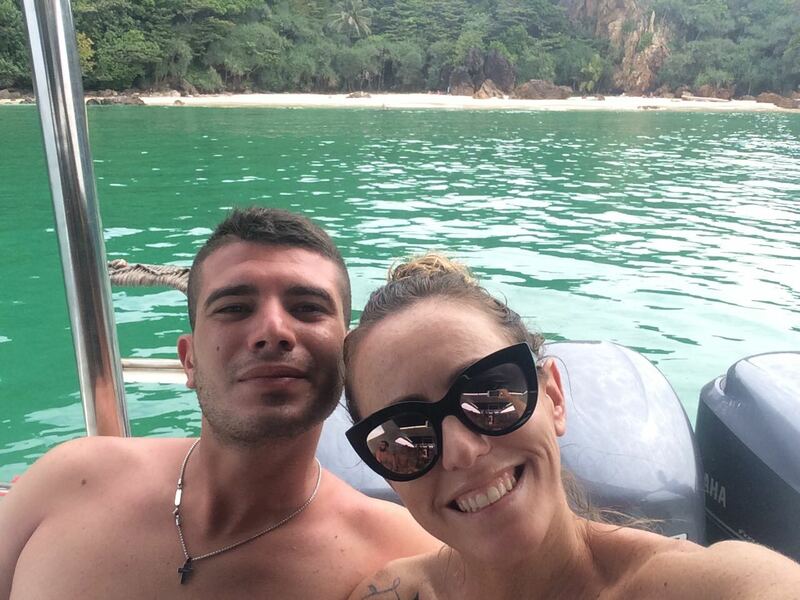 A boat ride to Similan is approximately one hour, so it isn’t necessary for anyone to spend the night at the park, he said. 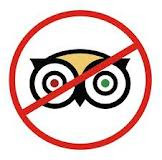 The ban on overnight stays would also help cut an unnecessary workload on the park’s staff, he said. 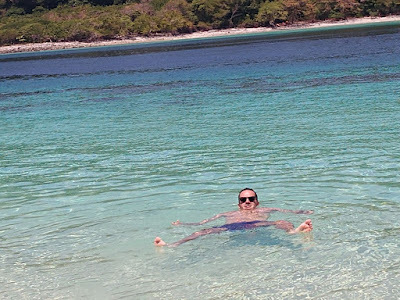 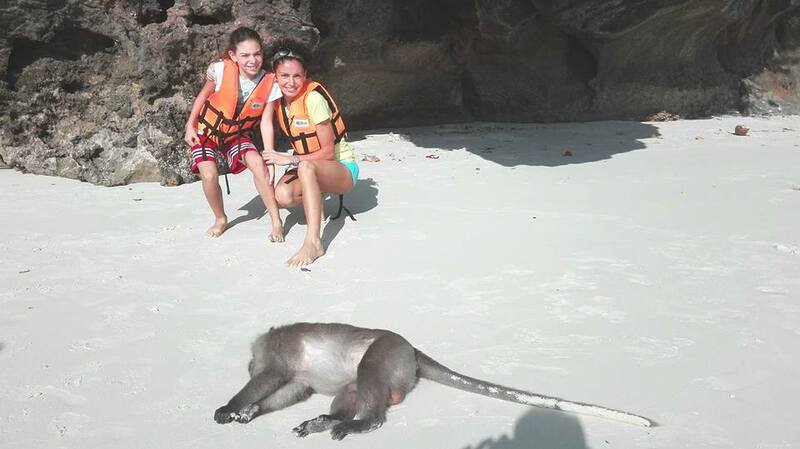 The department is conducting an alternative tourism policy, he added. 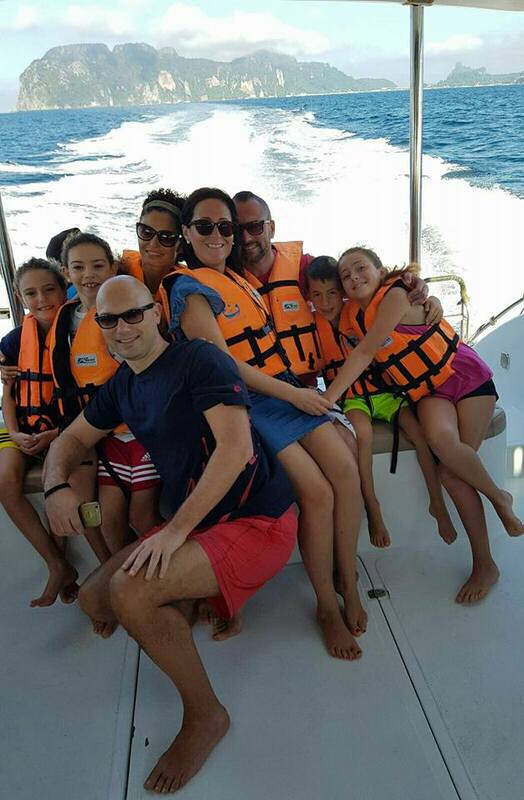 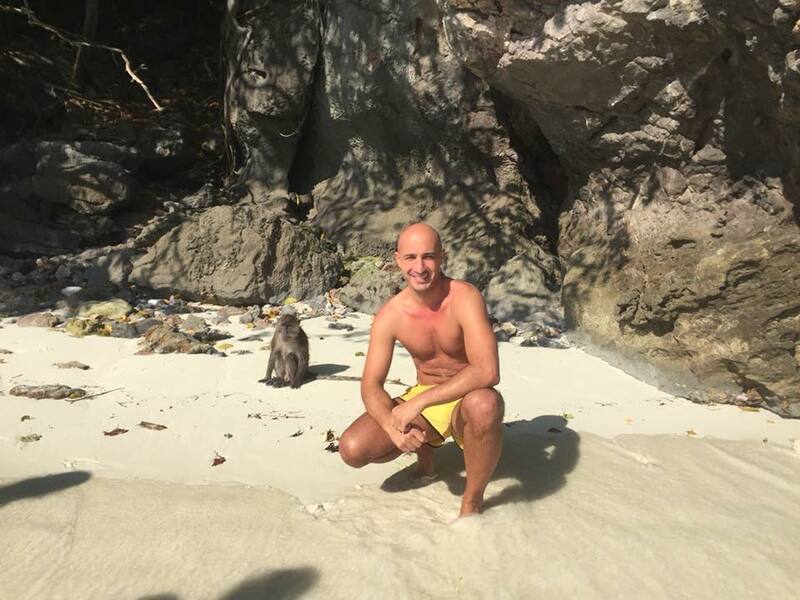 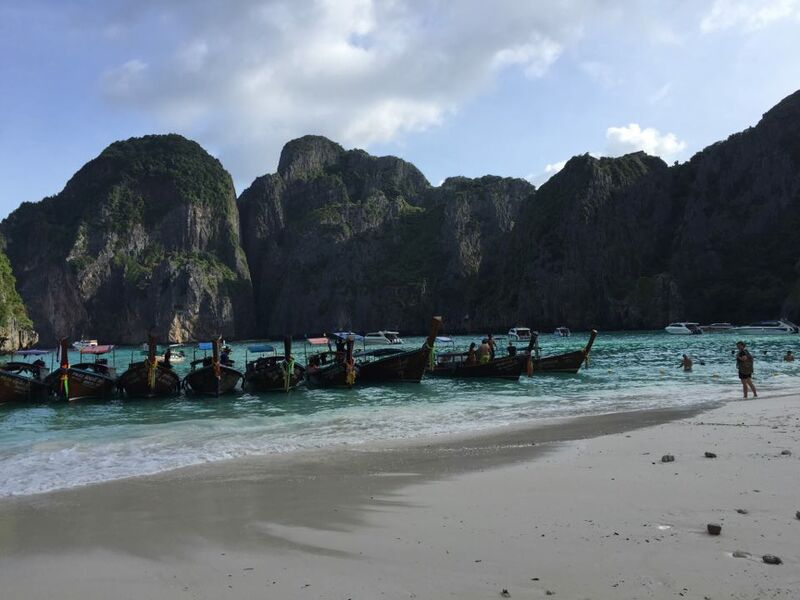 Servirà a qualcosa chiudere 4 mesi Maya Bay? 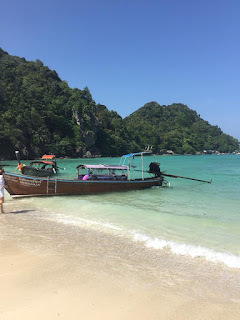 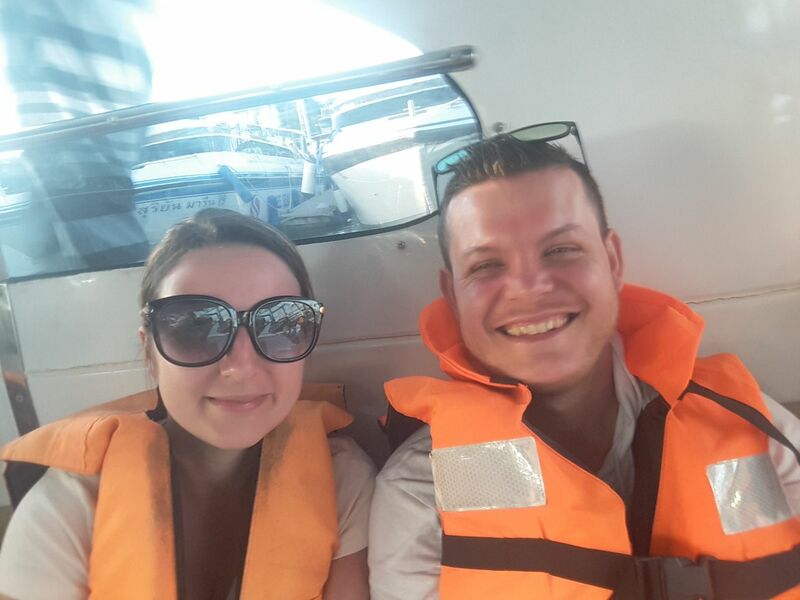 Ho qualche dubbio a tal proposito, era meglio dare un limite ingressi, vietare le long tail molto inquinanti, boe per ancoraggio barche, etc... Ci sarebbero mille soluzioni per accontentare i turisti che vogliono visitare questa spiaggia cercando nel possibile di limitare il turismo di massa. 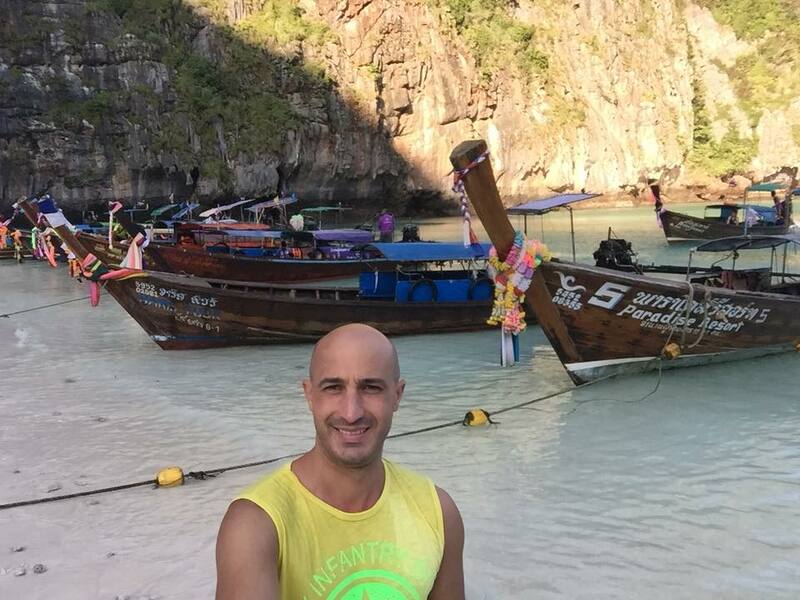 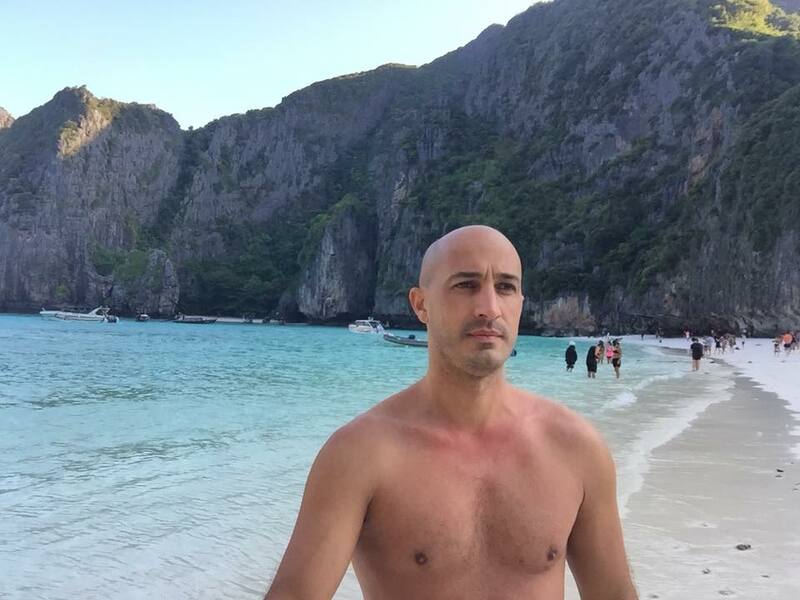 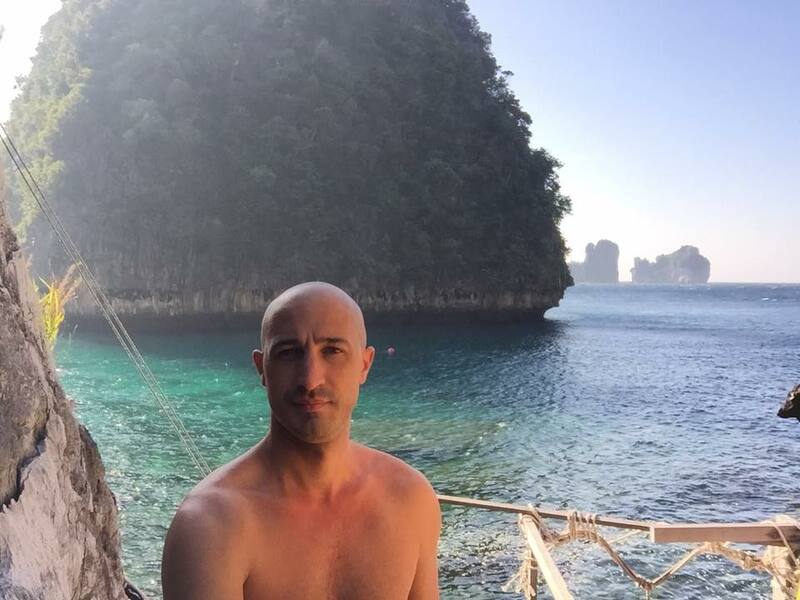 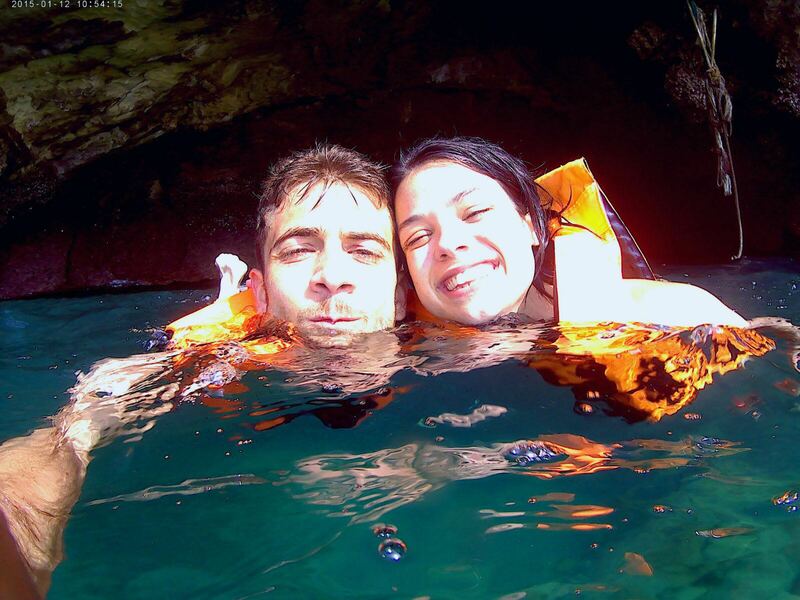 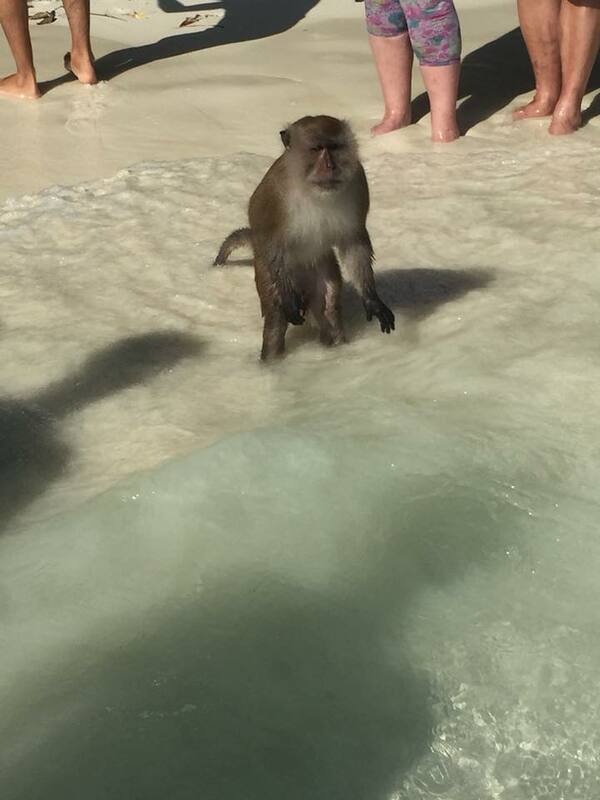 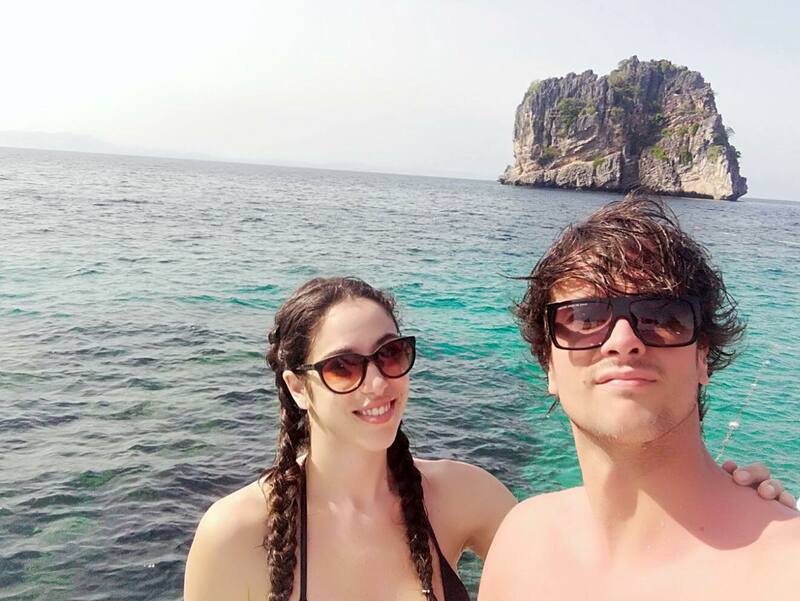 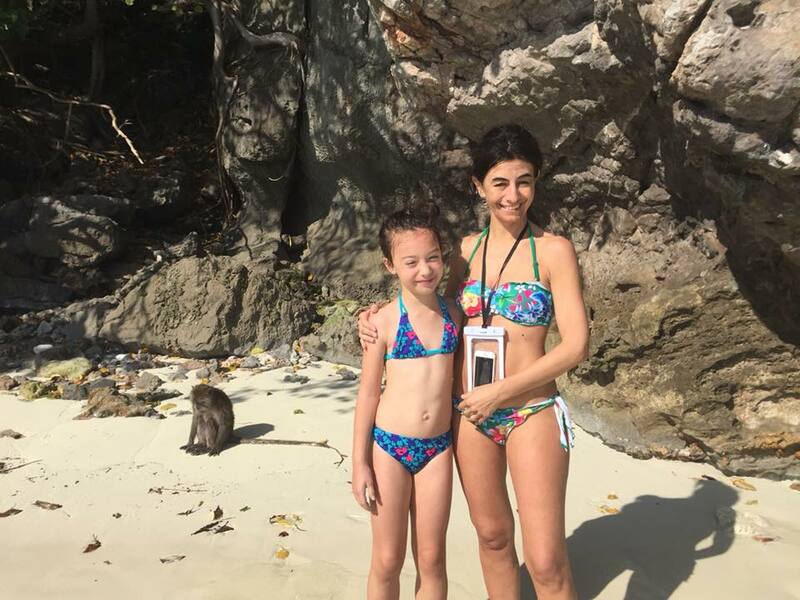 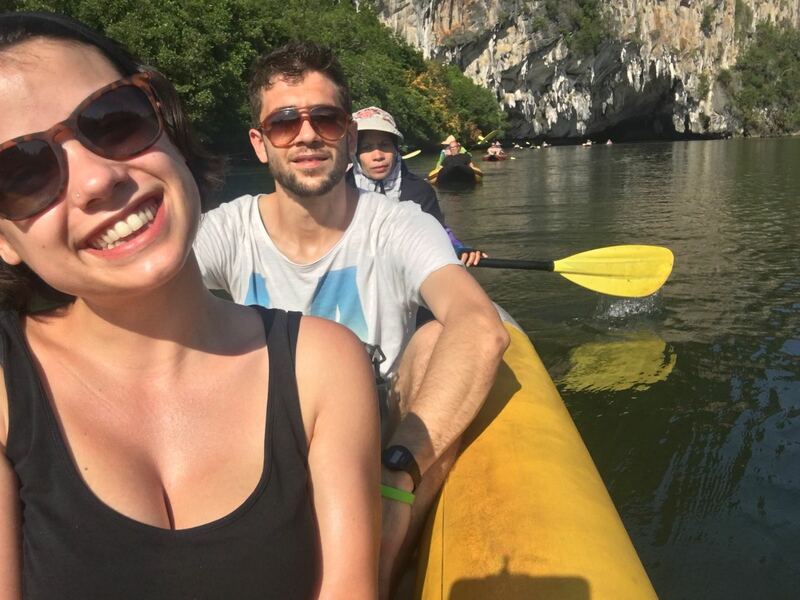 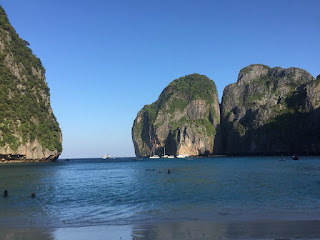 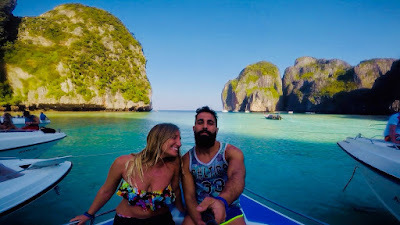 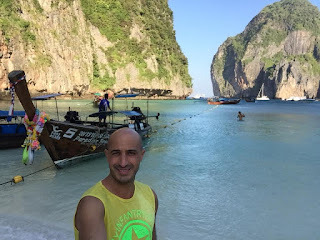 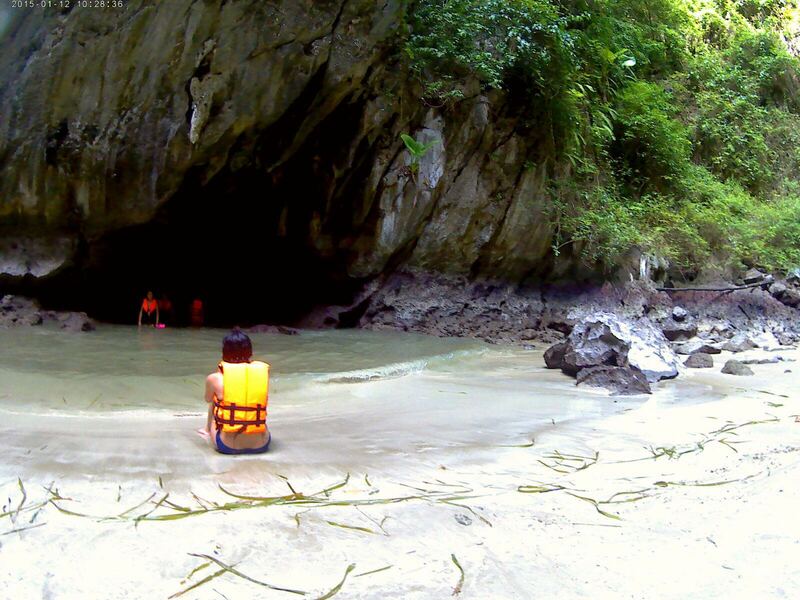 Come agenzia noi siamo preoccupati di un eventuale mancato introito della escursione a Phi Phi senza Maya Bay? 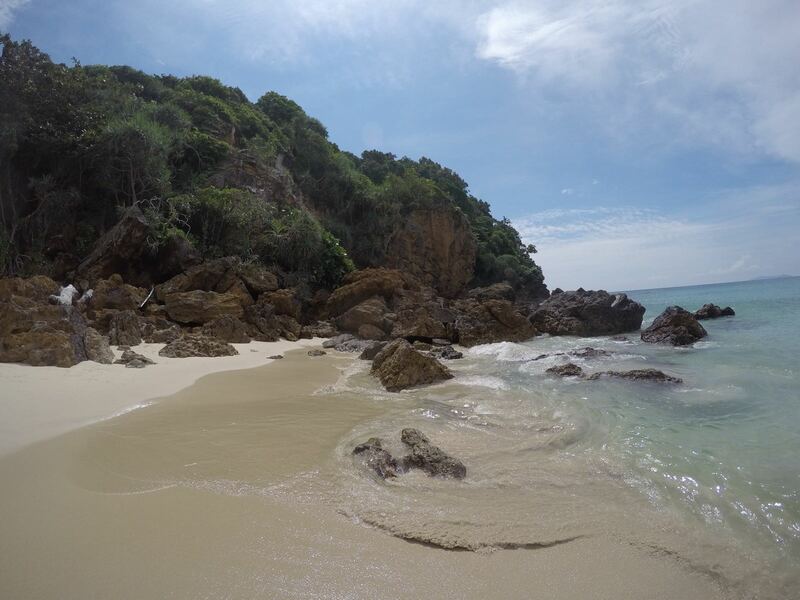 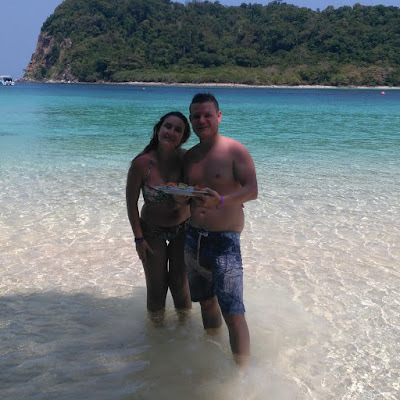 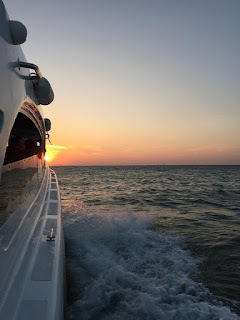 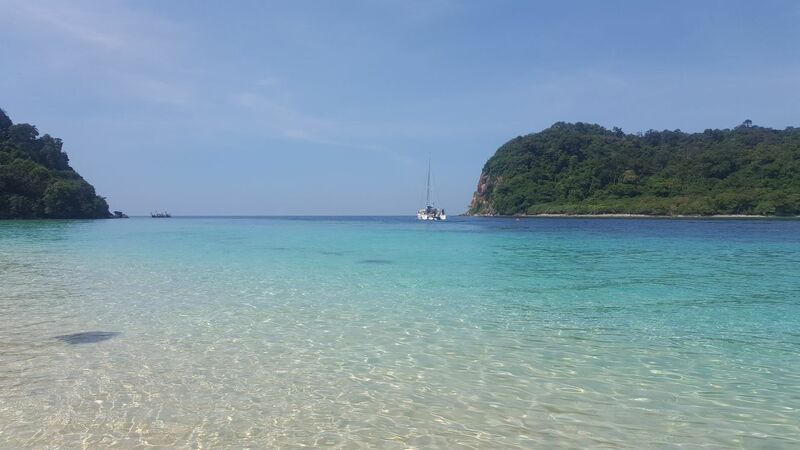 Il motivo è che sapremo proporvi un tour comunque bello non dimentichiamoci di Bamboo island e comunque ci sono altre spiagge, altre isole... La cosa importante è partire sempre presto, evitare il casino, barche nuove, staf preparato, insomma la qualità che ci ha sempre contraddistinto! 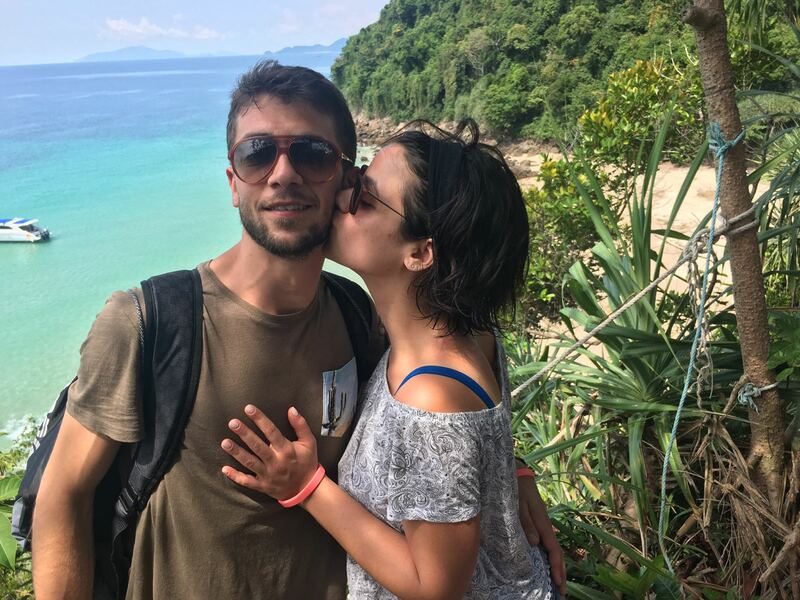 Quindi non preoccupatevi passate a trovarci in agenzia al Caffè Sky che vi spiegheremo cosa abbiamo in mente! 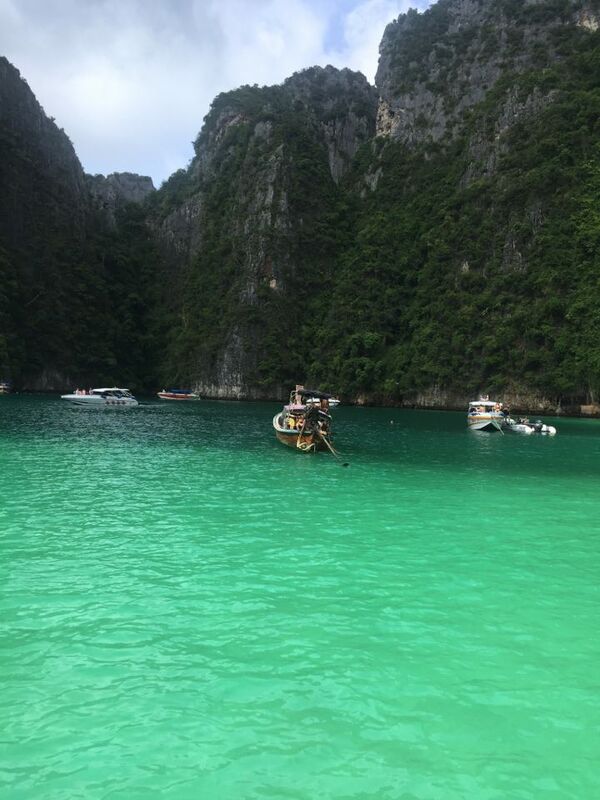 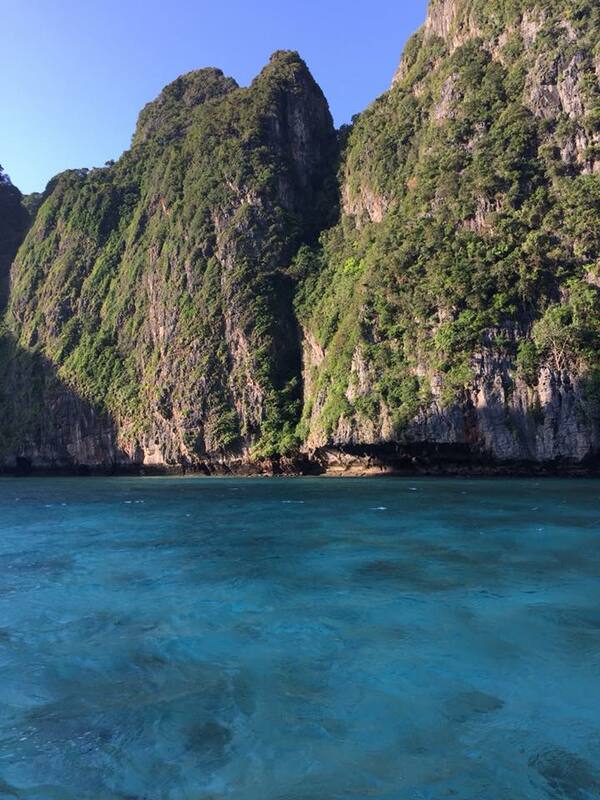 AS I step out of the boat on the shore of Maya Bay, my brain goes into overdrive. 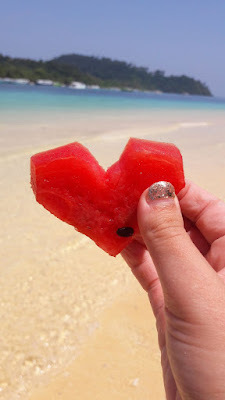 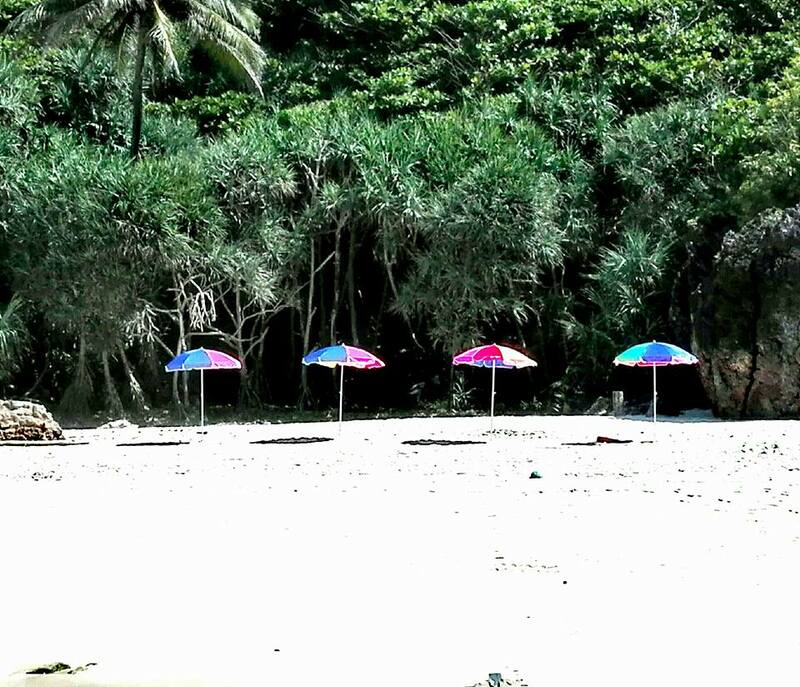 Where, I ask myself, is the tranquil beach that I fell in love with five years ago? 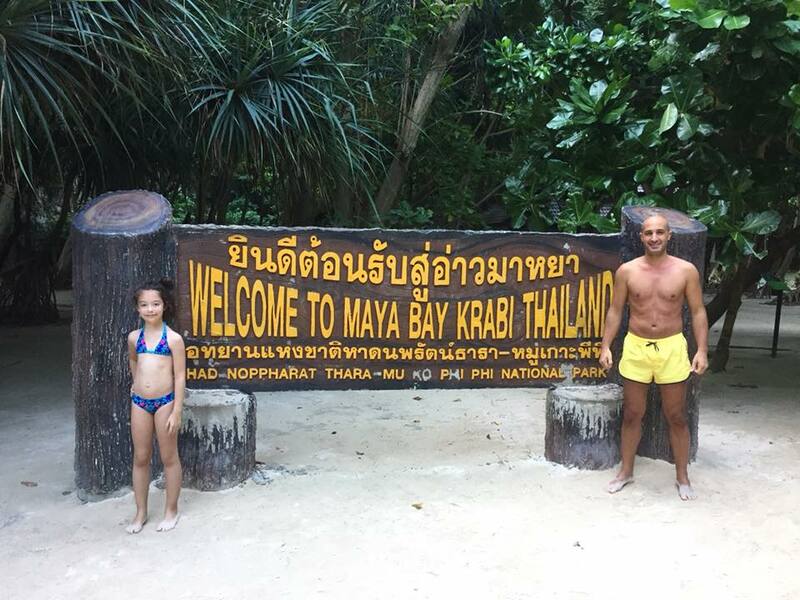 Has it been replaced by the waterpark at Bangkok’s Siam Park City? 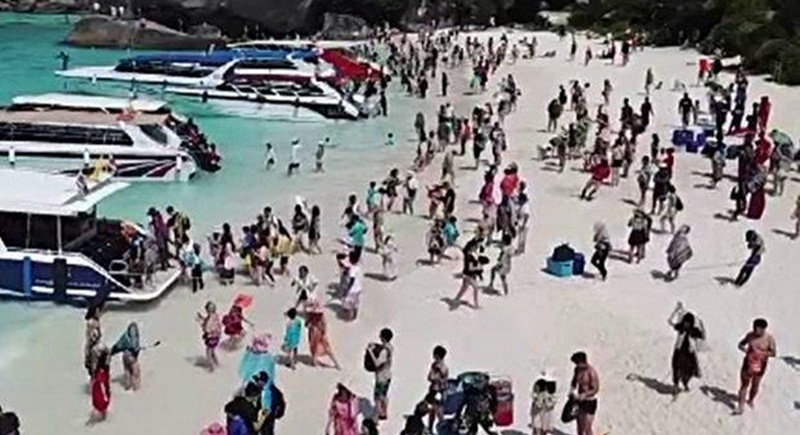 It certainly looks that way as hundreds of Chinese tourists splash around happily and loudly in the clear turquoise waters while others crowd the 400-metre white sand beach in a selfie-taking frenzy. 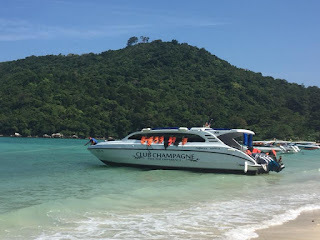 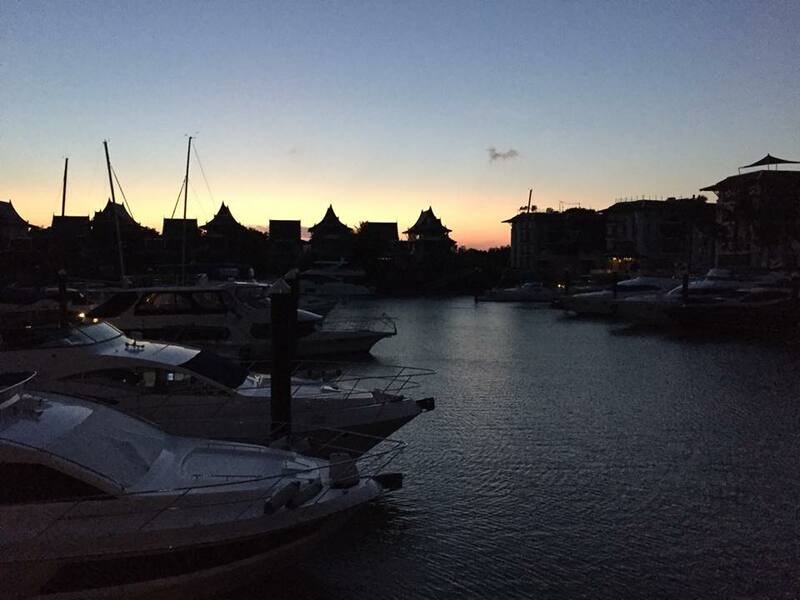 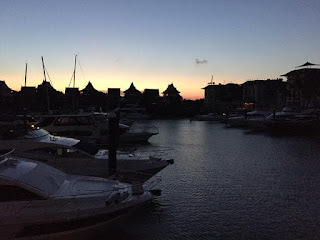 The front of the bay seems to have morphed into a boat expo with turbo speedboats and classic long-tail boats jostling for position and for business too, their owners shouting out offers for sightseeing and marine tours. 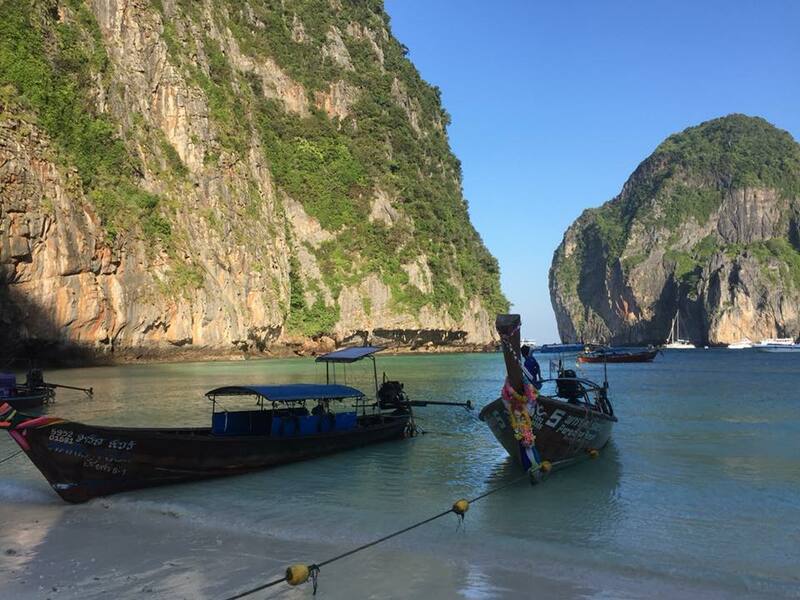 Maya Bay, which currently welcomes more than 3,000 tourists a day, will be closed for its fourmonth rehabilitation and makeover for sustainable tourism. 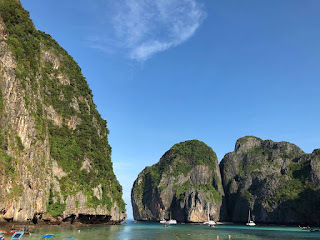 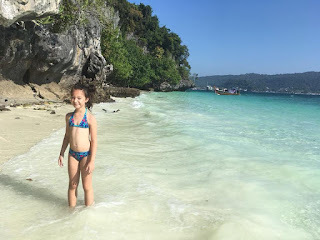 Looking around me with something close to despair, I can understand why Maya Bay is being closed from June 1 to September 30 for rehabilitation and a major makeover that should bring about better tourism management. 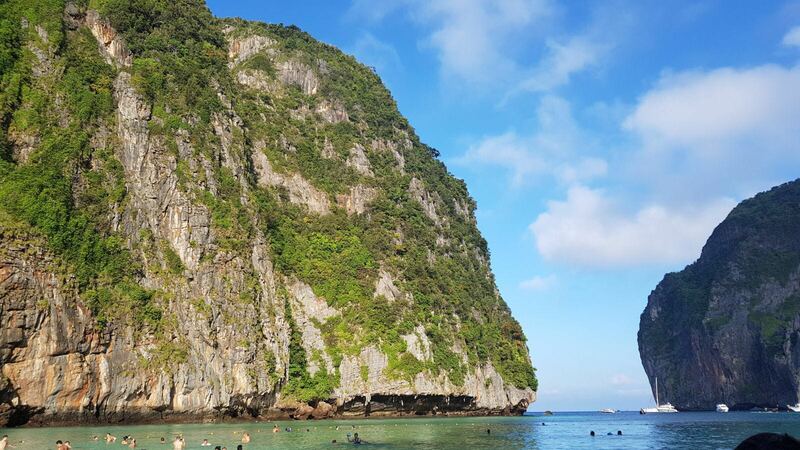 The bay will be capitalising on the success of the Phi Phi Set to Change Project, a collaborative effort by Hat Noppharat Thara–Mu Ko Phi Phi National Park, veteran marine ecologists Thon Thamrongnawasawat and Thaithaworn Lirdwitayaprasit and Singha Estate to turn Phi Phi Island into a model of sustainable tourism. 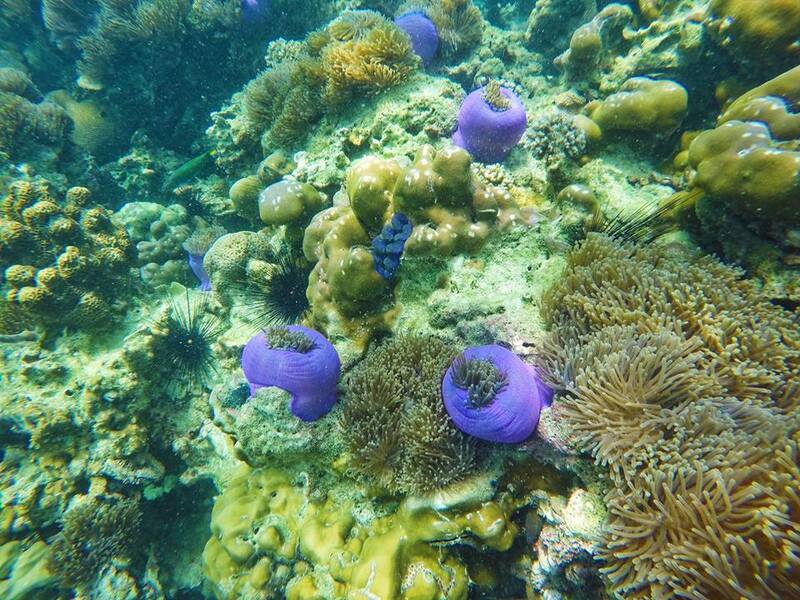 In 2016, this initiative led to the closure of Yung Island and the National Park and its designation as a Strict Nature Reserve Zone to preserve coral reefs and prevent coral bleaching. 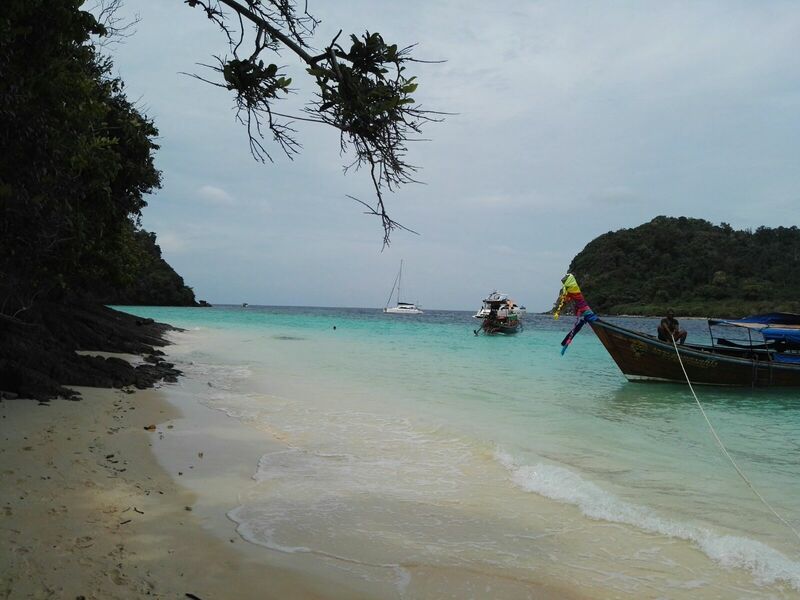 Focusing on the International Union for Conservation of Nature’s nature-based solution, the expert team has used reef propagation techniques to recover and restore the ecosystem while simultaneously controlling the numbers of tourists and vessels in Loh Ba Gao Bay and Koh Phai. 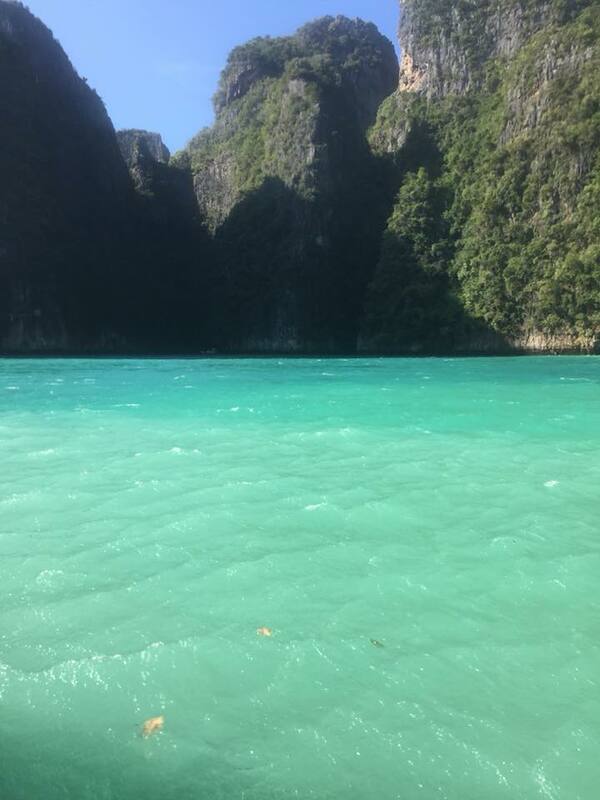 Today Koh Yung has come back to life. 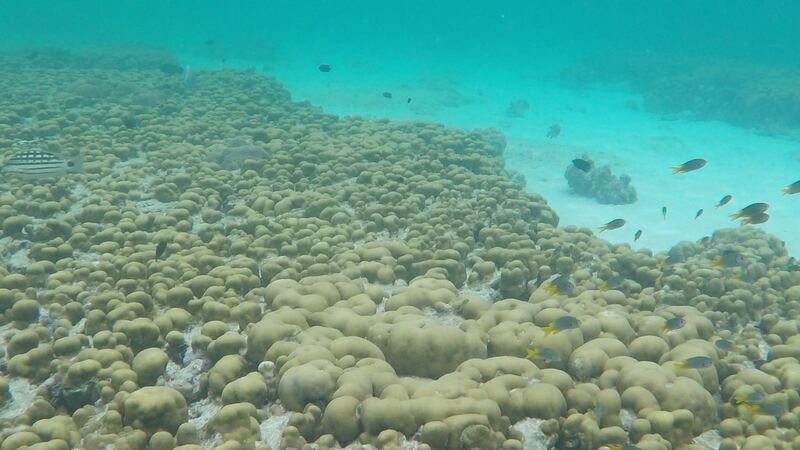 Coral bleaching is down by 10 per cent and the reefs have expanded from 1,300 to 1,480 square metres along the beachfront. 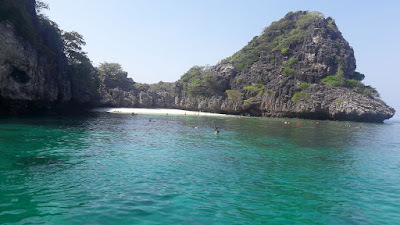 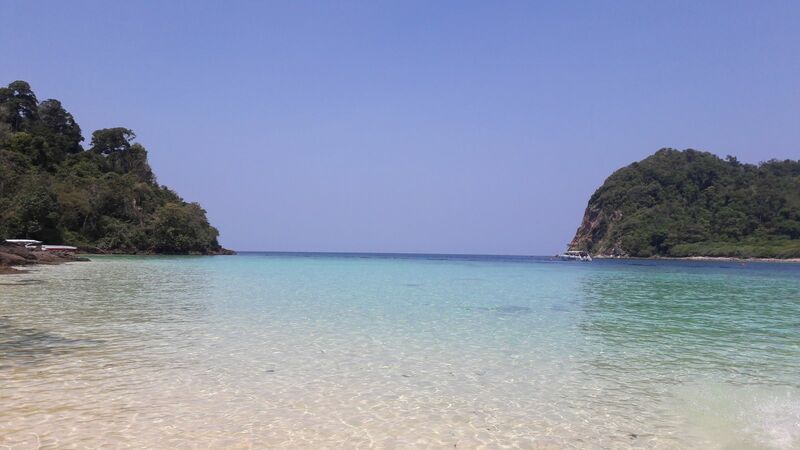 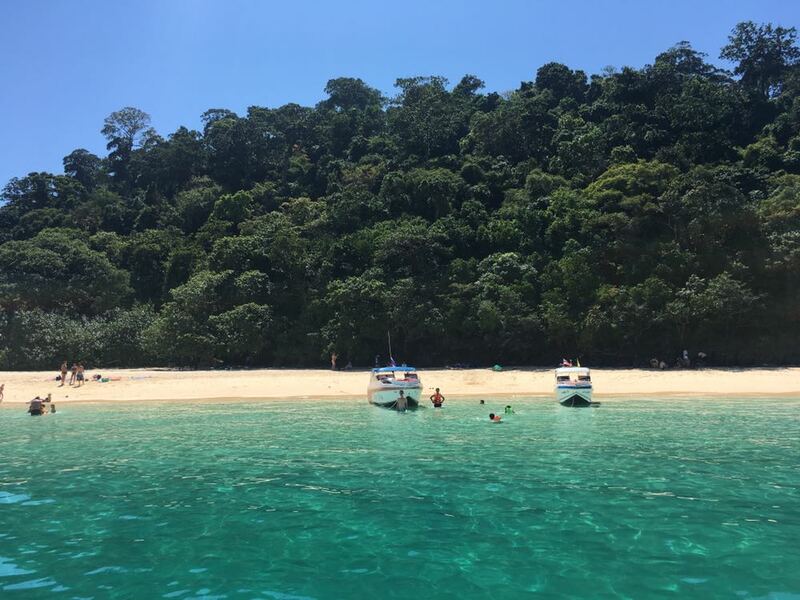 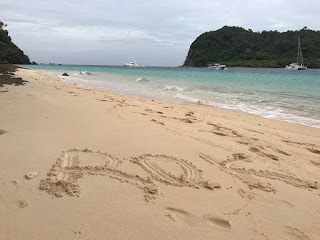 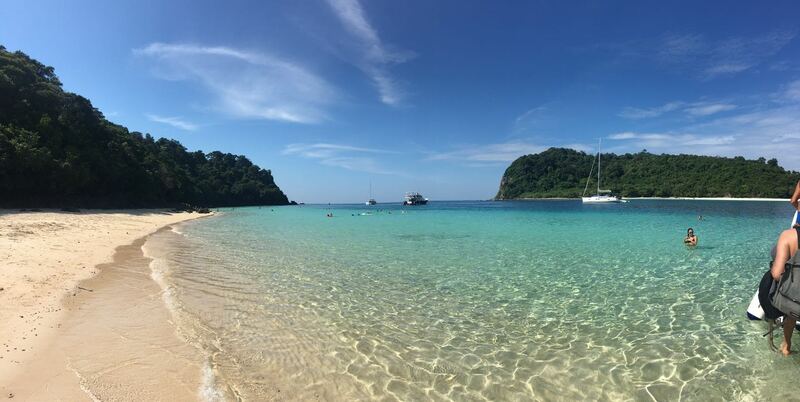 Just 10 kilometres away from Maya Bay, Koh Yung was closed in 2016 and is today testament to the success of its marine rehabilitation project. 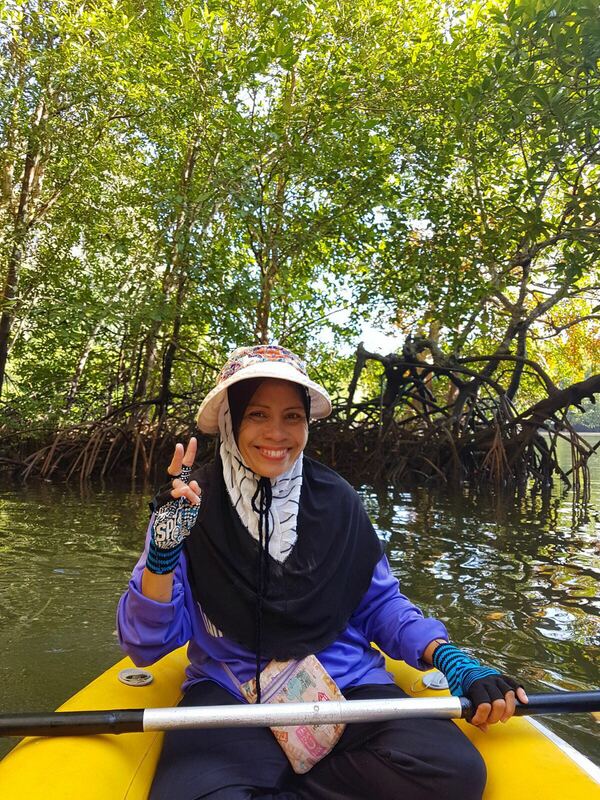 “This is part of the national strategy on sustainable growth and the national reform of the environment and natural resources. 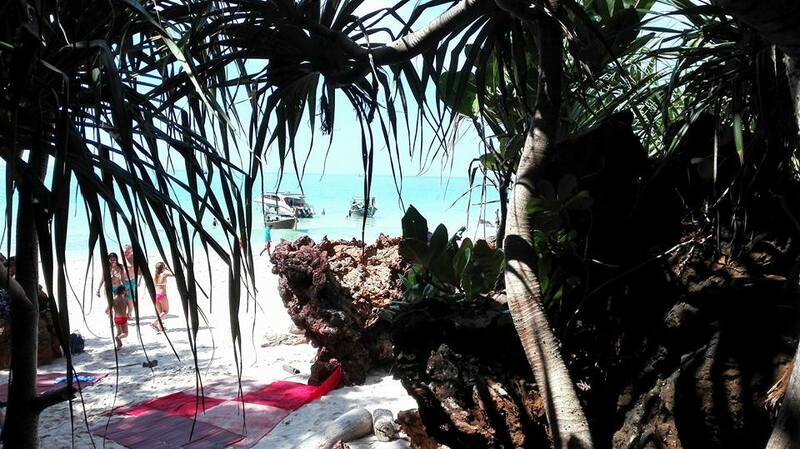 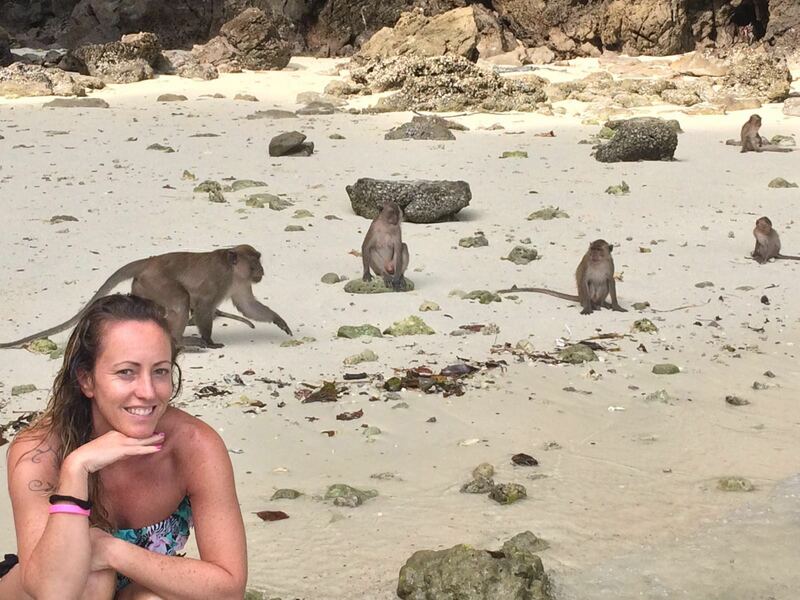 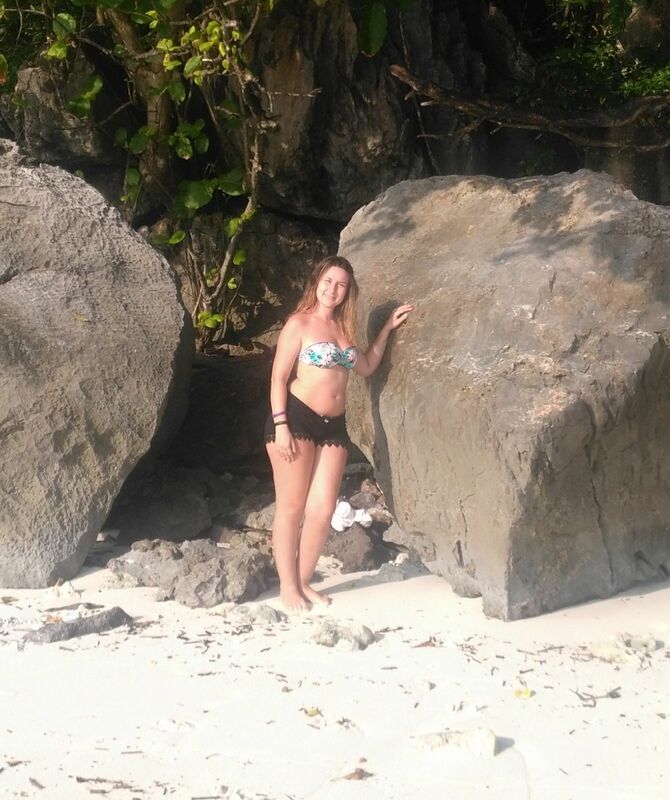 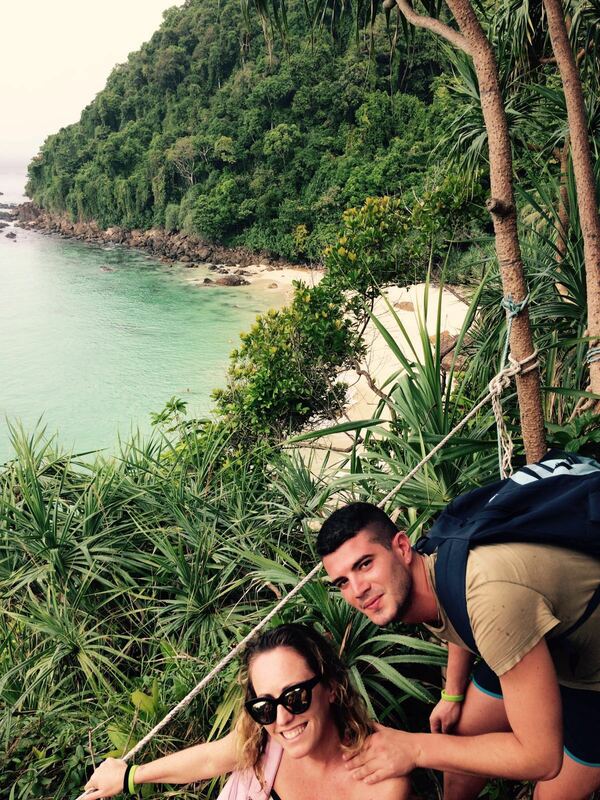 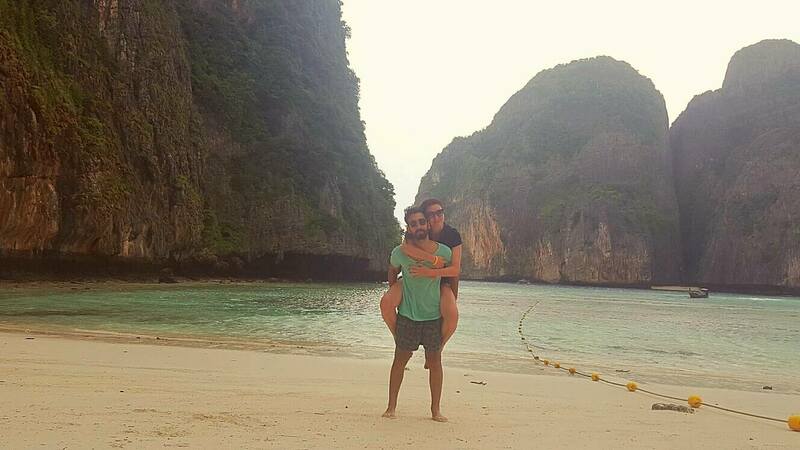 We picked Phi Phi Island as a model because it was such a hopeless site. 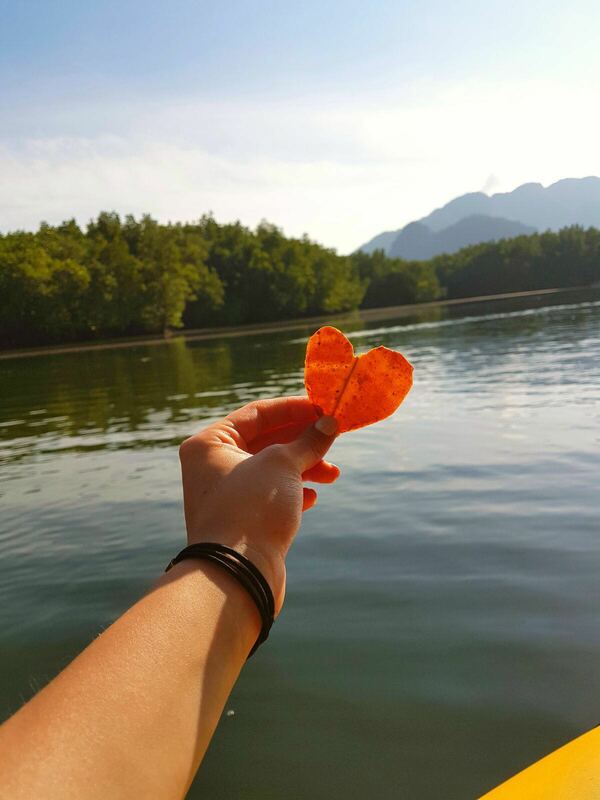 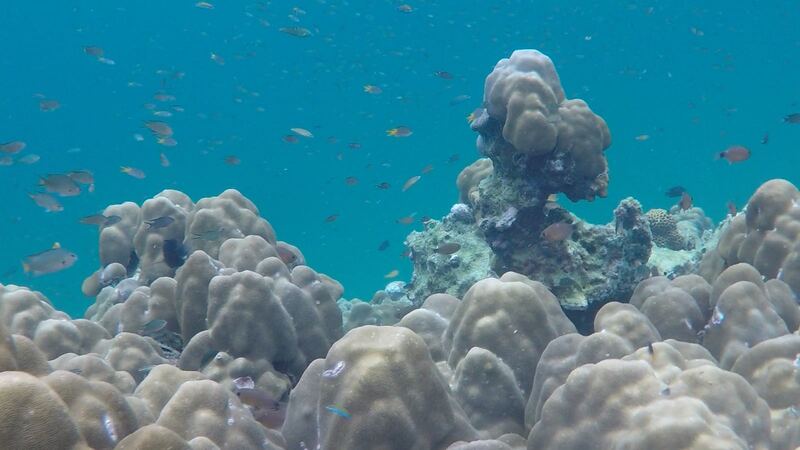 Three years ago, Koh Yung had less than five per cent of coral reefs and was just a spot for tourists to feed the fish,” says Thon, deputy dean of the Marine Science Department at Kasetsart University and a member of the national strategy and national reform committees on sustainable growth and the environment and natural resources. 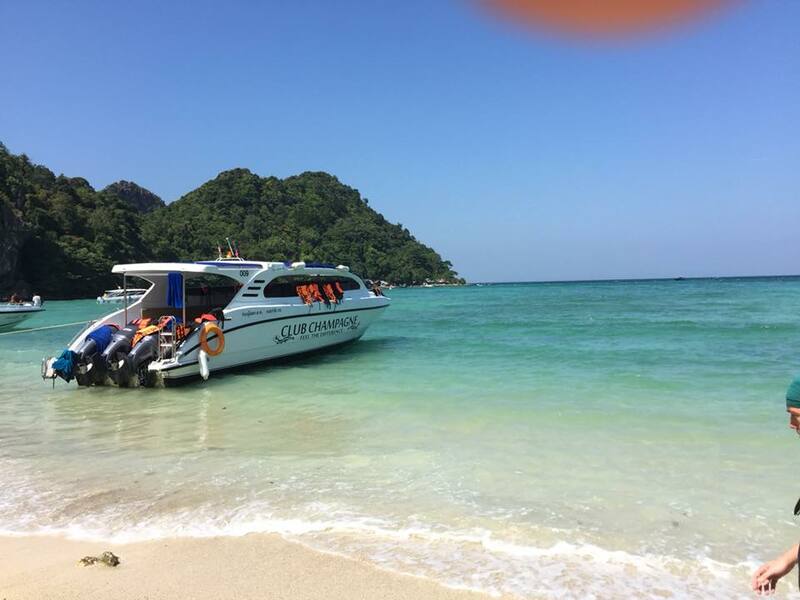 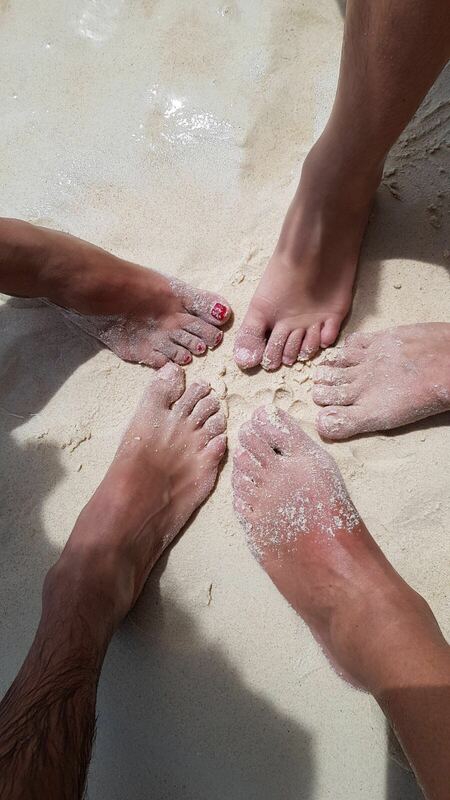 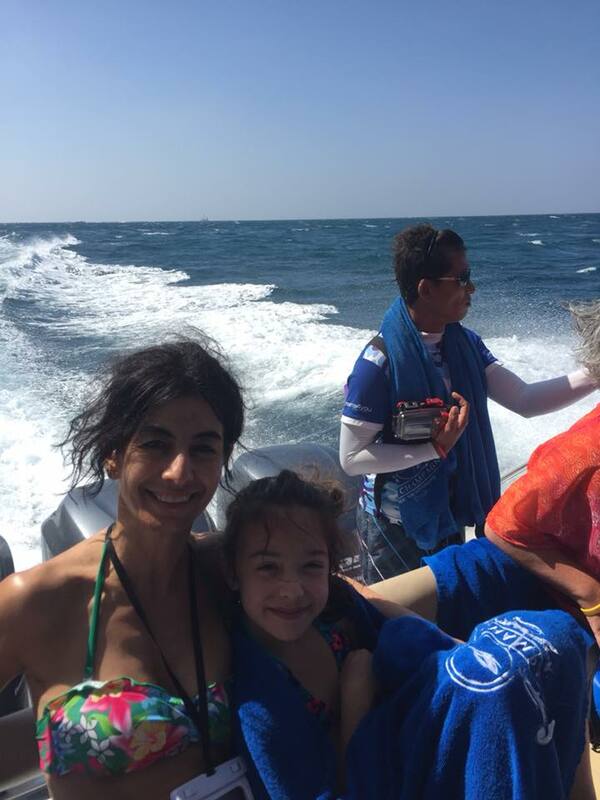 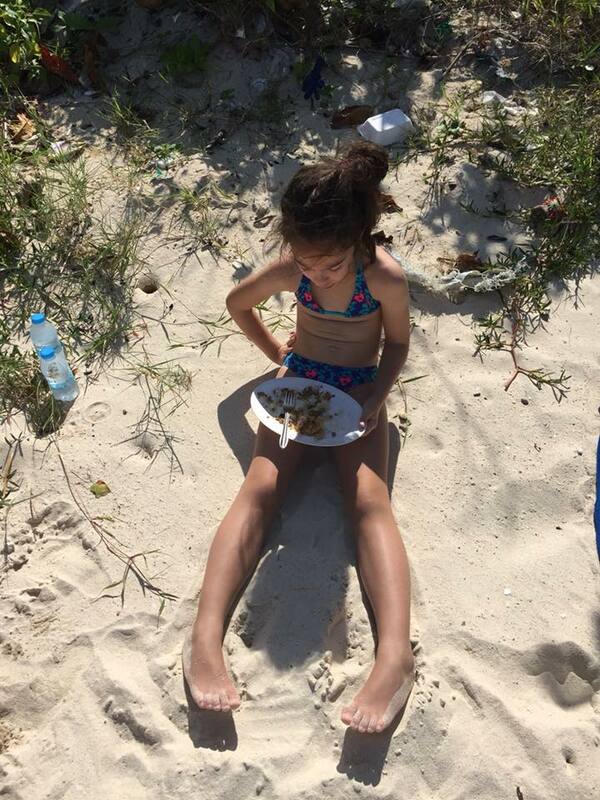 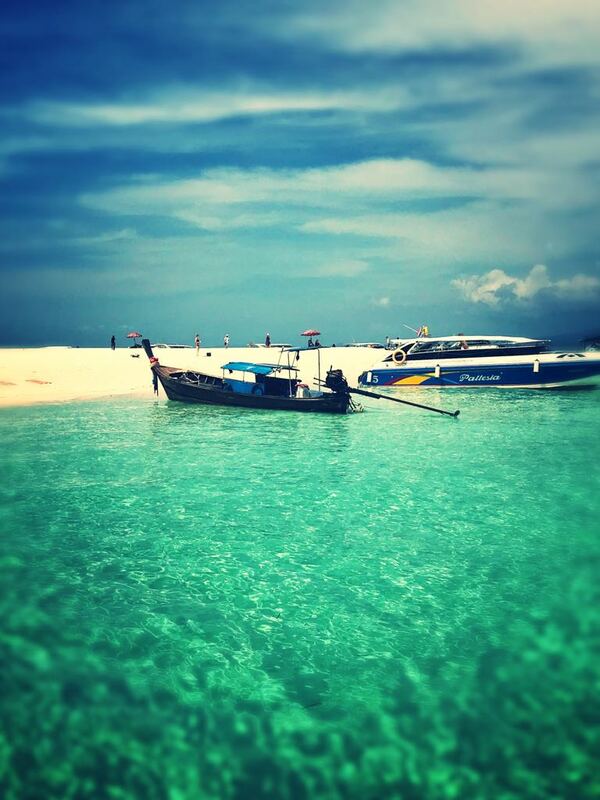 “Tourist boats gathered sand from the beaches and dropped them over the corals while moving in and out. 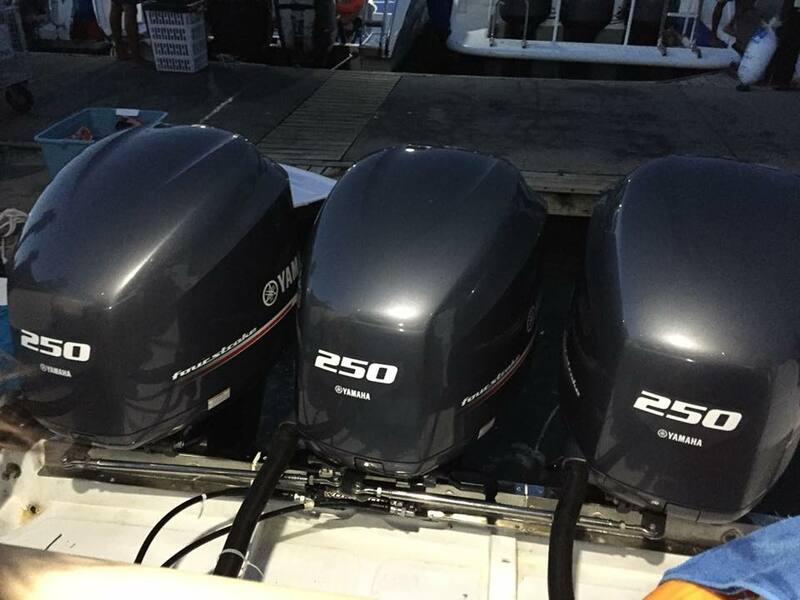 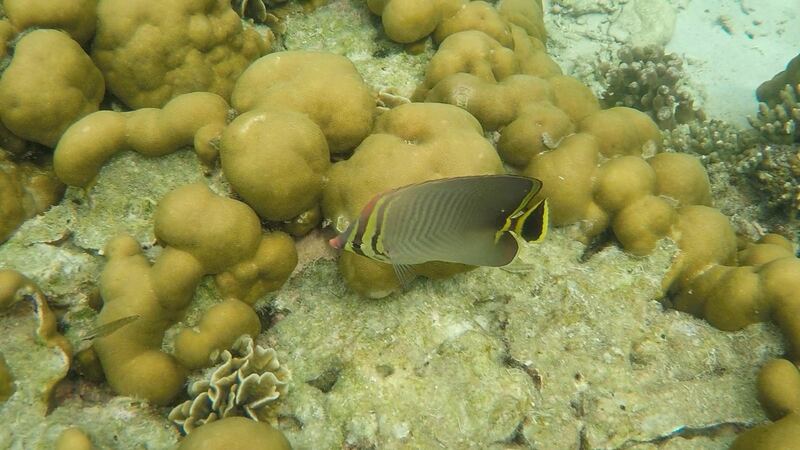 Meanwhile, they wiped out the coral reefs when anchoring underwater. 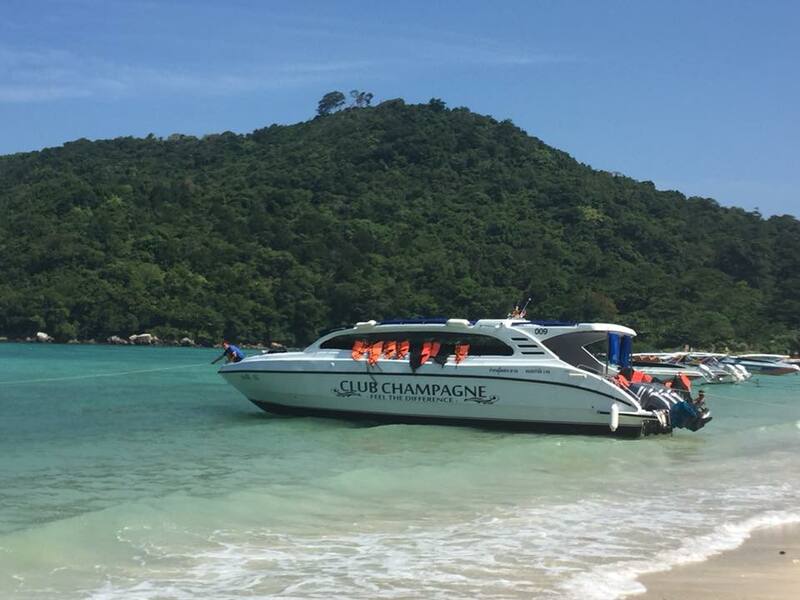 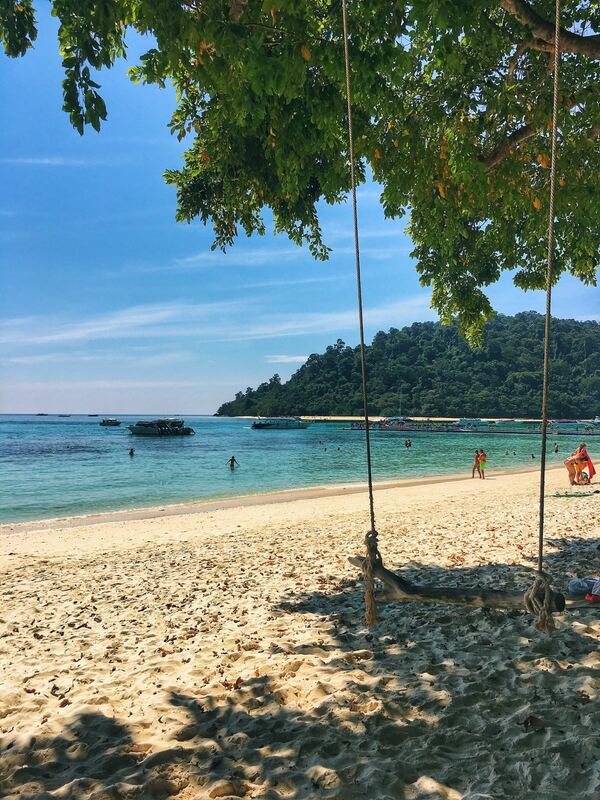 To solve this problem, Singha Estate has provided us with mooring buoys to create a park-and-ride spot for the tour operators. 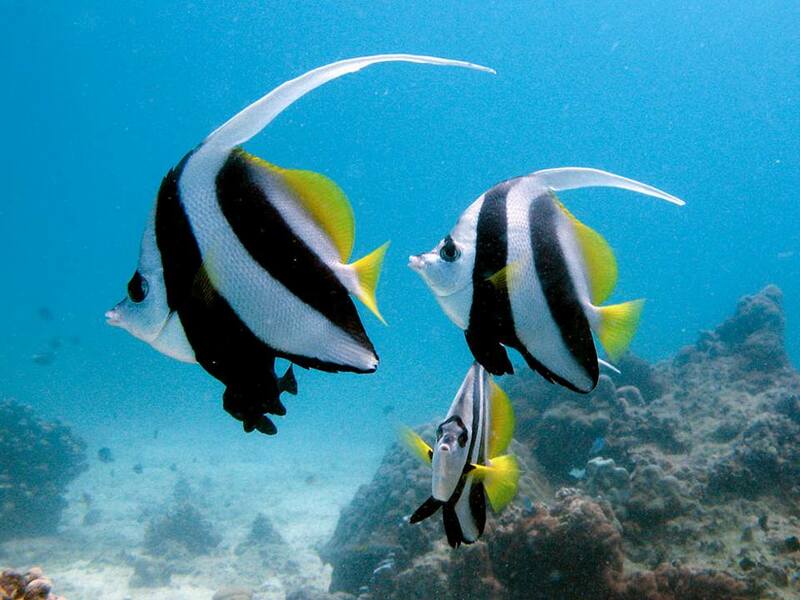 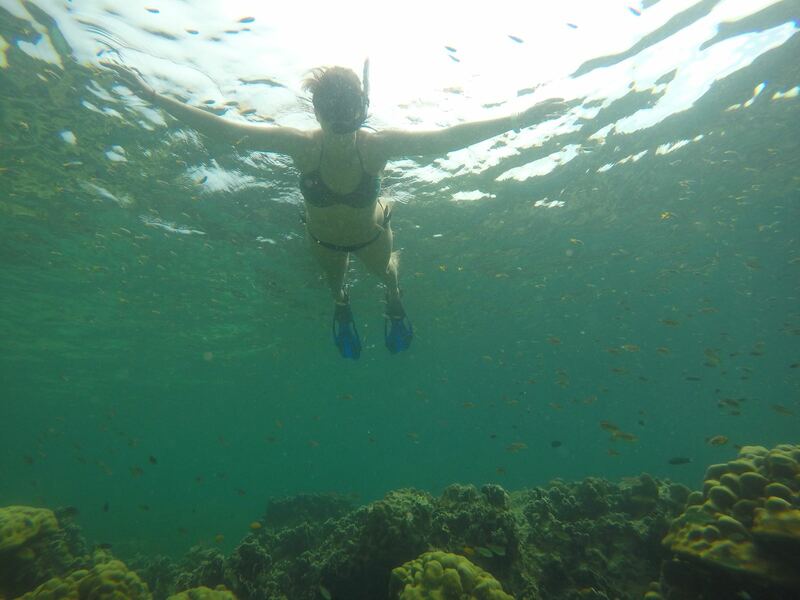 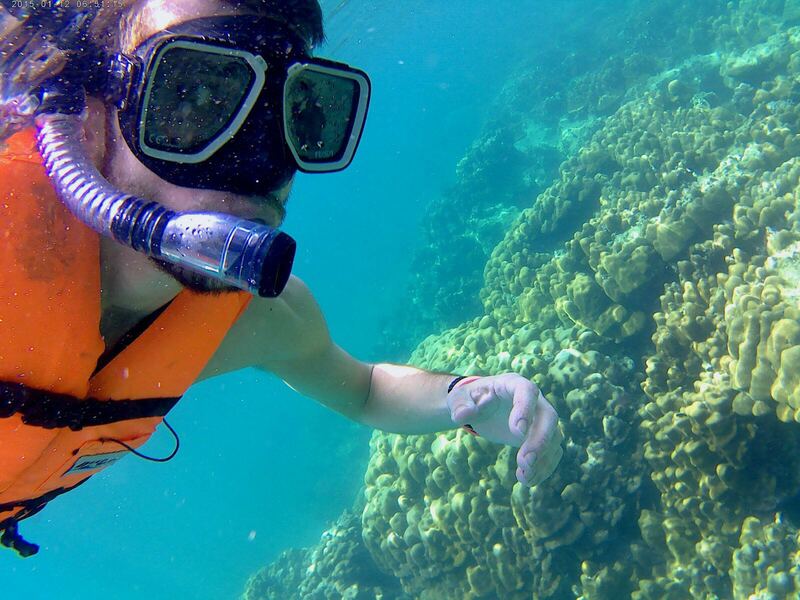 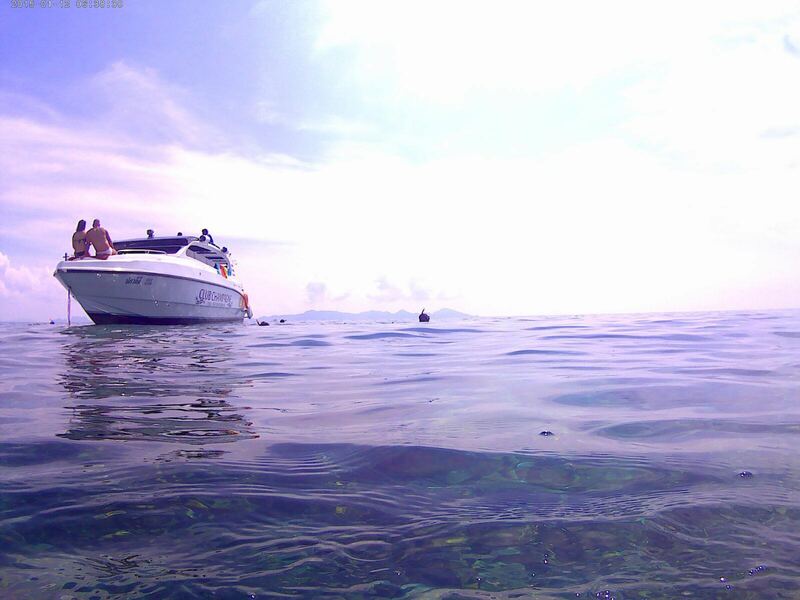 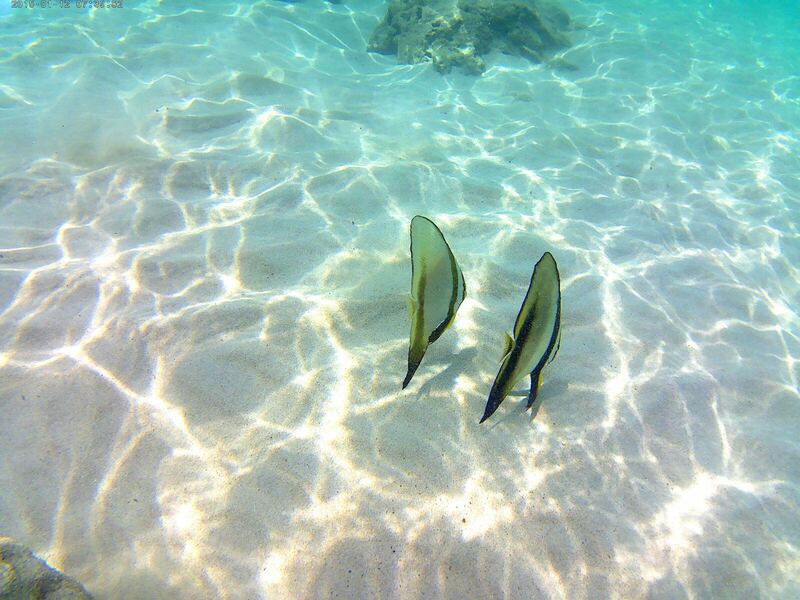 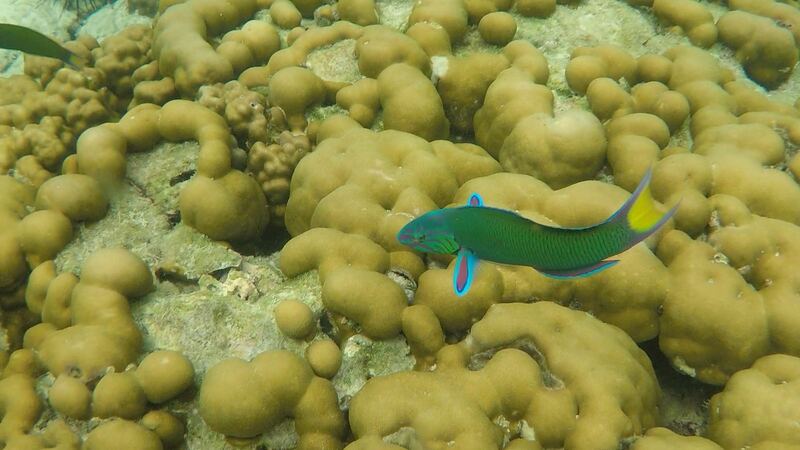 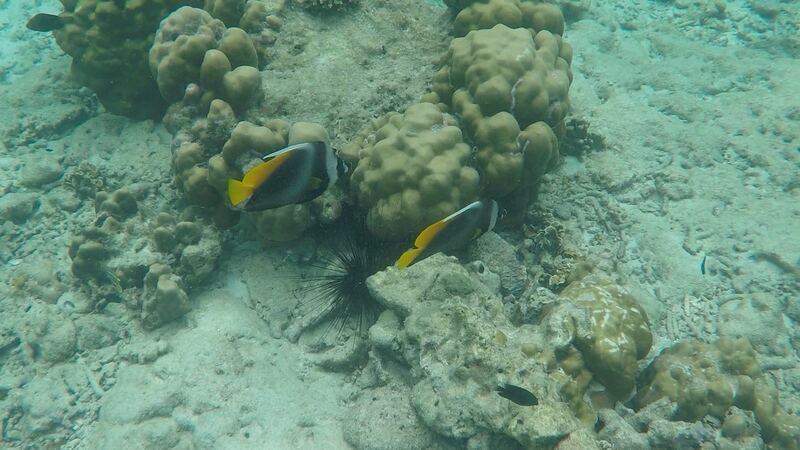 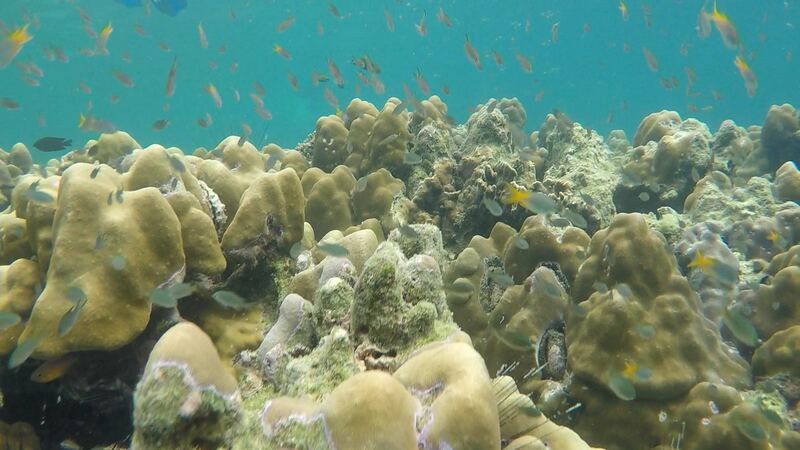 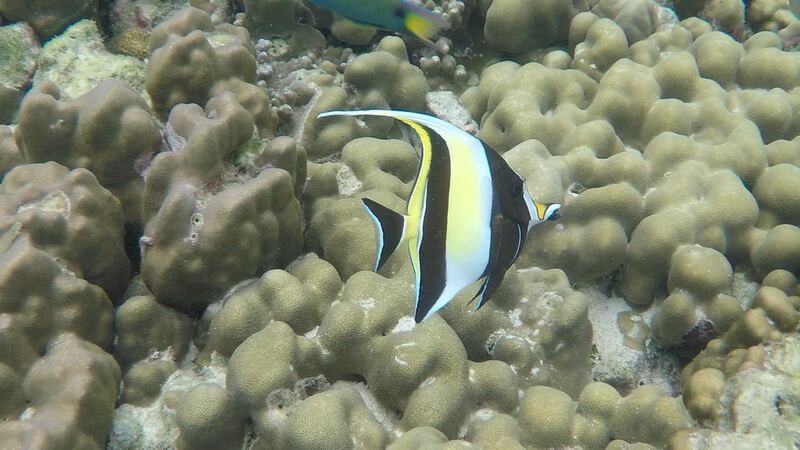 “In some areas of Koh Yung, we find the coral reefs are increasing from five to 80 per cent. 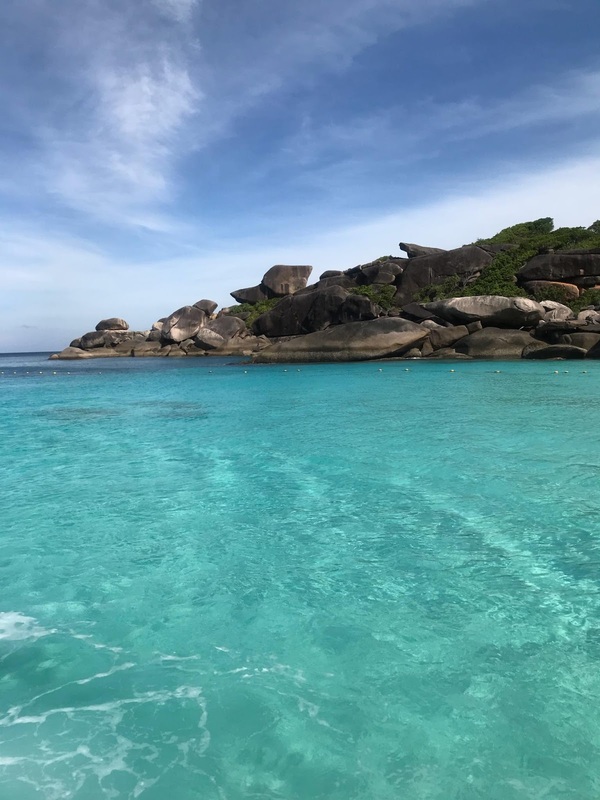 We’ve joined forces with local residents, restaurateurs and other business owners to launch the ‘No Shark, No Parrotfish Sold Here’ campaign,” he adds. 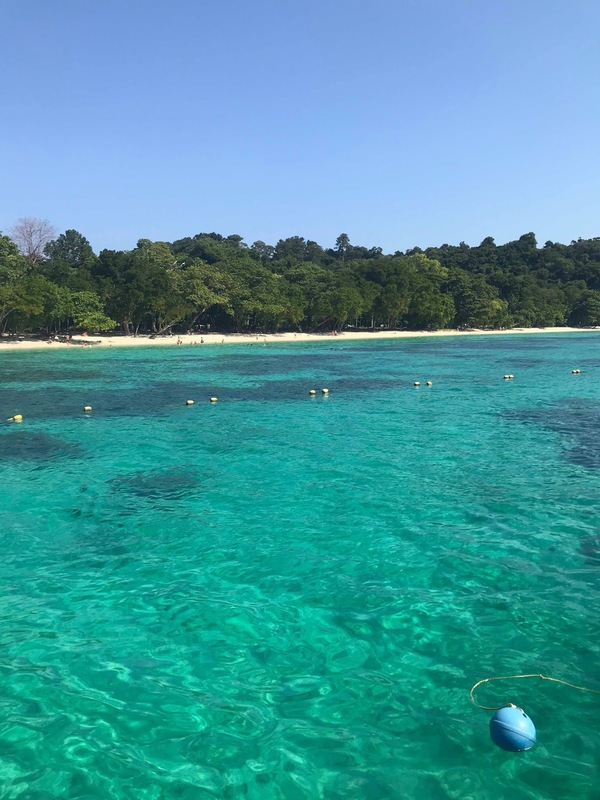 At depths ranging from one to 12 metres, Koh Yung now boasts a diversity of coral reefs such as acropora, diploastrea, favia, davits, fungia, heliopora, montipora, physogyra, pocillopora and porites, making it a striking learning centre for marine ecology. 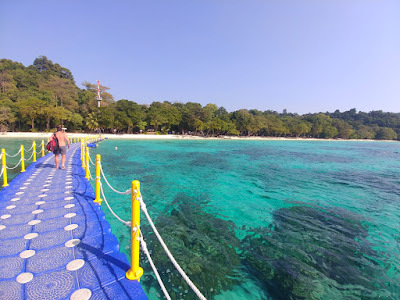 The reefs have expanded from 1,300 to 1,480 square metres along the beachfront of Koh Yung. 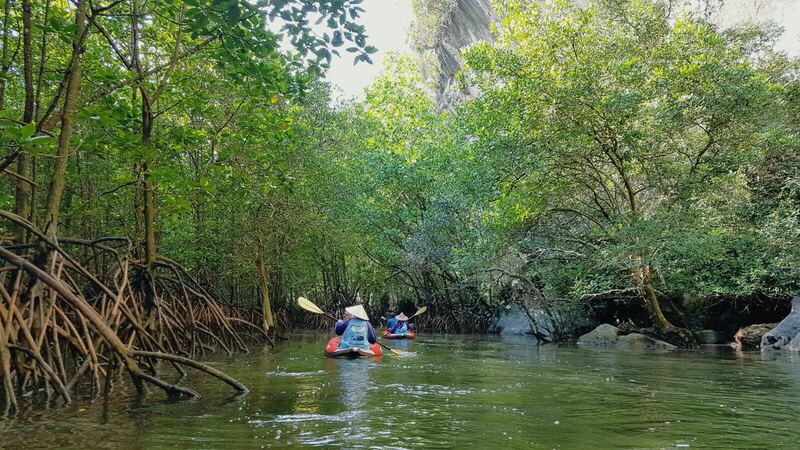 Last year, Singha Estate initiated a new project called “Toh Wai Wai” (“Quick Growth”) in collaboration with scholars, government agencies, and local communities to increase awareness of the value of biodiversity to humankind. 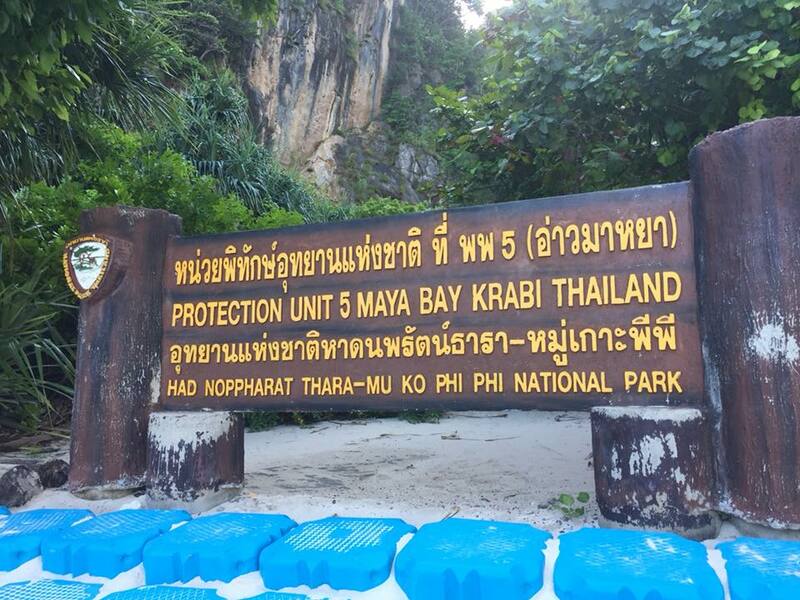 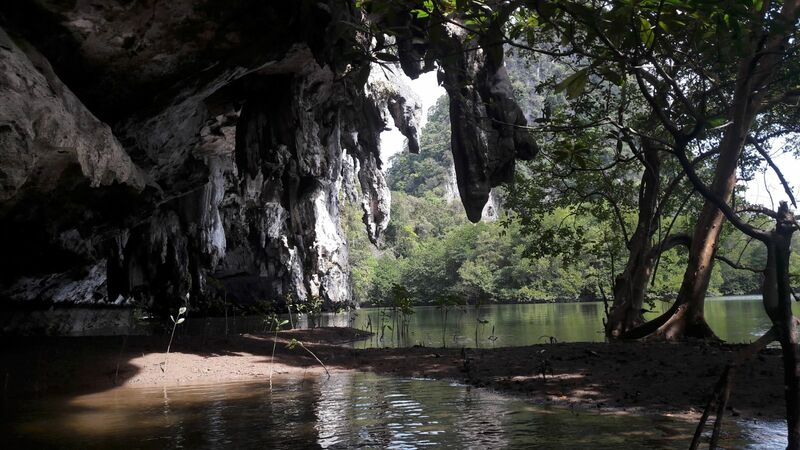 The project set out to rehabilitate the ecosystem and restore balance to Hat Noppharat Thara–Mu Ko Phi Phi National Park. 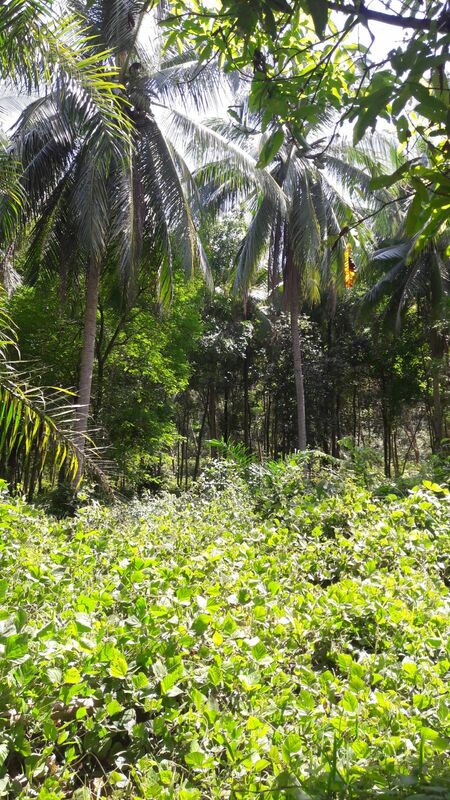 “Singha Estate is committed to community development and environmental conservation for sustainable growth. 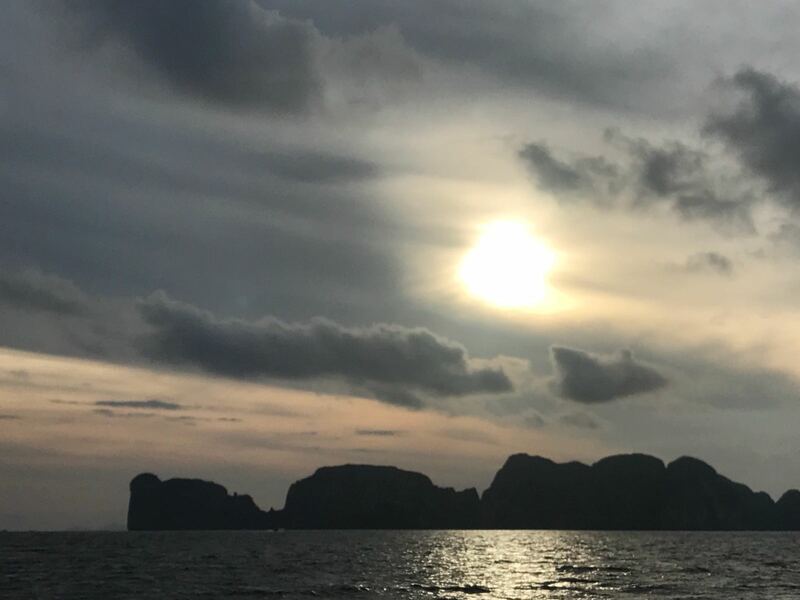 We focus on two major components – impact reduction and value creation for harmonious coexistence with the environment,” says chief executive Naris Cheyklin of Singha Estate. 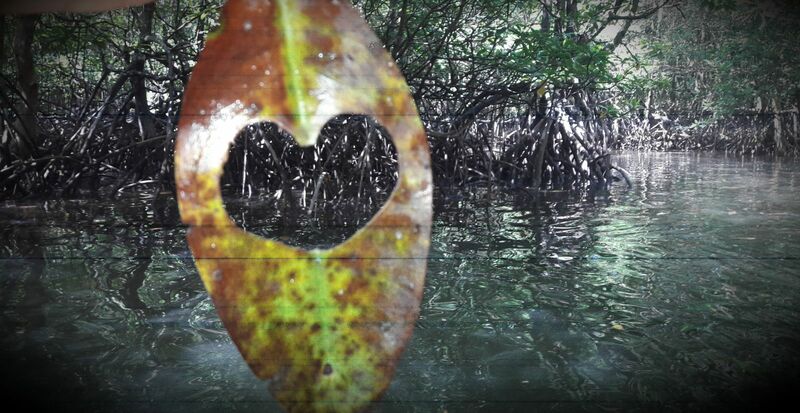 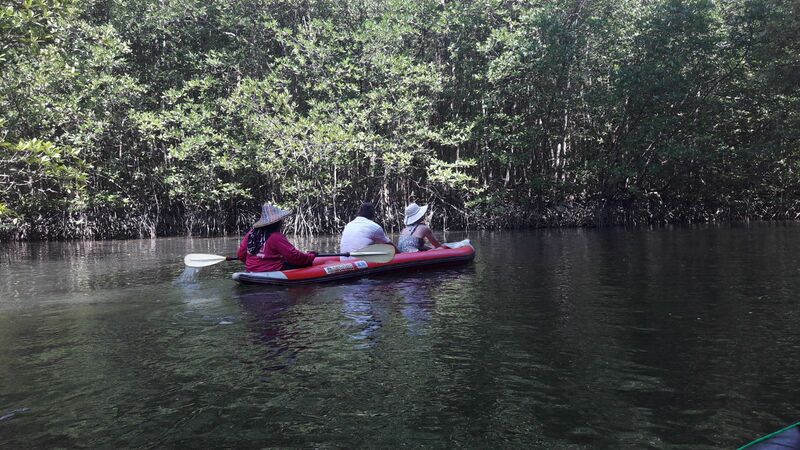 Part of the Quick Growth project, the grey mangrove trees are planted around Baan Laem Village, using saplings provided by the Biodiversity-based Economy Development Office to regenerate the marine ecosystem. 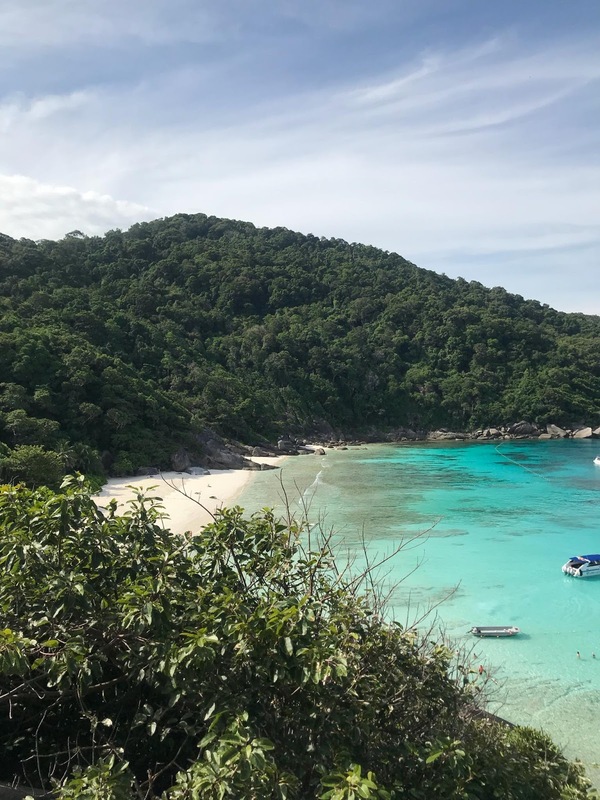 Singha Estate has supported Kasetsart University in conducting a project that sets out to restore and monitor the coral reefs in the park with drone-enabled aerial photography as well as propagate corals in Maya Bay. 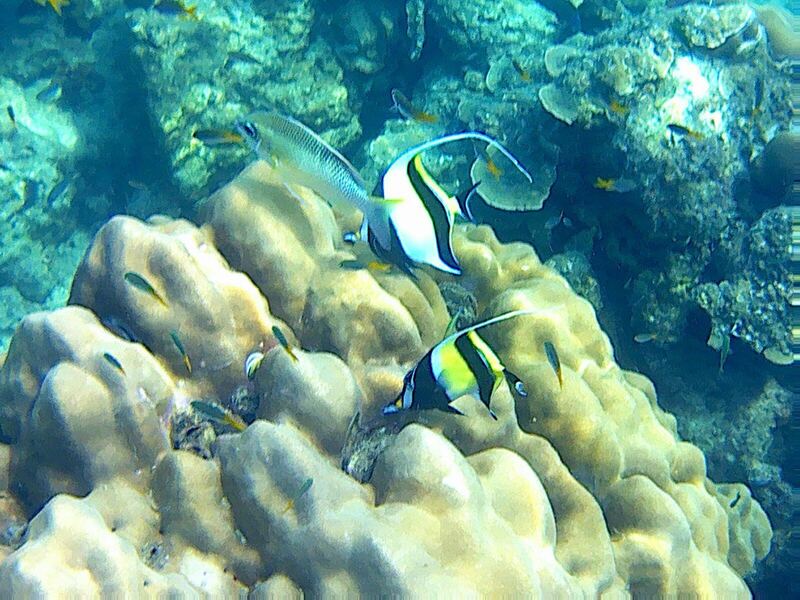 Using drones, the rehabilitation of marine resources will be tracked continuously and sustainably, in line with the national strategic plan for coral reef restoration of the Ministry of Natural Resources and Environment. 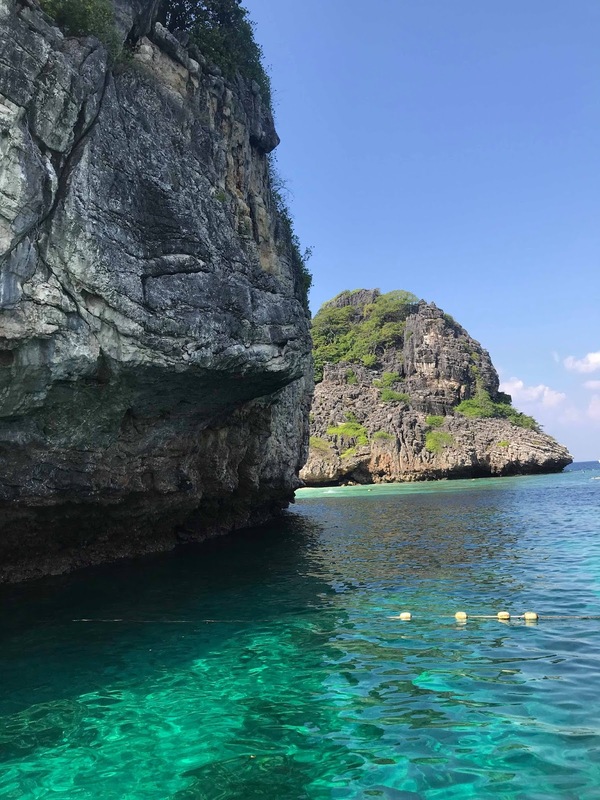 Loh Ba Gao Bay has been turned into a nursery for coral reefs that will be moved to Koh Yung and Maya Bay when they are strong enough. 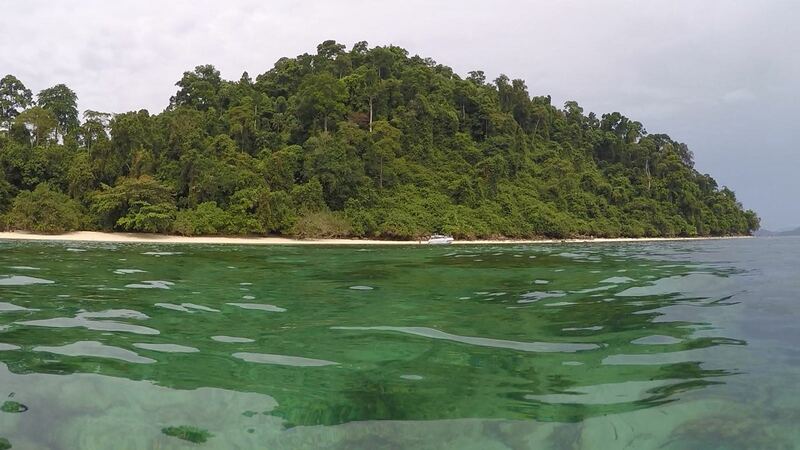 The project has teamed up with the Sea Shepherd Conservation Society to turn some areas of Loh Ba Gao Bay into a nursery ground, using hanging techniques at depths of four and seven metres to propagate corals, which will be moved to Koh Yung and Maya Bay when they’re strong enough. 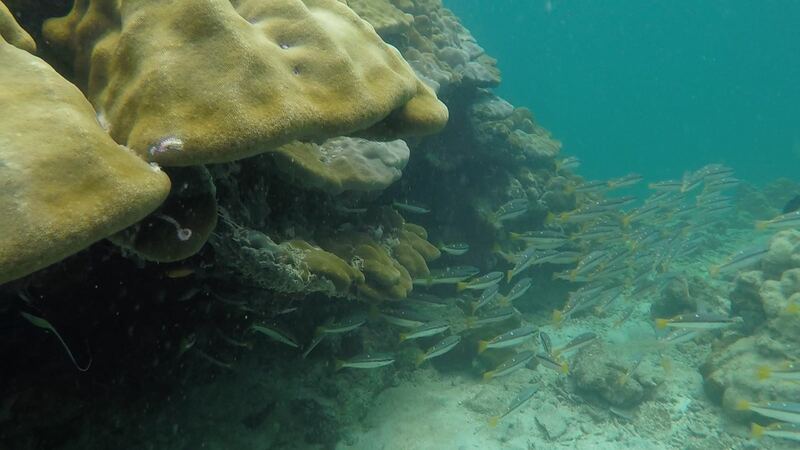 “We’ve collected broken pieces of live corals and cut them off before reattaching them to the rocks with glue. 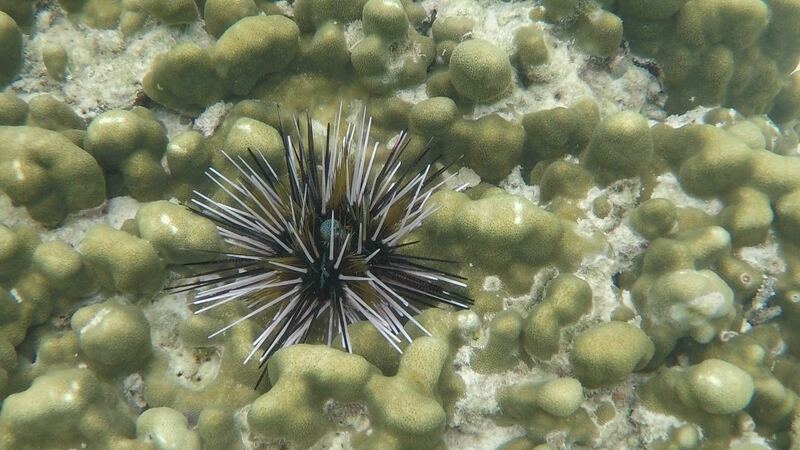 We also use a few drop of catalyst to help boost their growth and protect them from disease. 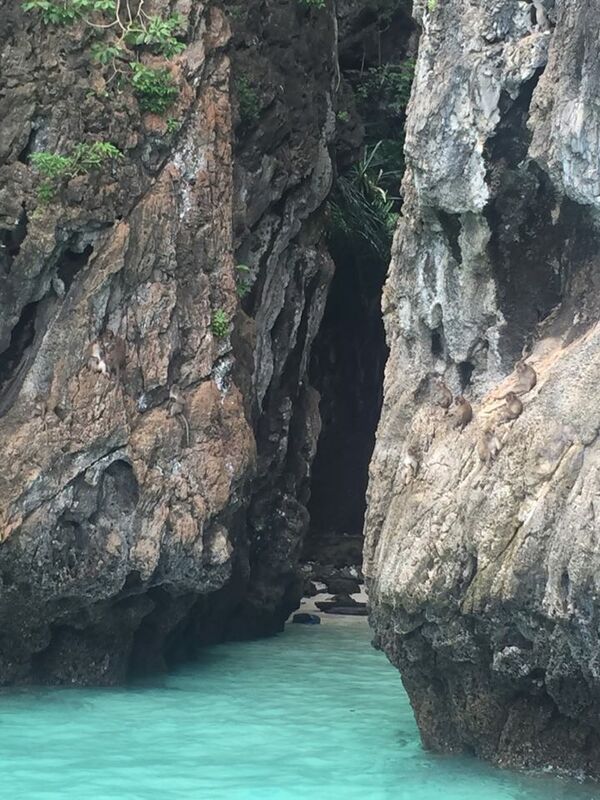 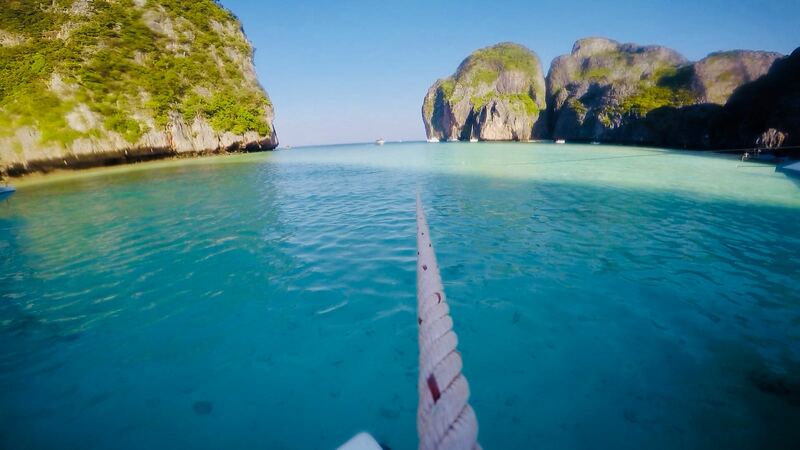 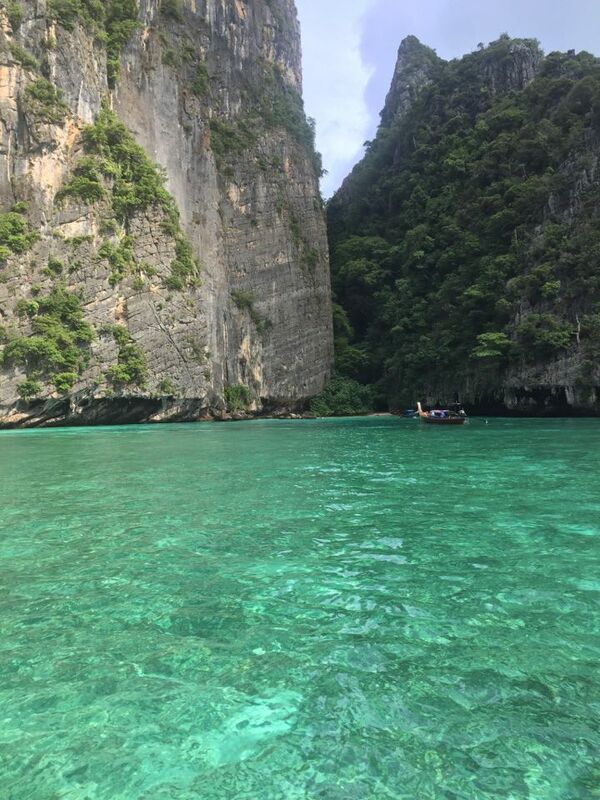 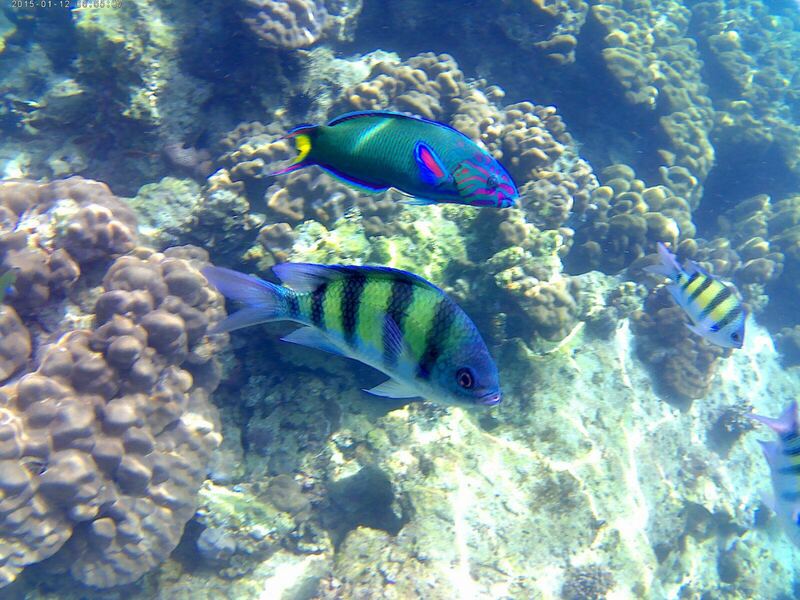 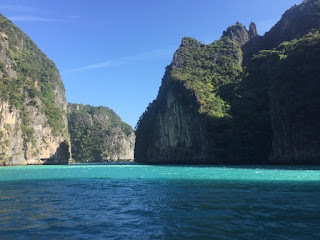 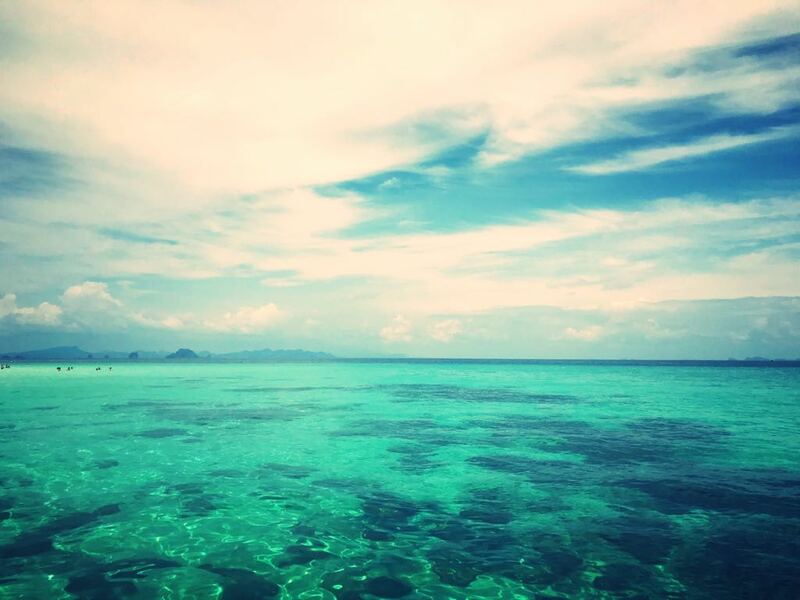 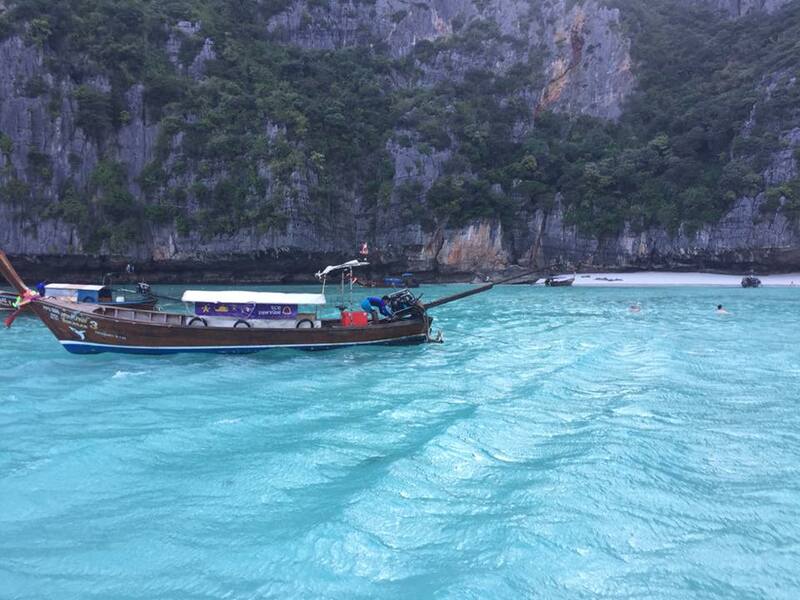 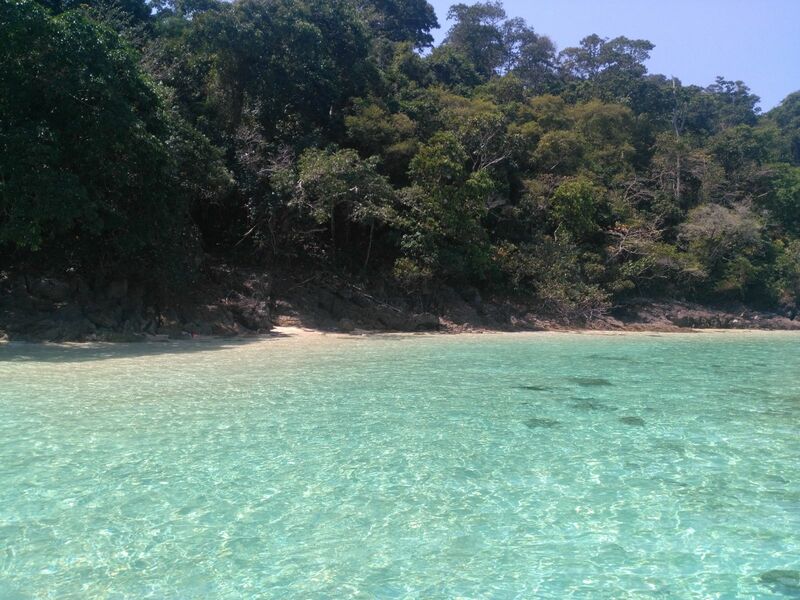 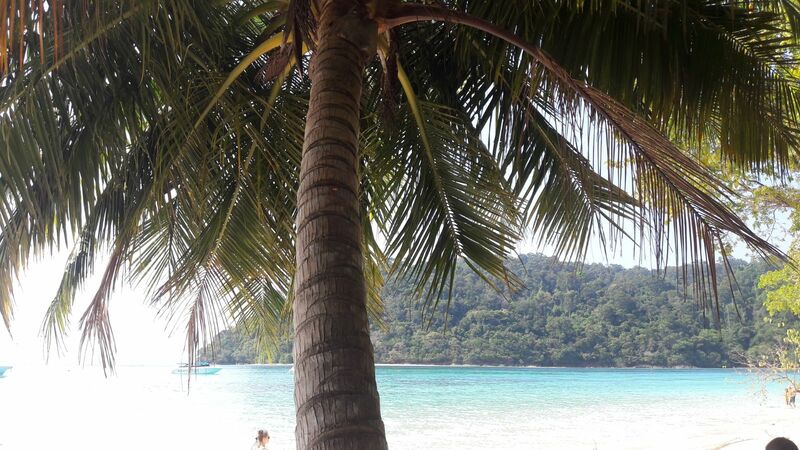 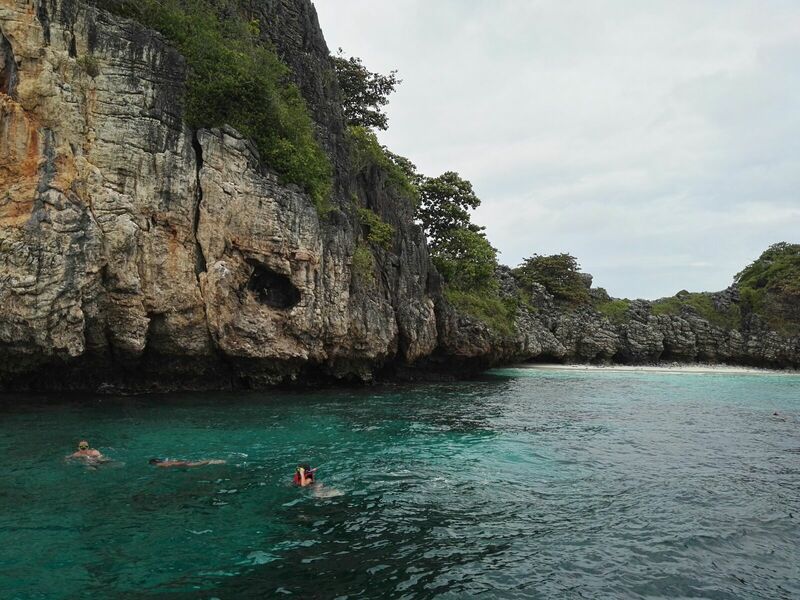 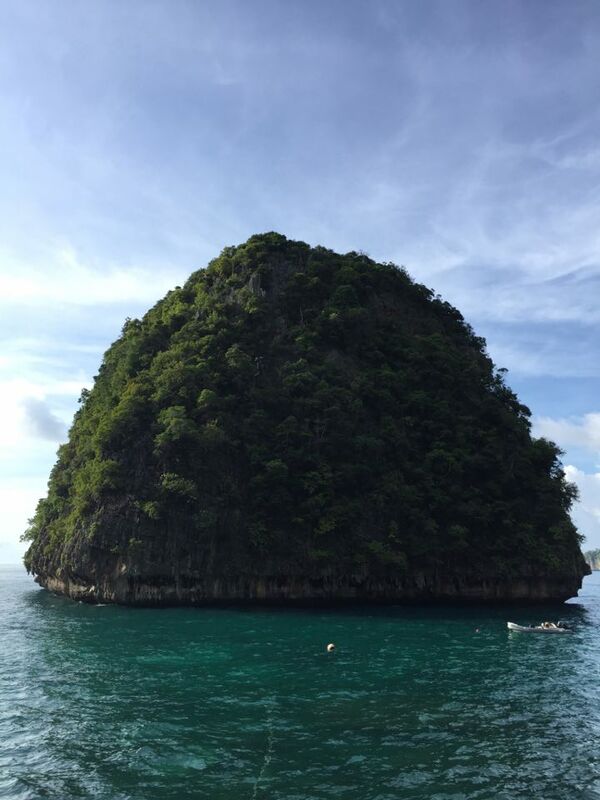 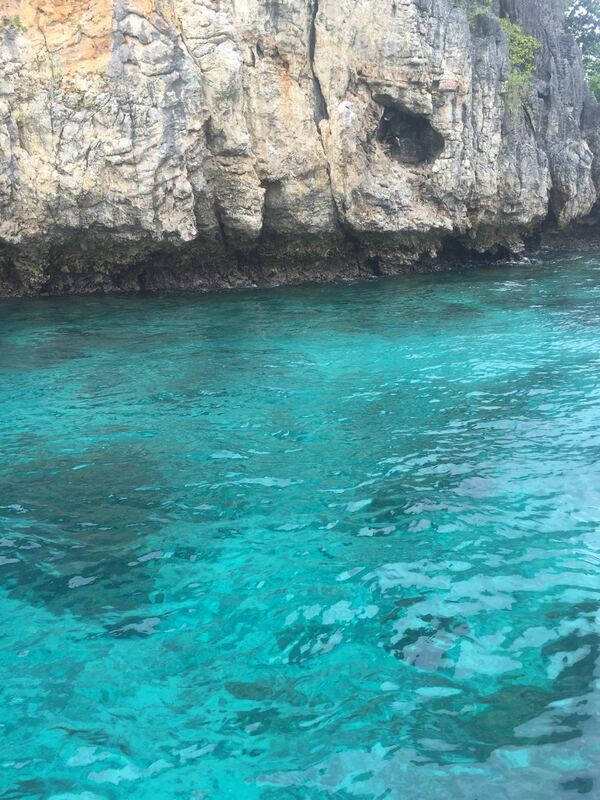 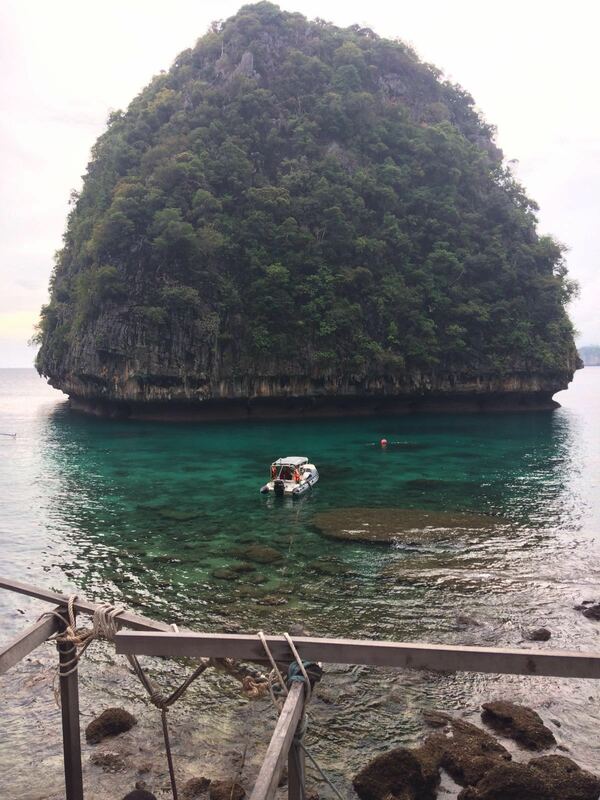 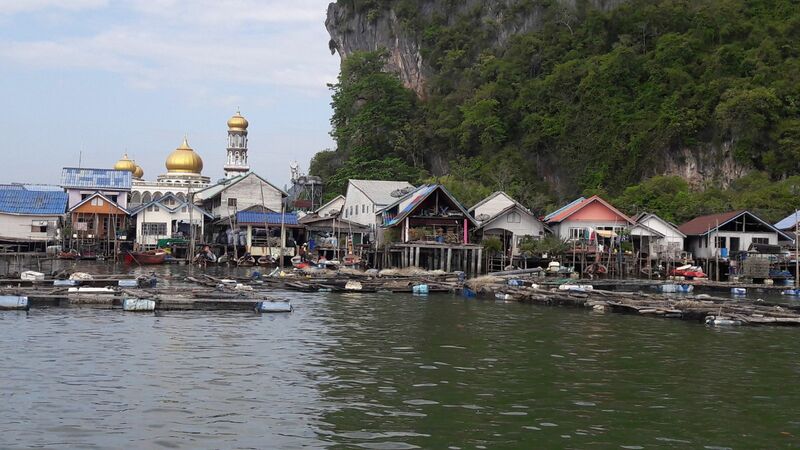 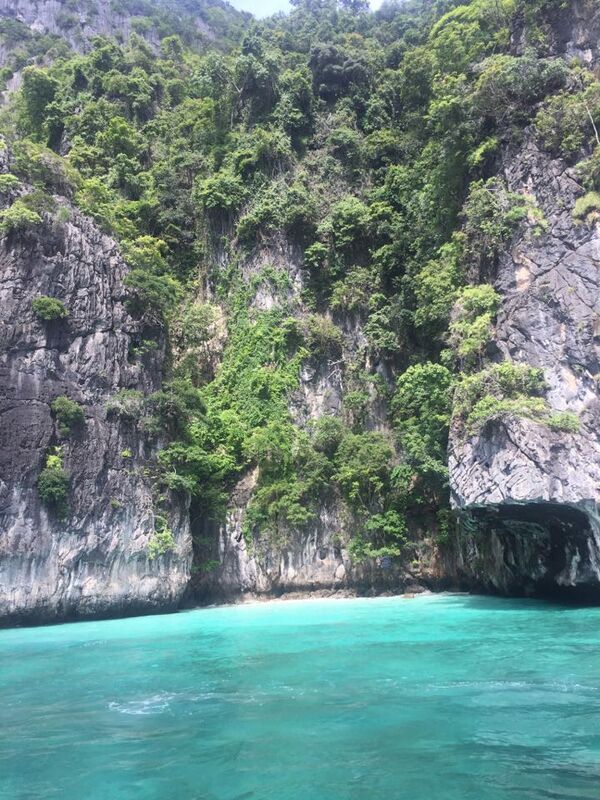 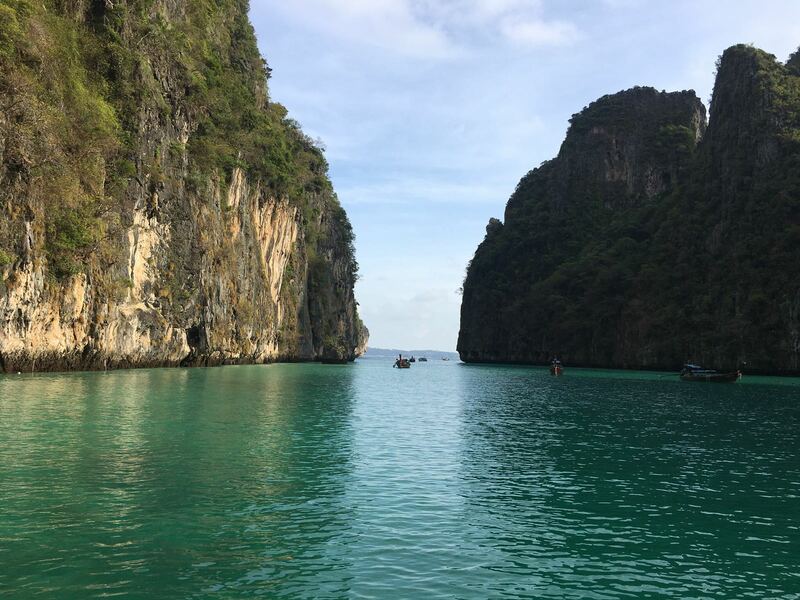 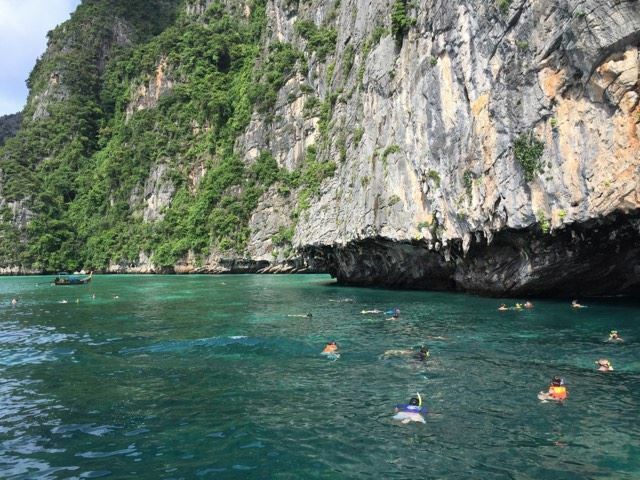 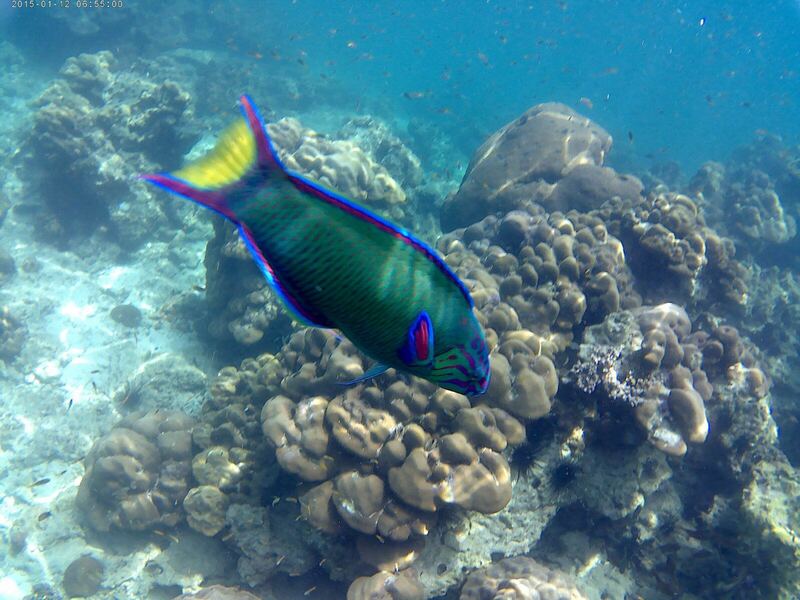 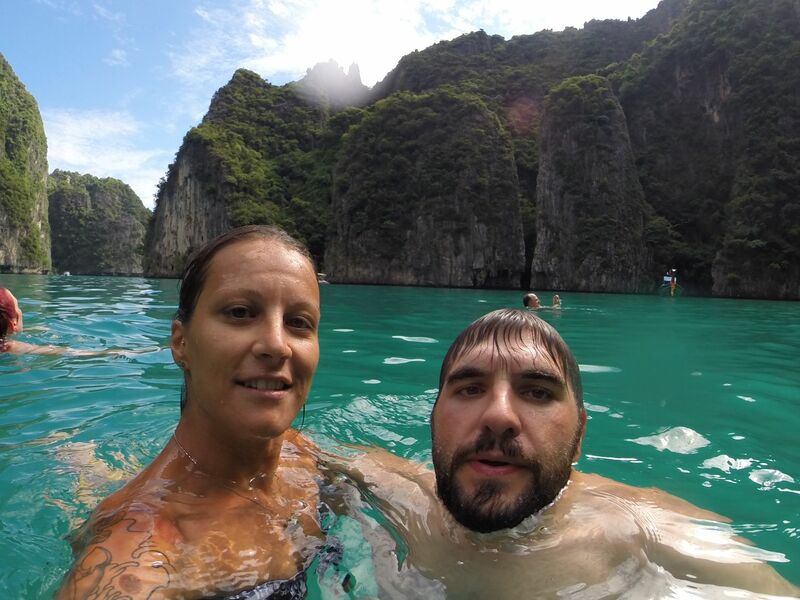 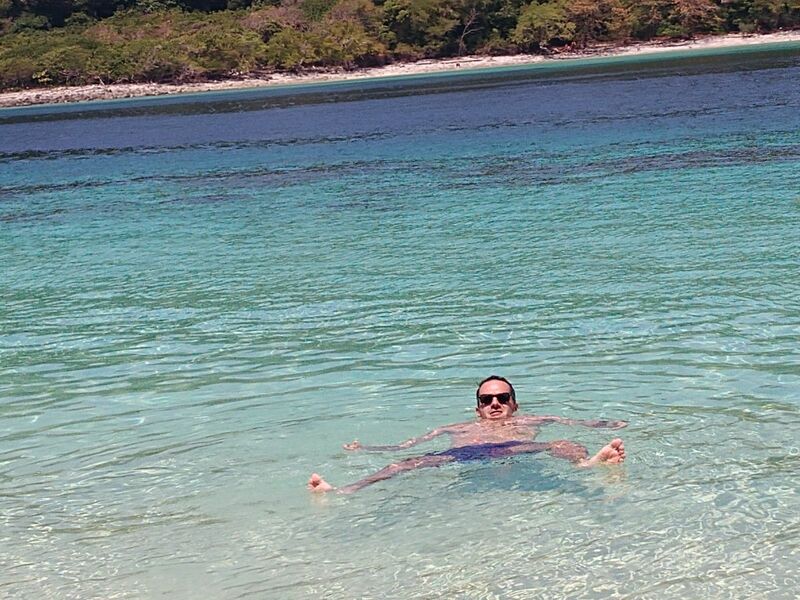 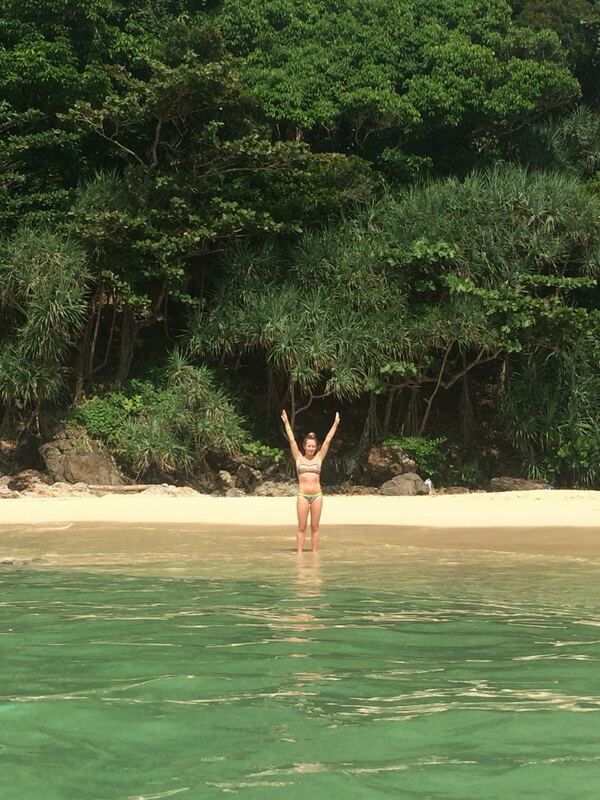 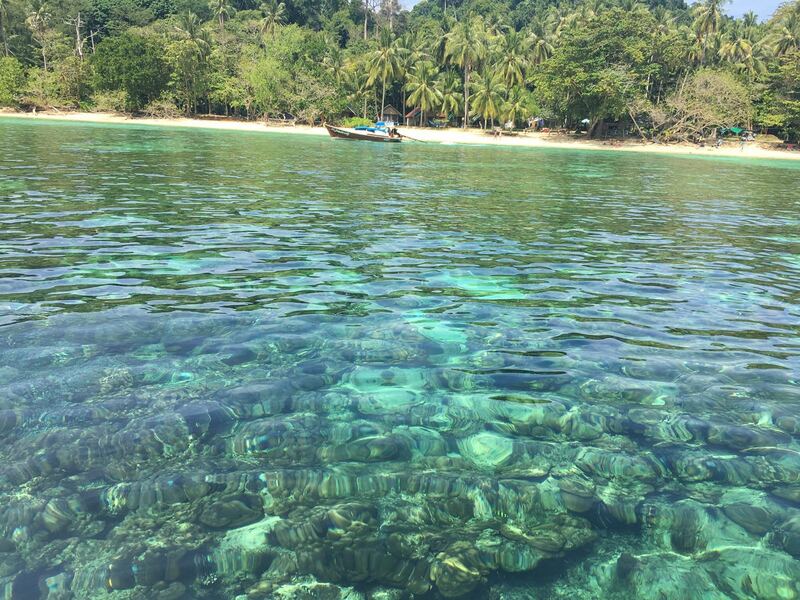 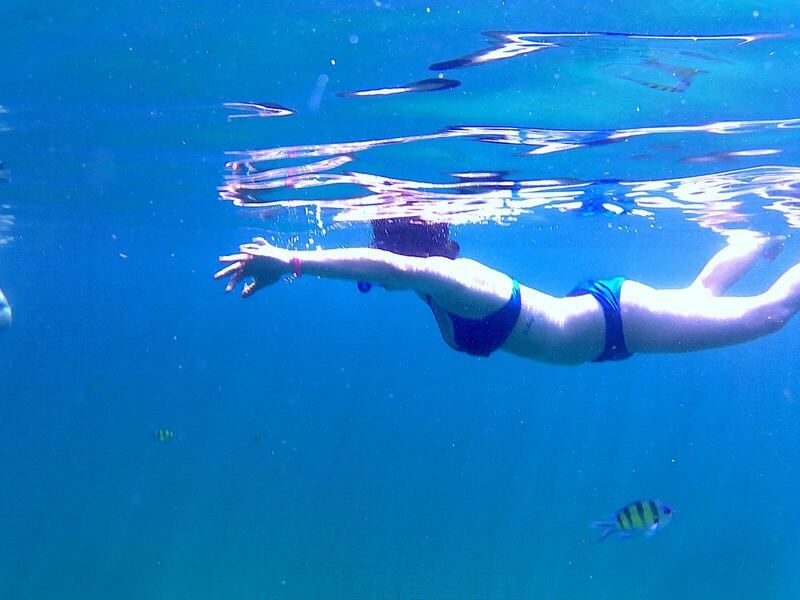 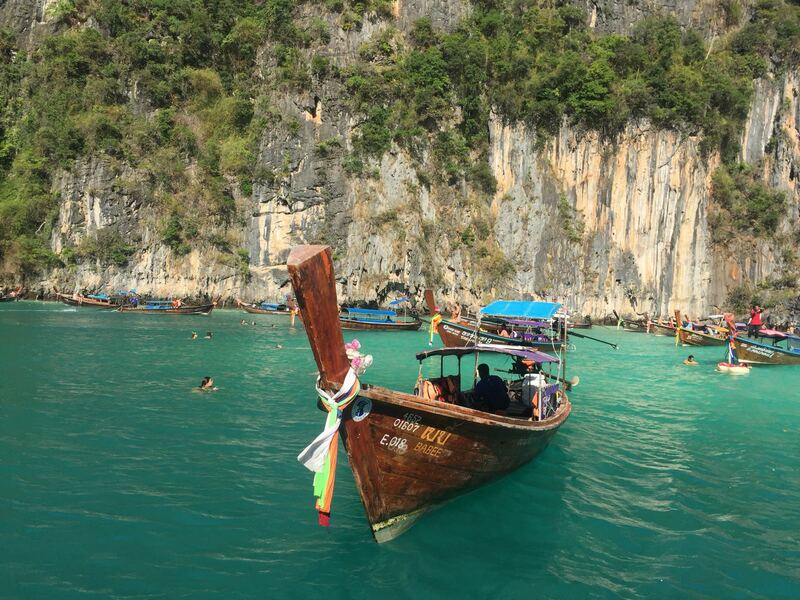 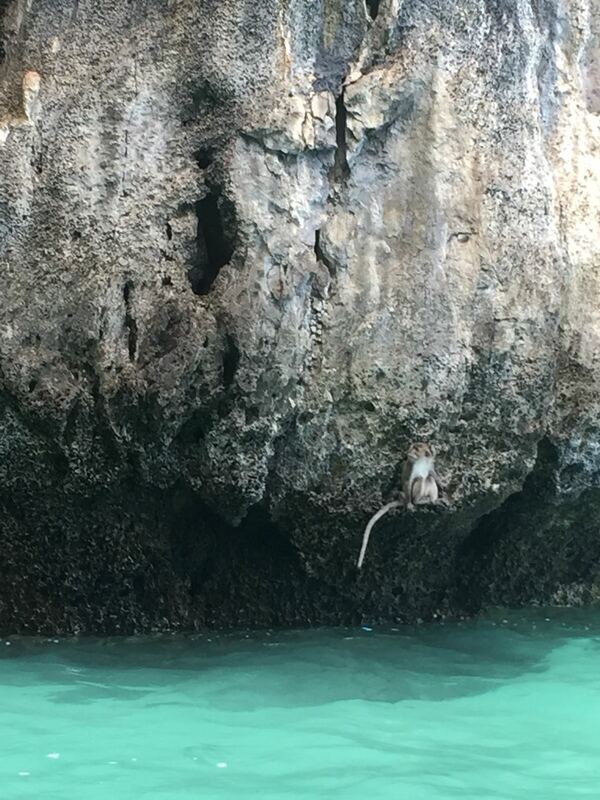 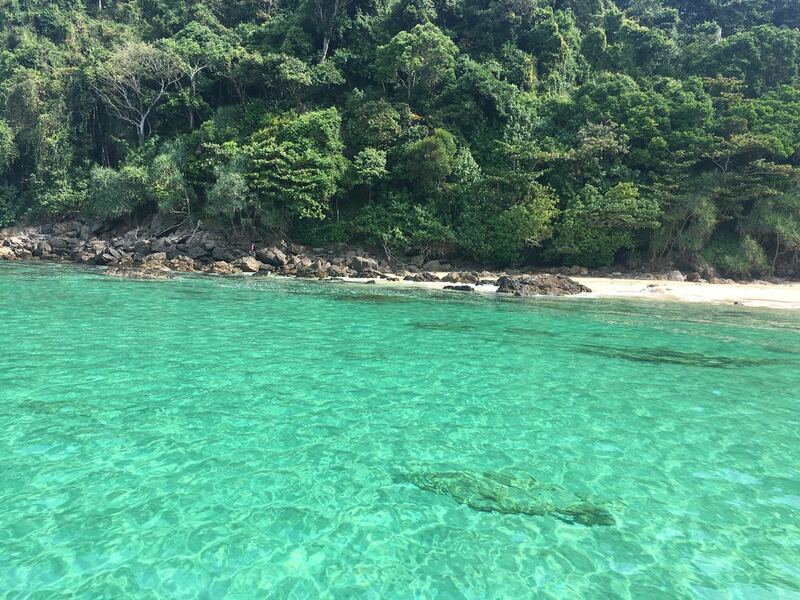 We have discovered more than 80 kinds of corals around Phi Phi Island,” Thon says. 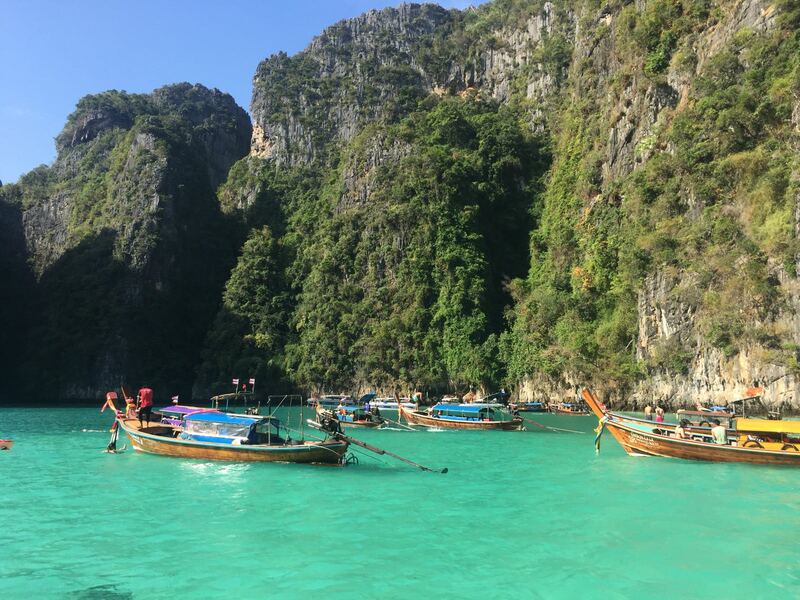 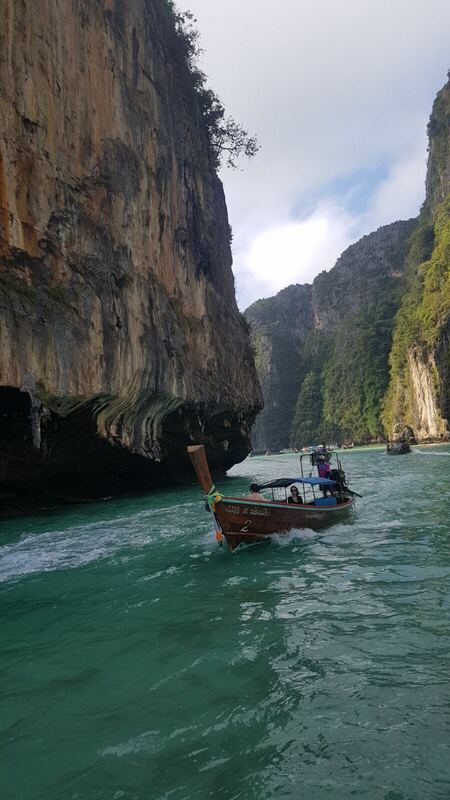 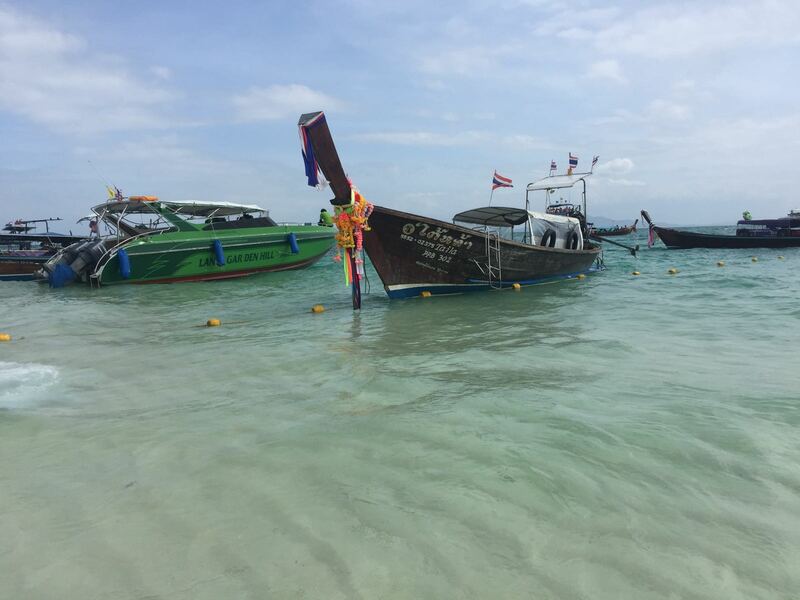 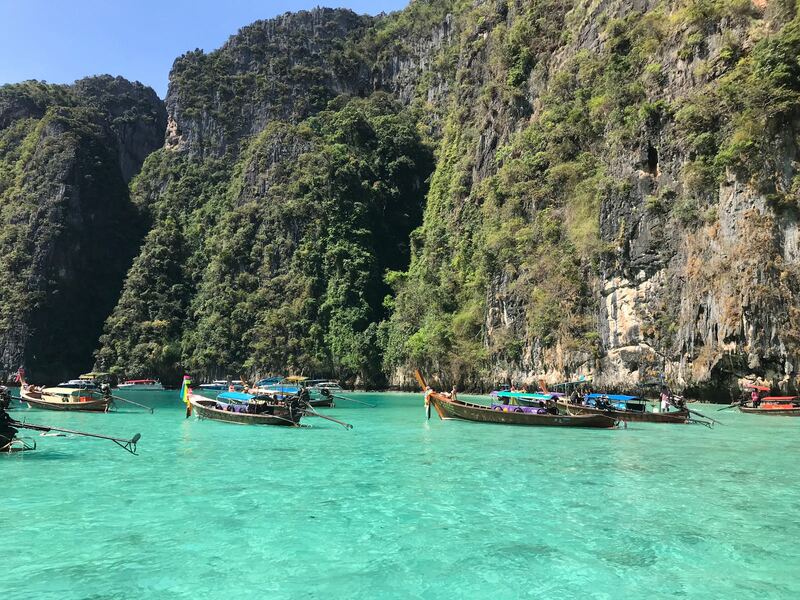 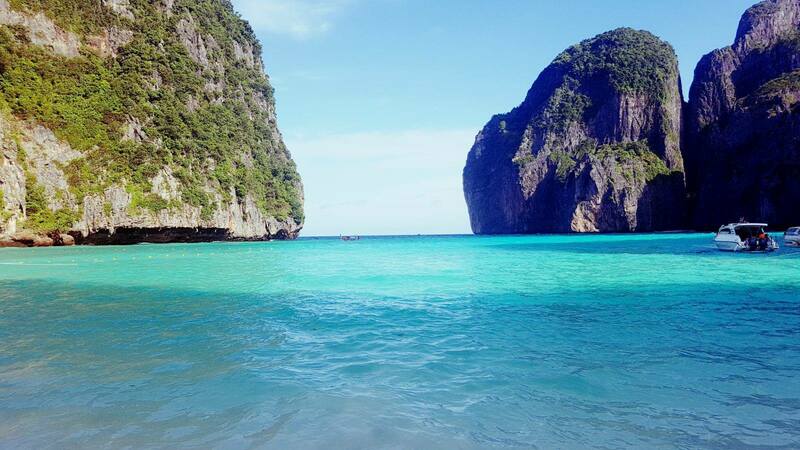 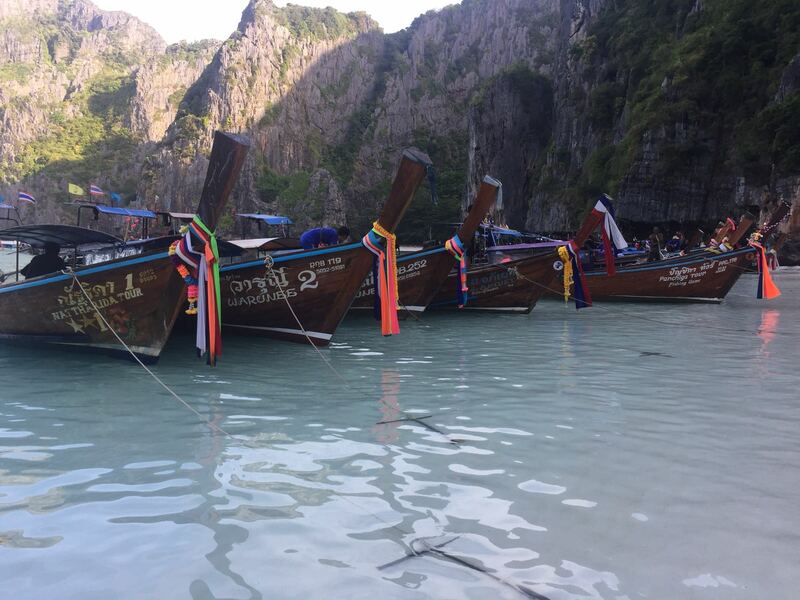 Maya Bay’s tourism management makeover in collaboration with the Phitak Phi Phi (Protecting Phi Phi) group is scheduled to operate for a year. 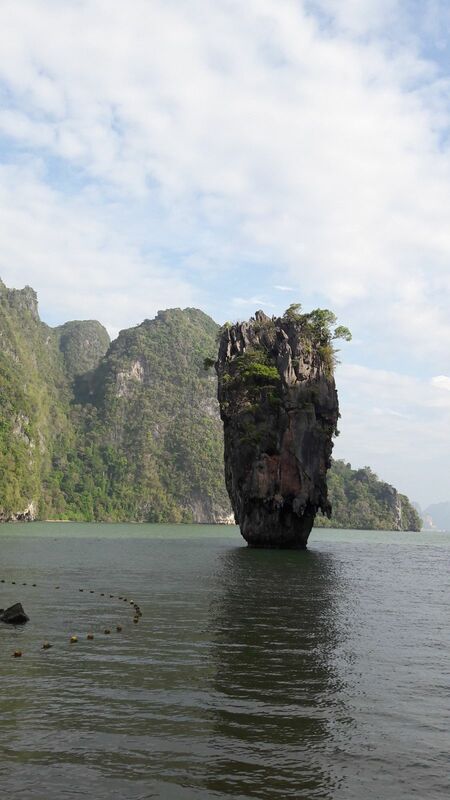 It will permanently close the front of the bay, resulting in transportation shifting to Loh Sama Bay at the back of the island. 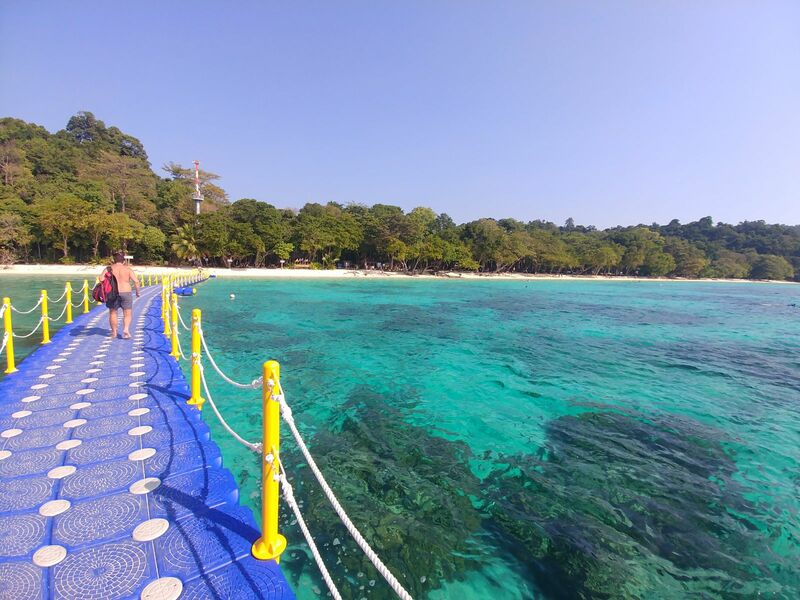 The Marine Nation Parks Operation Centre 3 is responsible for building a top-quality plastic-based pier and bridge to transport tourists as well as developing the e-ticketing application to cut the number of tourists from almost 4,000 to 2,000 a day. 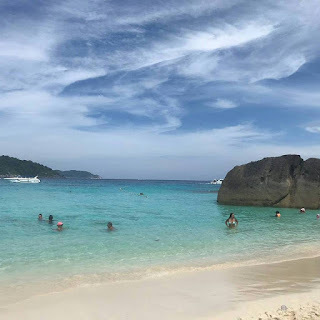 “We’ve been generating income of Bt3 billion a year, but we don’t have a specific figure for enhancing the tourism management. 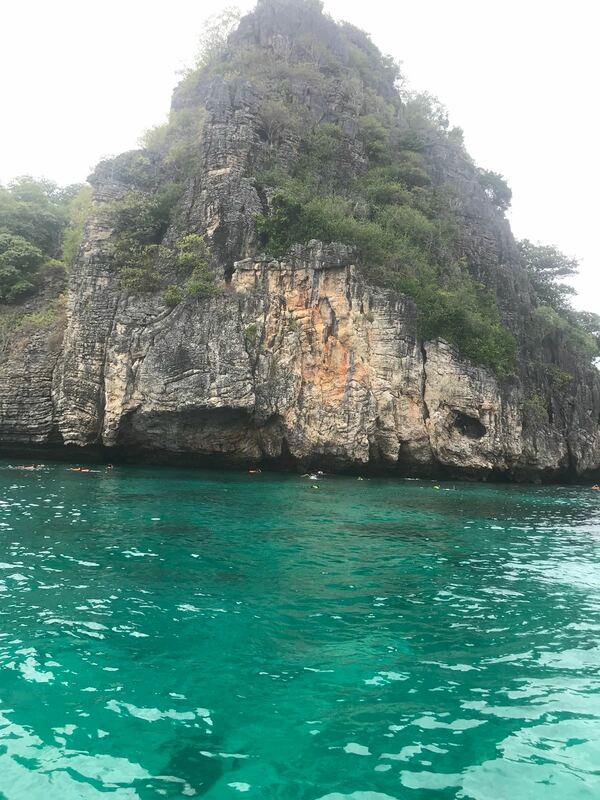 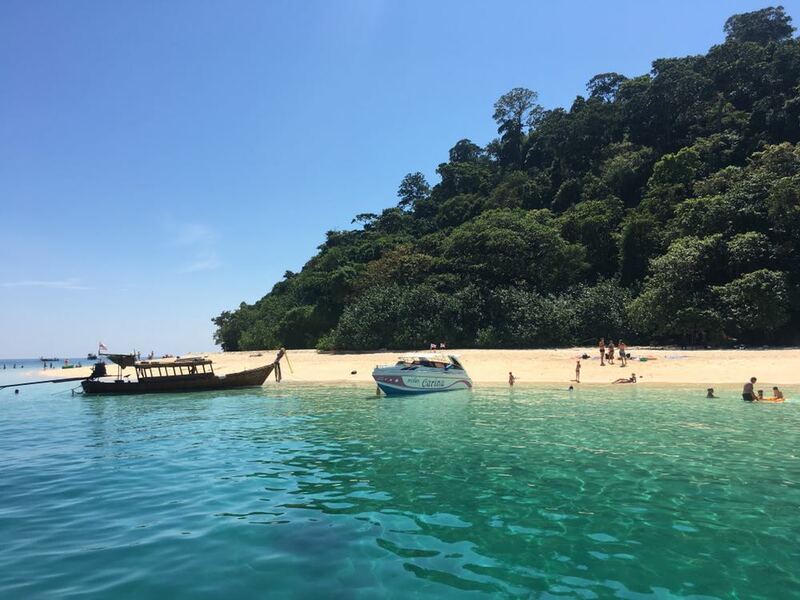 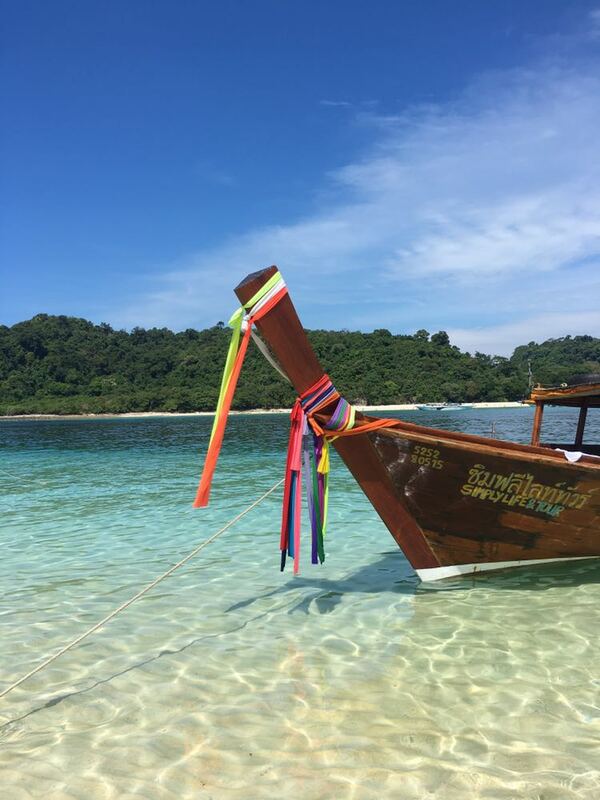 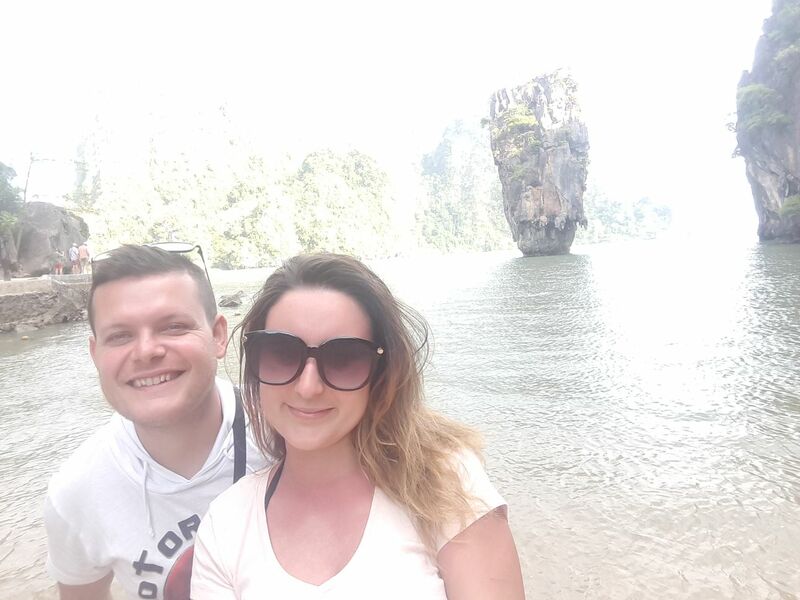 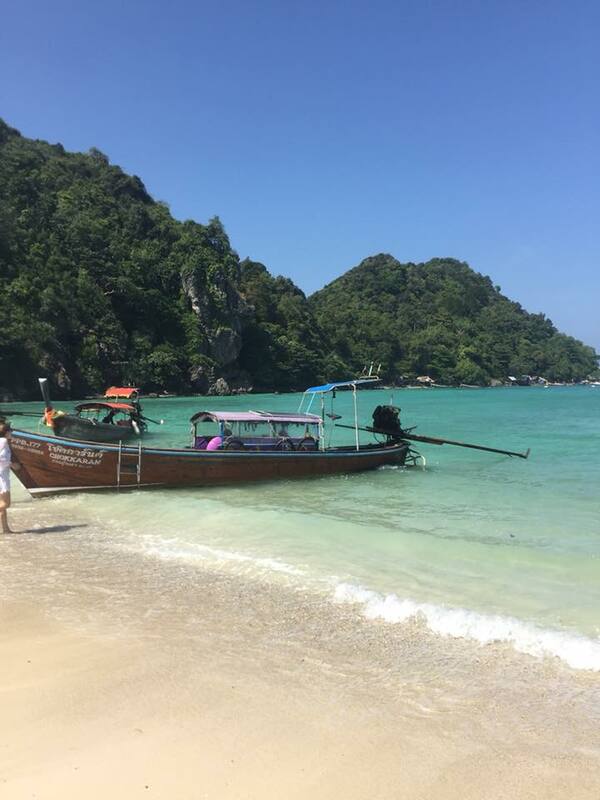 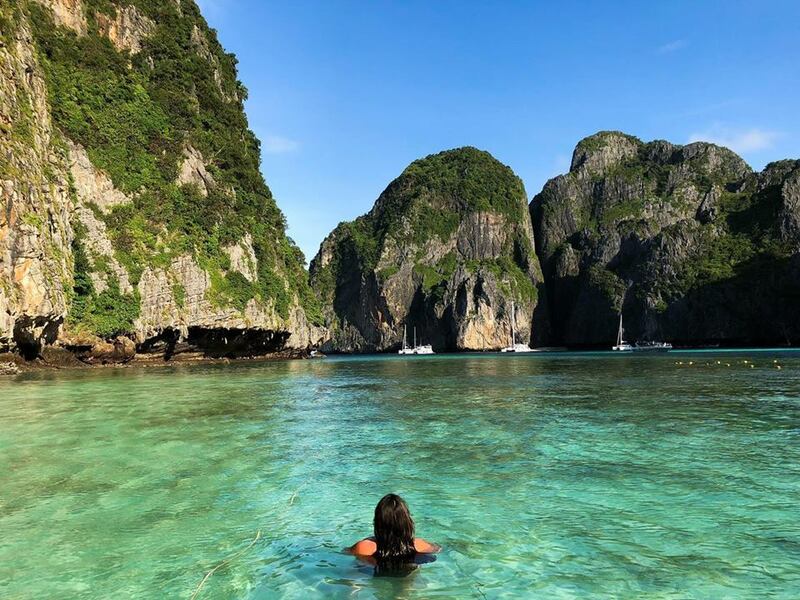 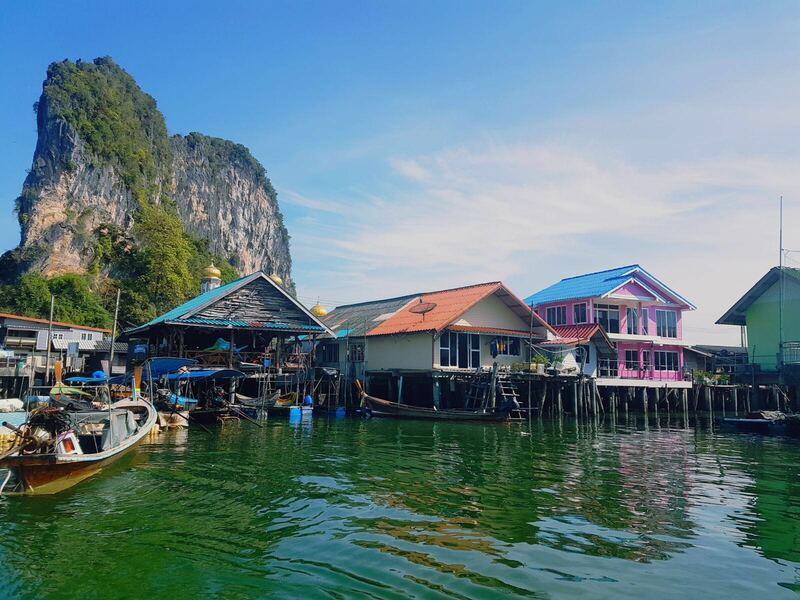 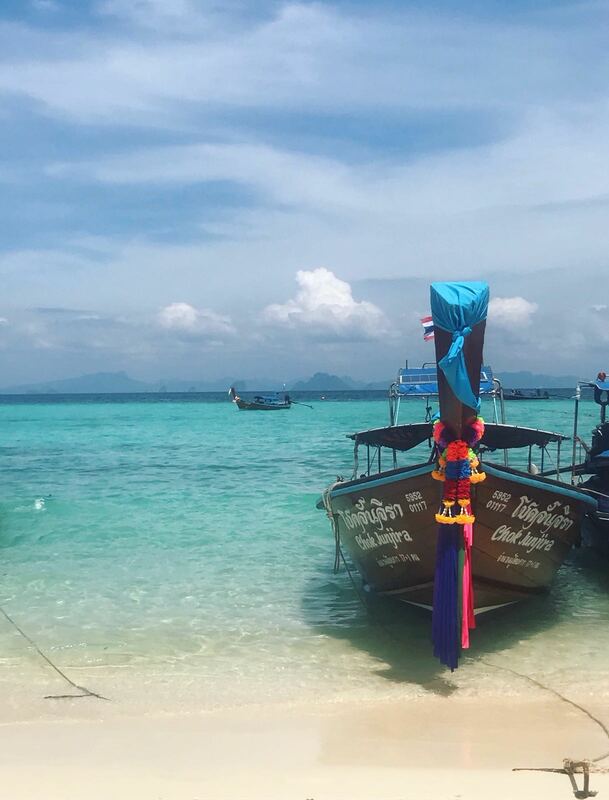 It’s a worthwhile investment though and Phi Phi Island will be a model, focusing on one-day trips to Koh Poda, Talay Waek, Maya Bay and Koh Mai Phai. 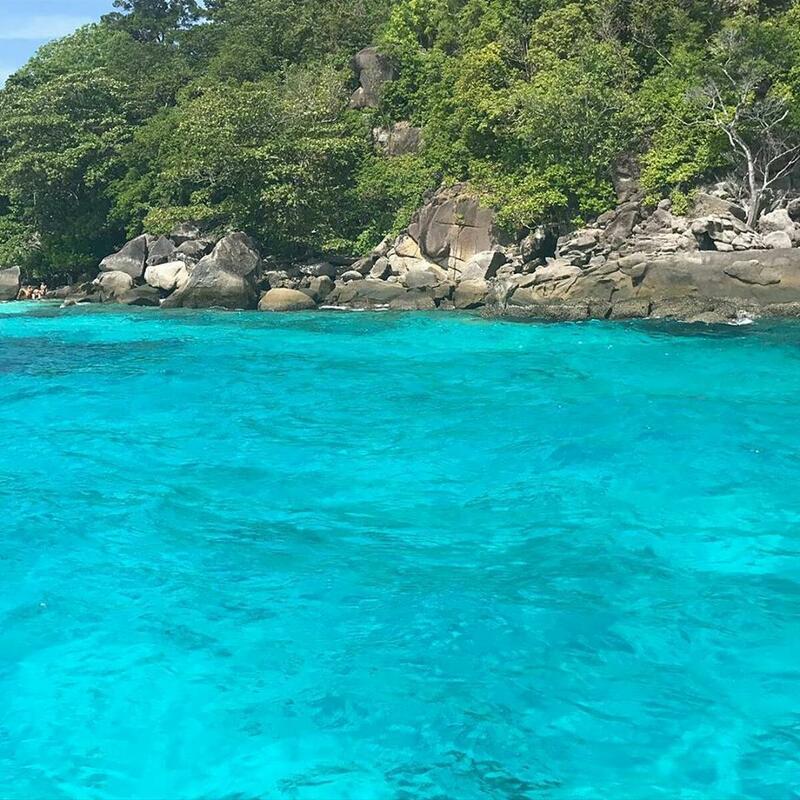 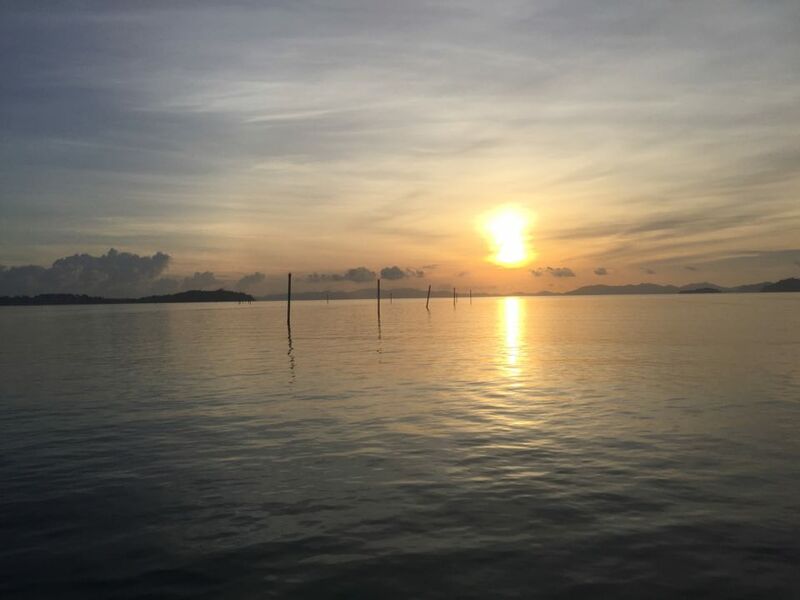 We’re developing smart e-ticketing software to control the volume of tourists and boats, which will link with 132 natural marine parks such as Similan, Tarutao, Chang and Samed islands,” says Ariya Chouchom, director of the National Park’s development division. 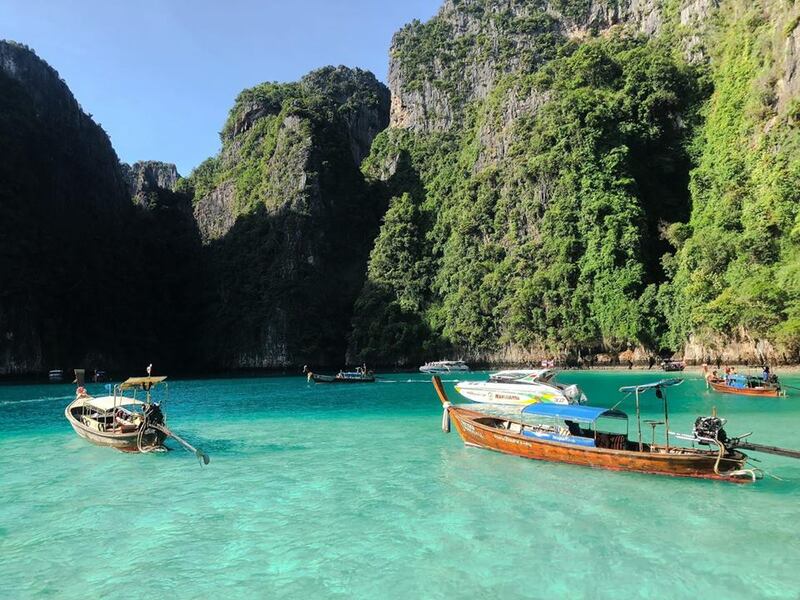 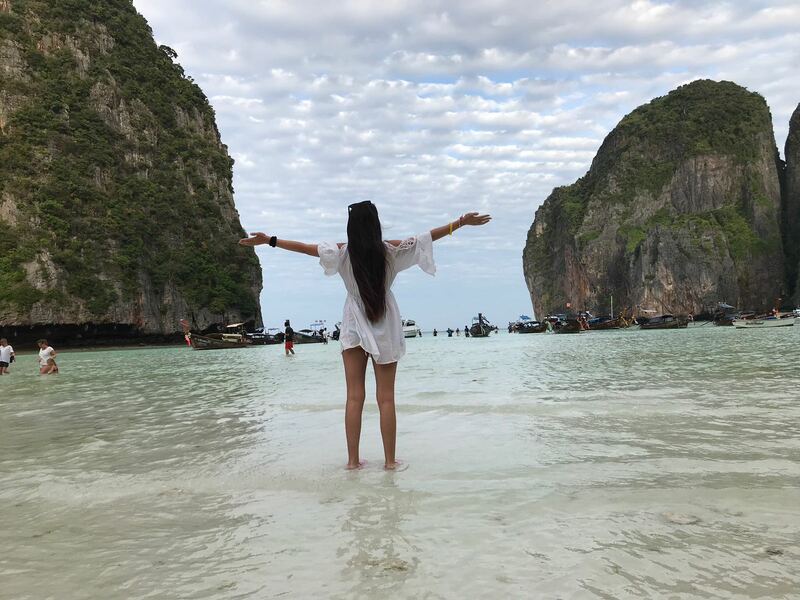 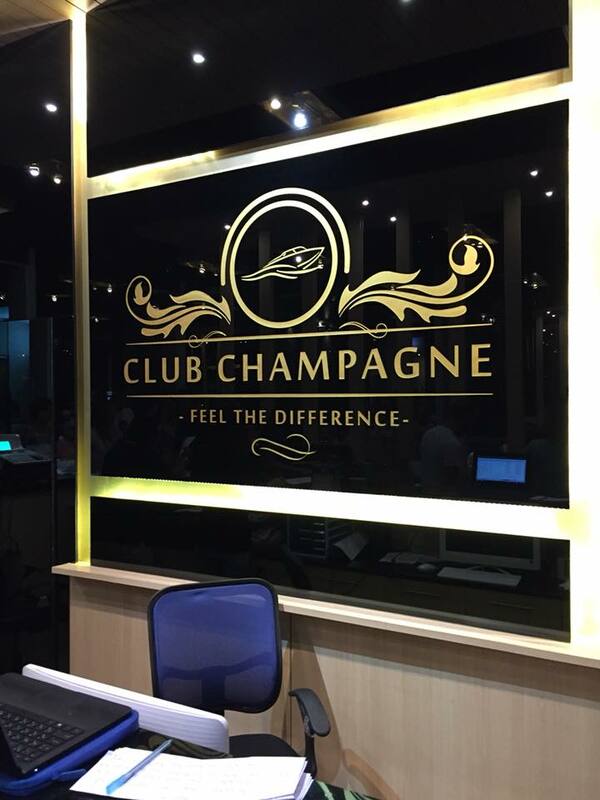 During Maya Bay’s closure, visitors can explore the underwater world of Phi Phi Island at the brand-new Marine Discovery Centre, which is run by Singha Estate. 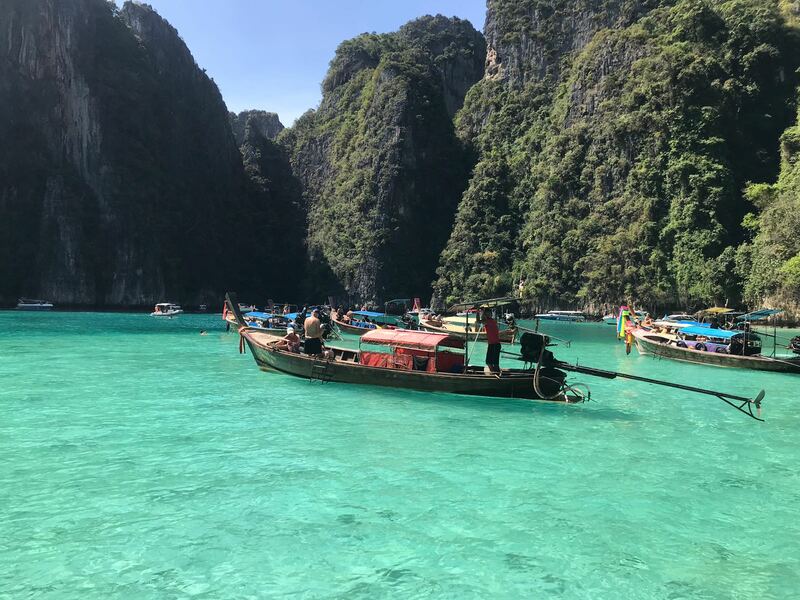 Located in its five-star Phi Phi Island Village Beach Resort, the Bt10-million marine centre occupies 440 square metres and houses four stunning exhibition rooms that portray the importance of the marine ecosystem and the roots of Phi Phi Island. 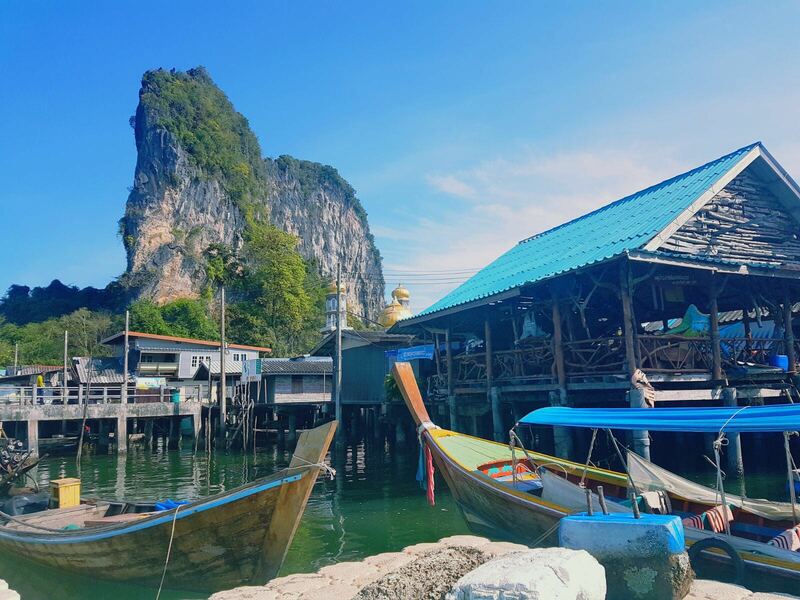 The brand-new Marine Discovery Centre showcases fascinating exhibitions and fun activities focusing on marine biodiversity and Phi Phi Island. 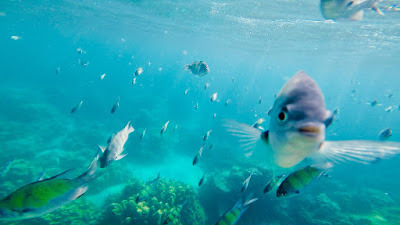 Young visitors will love the Shark Room, where the biology and ecosystems of different shark species are displayed. 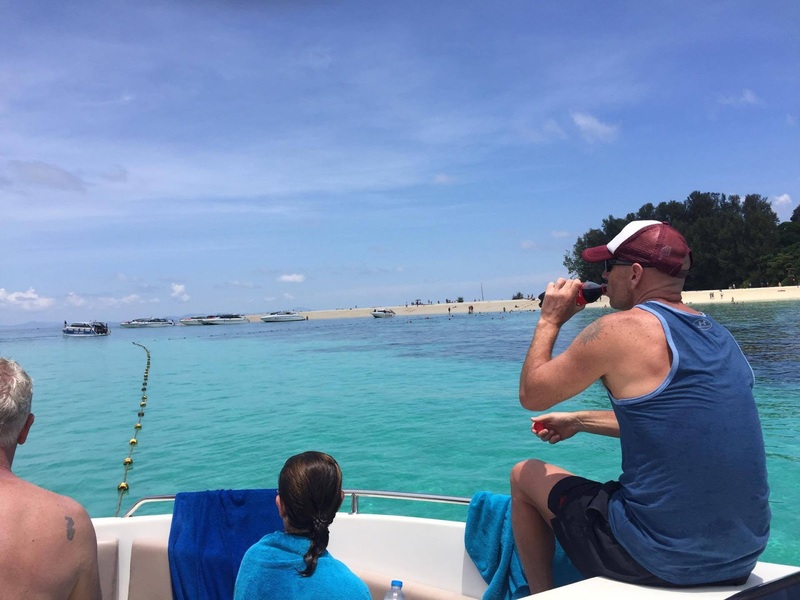 There’s even a nursery tank for injured baby sharks, which have been caught in trawls and wounded, where they are left to recover before being released back into the ocean. 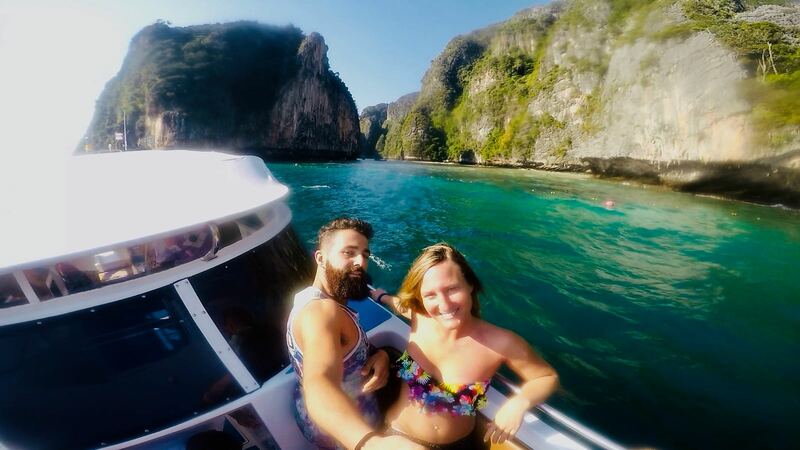 The Phi Phi Islands Room showcases all attractions in Hat Noppharat Thara–Mu Ko Phi Phi National Park as well as a map of diving sites such as Mai Phai Island, Poda Island, and the separated sea in Maya Bay. 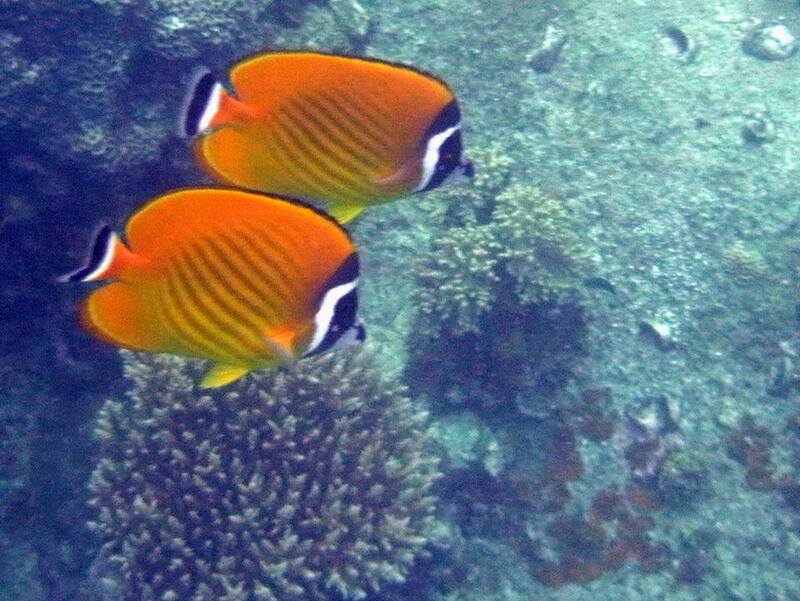 The Clownfish Room is popular with amateur biologists both old and young admiring the tanks of different clownfish species found in Thailand. 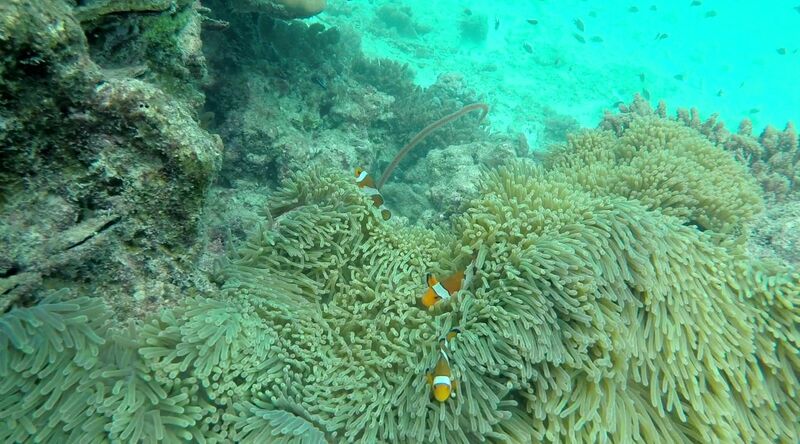 It also offers interactive games about clownfish for children and a laboratory for clownfish breeding, as well as coral planting and clownfish release activities. The auditorium serves as a venue for lectures on marine ecosystems and other training sessions for students who are on camping trips in the national park. 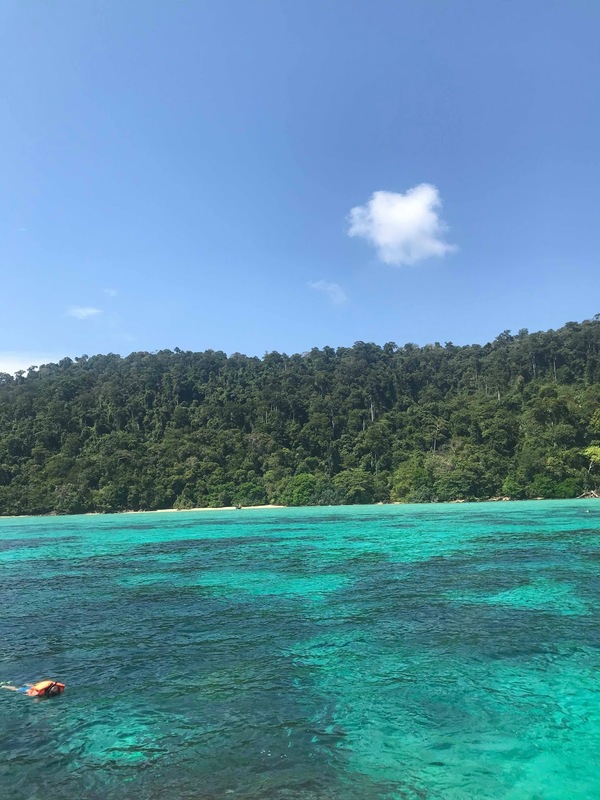 “The Marine Discovery Centre will serve as a model for other future marine learning centres that Signha Estate will develop both in Thailand and Maldives. 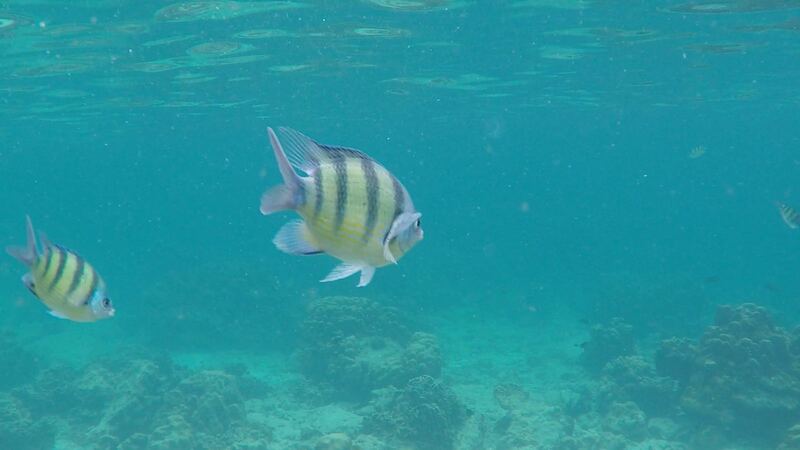 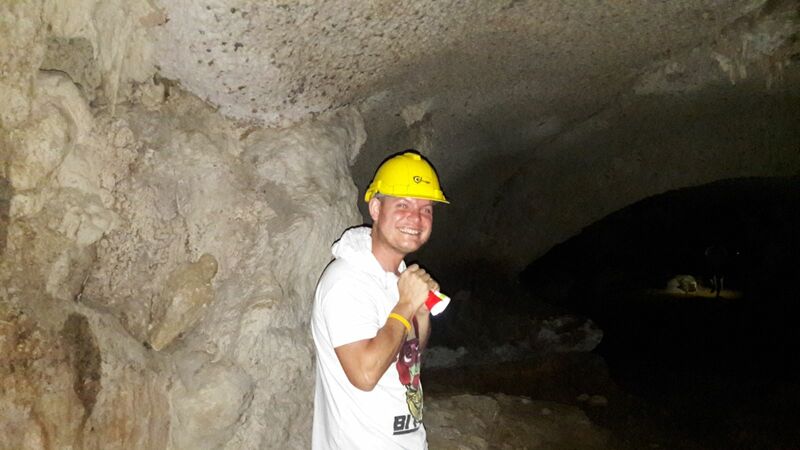 We try to create some new activities and content to raise awareness of environmental conservation,” Naris says. 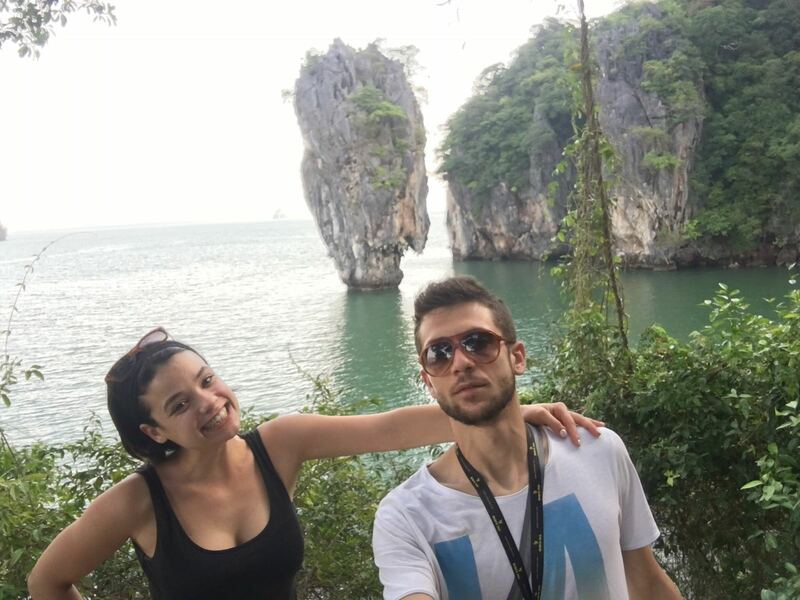 Tutti Italiani al Caffè Sky, ma Phuket è tra le mete più belle ed ambite al mondo e per questo mi pare giusto ringraziare in tutte le lingue. 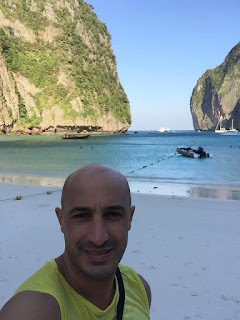 Non vi abbiamo venduto solo l'escursione a Phi Phi, Phang Nga, Rok, Kradan, Similan, Surin... Ma l'esperienza maturata in tutti questi anni, non siamo perfetti, non tutti sono stati contenti, ma è normale bisogna sempre lasciare uno piccolo margine di miglioramento e GRAZIE A VOI come scritto sopra ci abbiamo provato e ci proveremo sempre. 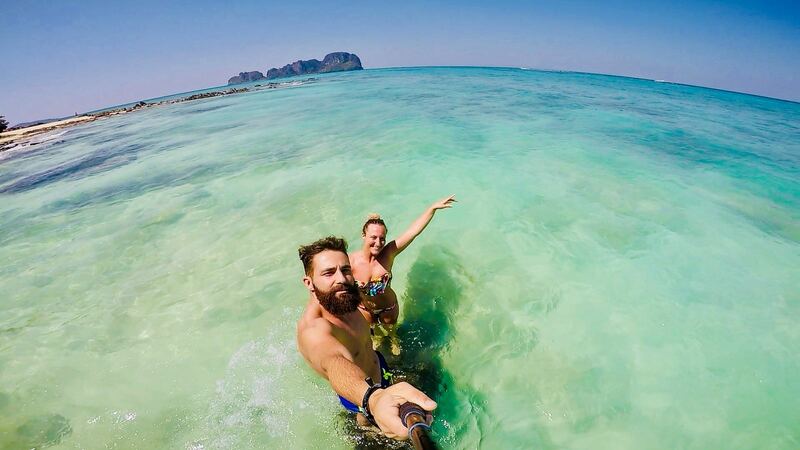 Saluti a tutti per questa fine stagione, inizia la "bassa" che dura fino a Novembre ma noi siamo qui a studiare nuovi Tours e naturalmente per mandarvi in escursione alle Phi Phi e Phang Nga che si effettuano tutto l'anno.